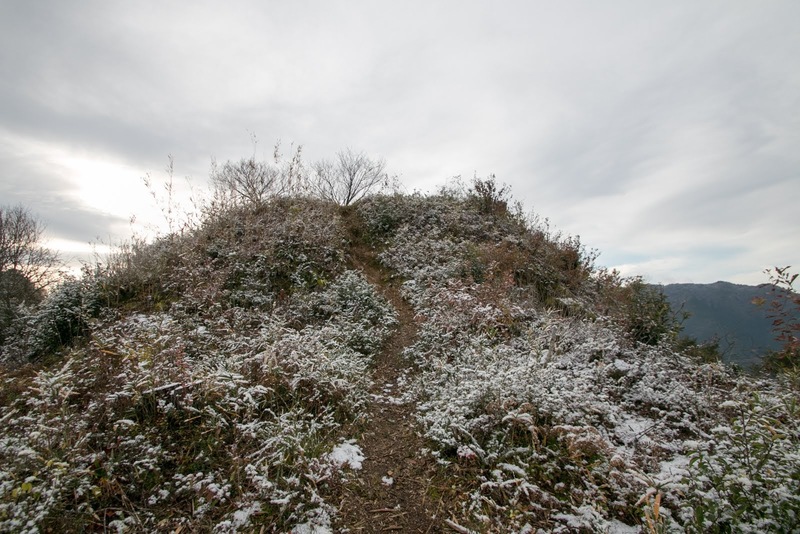 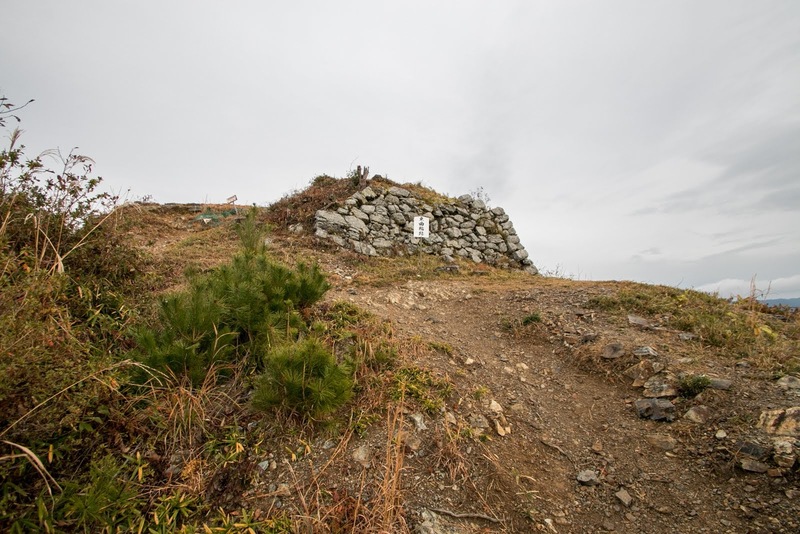 Kuroi castle (黒井城) is located at Shiromaya mountain which is about 350 meter above sea (220 meter from hillside), places at the middle of Hikami basin. 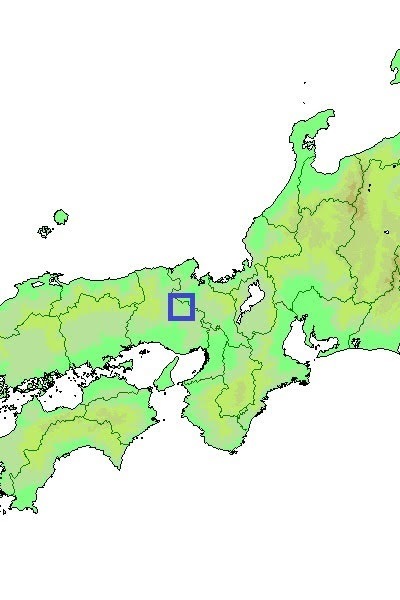 Hikami basin is a H shaped basin spread along Kakogawa river flows southward at its west part and Yuragawa river continues to northward at is east part, and narrow connecting corridor connects both valleys. 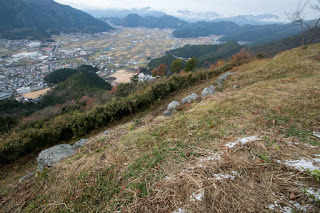 Hikami basin formally belonged to Tanba province, but different from other basin of Tanba province such as Kameoka basin next to Kyoto area, Sasayama basin which was the route to Sanyo region and Fukuchiyama area toward Sanin region, Hikami region locates at the most inside area of the province and an impasse surrounded by mountains. 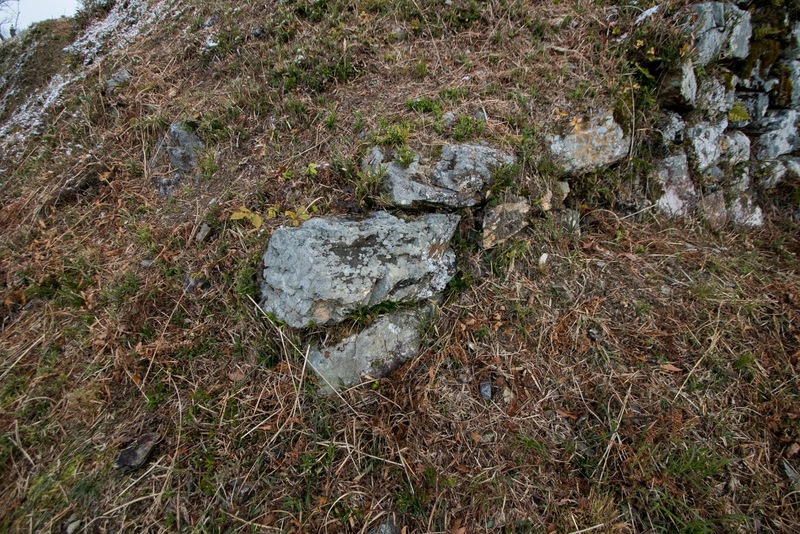 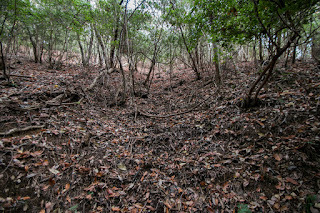 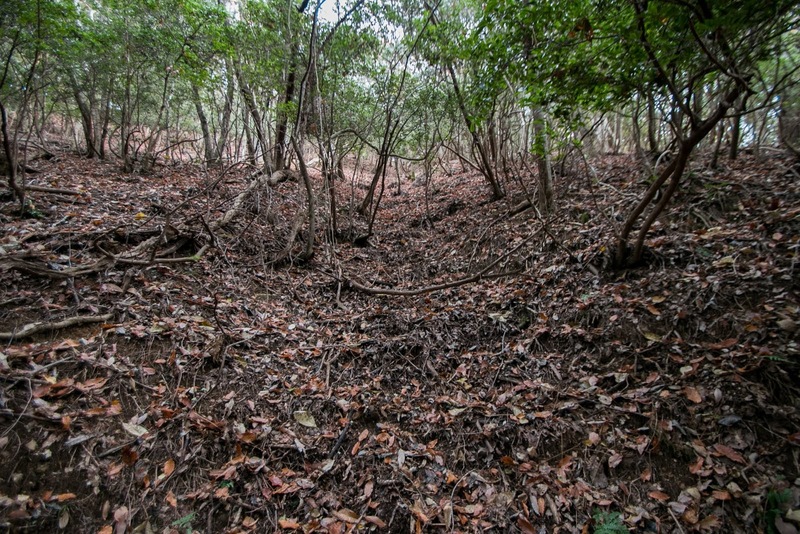 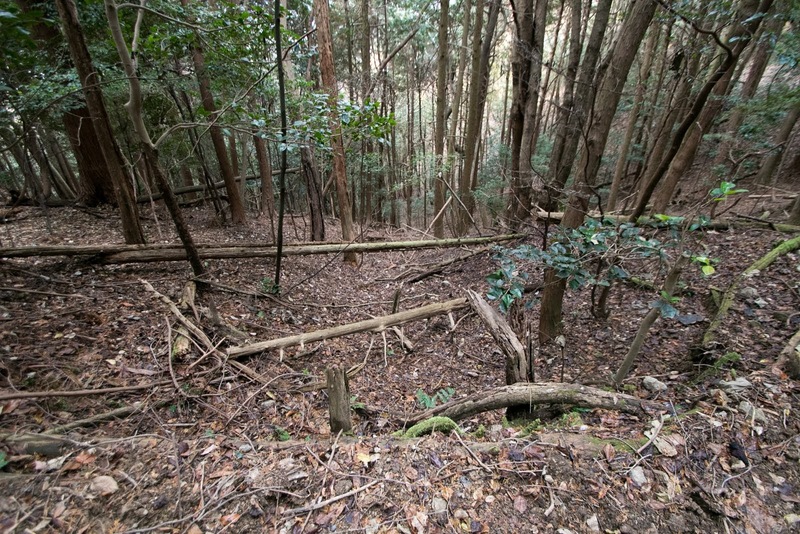 It is connected by only narrow valleys to outside, and suitable place to defend. 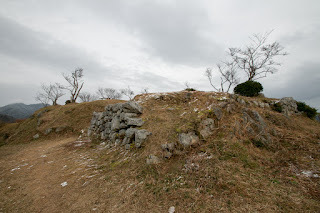 Because of its size, Kuroi caslte is praised as one of three large mountain castles of Tanba province (remaining two area Yagami castle and Yagi castle). 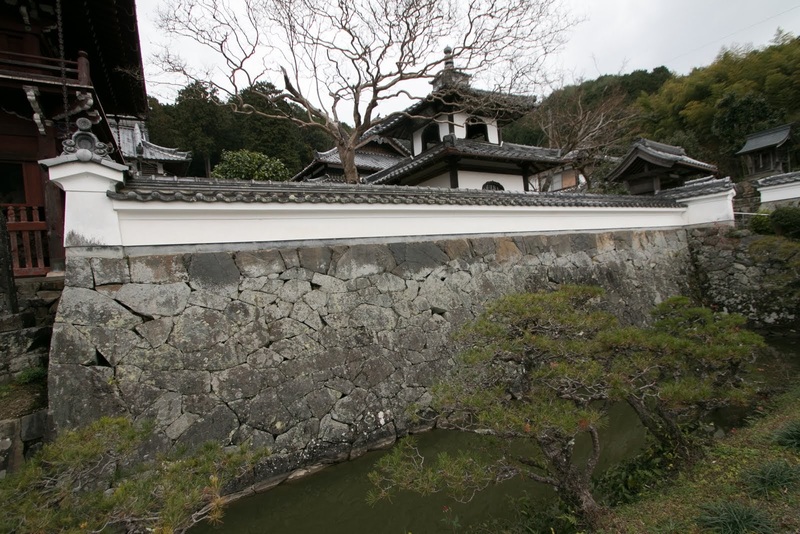 Kuroi castle was originally built by Ogino clan, a tributary of Akai clan in 14th century. 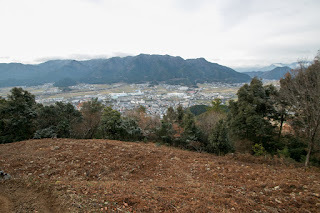 Akai clan is a local lord of this area stem from Inoue clan, a local lord of Shinano province (Nagano prefecture). 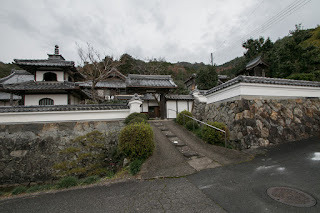 Originally Akai clan had been a small local lord throughout Muromachi era, and continued along with other local lord such as Hatano clan at Yagami castle, under Hosokawa clan and Naito clan at Yagi castle, the governor and deputy governor of Tanba province. In the former half of 16th century, dominance of Hosokawa clan on Tanba clan became weakened because of their continuous internal conflicts and uprise of their strong retainer Nagayoshi Miyoshi (1522-1564). 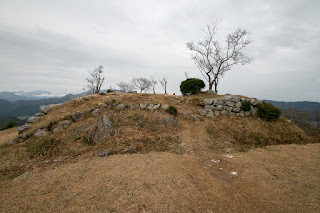 In 1553 Hisahide Matsunaga (1510-1577), and his younger brother Nagayori Matsunaga (?-1565) advanced into Tanba progince and siege Hatano clan at Yagami castle, along with Naito clan which supported Miyoshi clan to overcome Hosokawa clan. 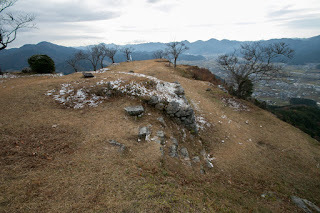 Alghough leader of Naito clan died at the battle with local lord of Tanba province, but Nagayoshi continued to attack Tanba province and once seizured it. But after the death of Nagayoshi in 1564, Miyoshi clan also became weakend by internal conflicts and rise of Hisahide Matsunaga. 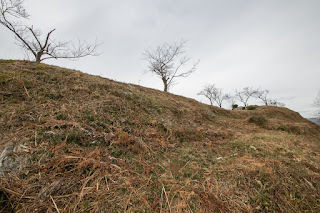 Utilizing such situation Hatano clan once subordinated to Miyoshi clan became independent again, and another brave and ambitions lord also seek for the chance of rising. His name was Naomasa Akai (1529-1578). 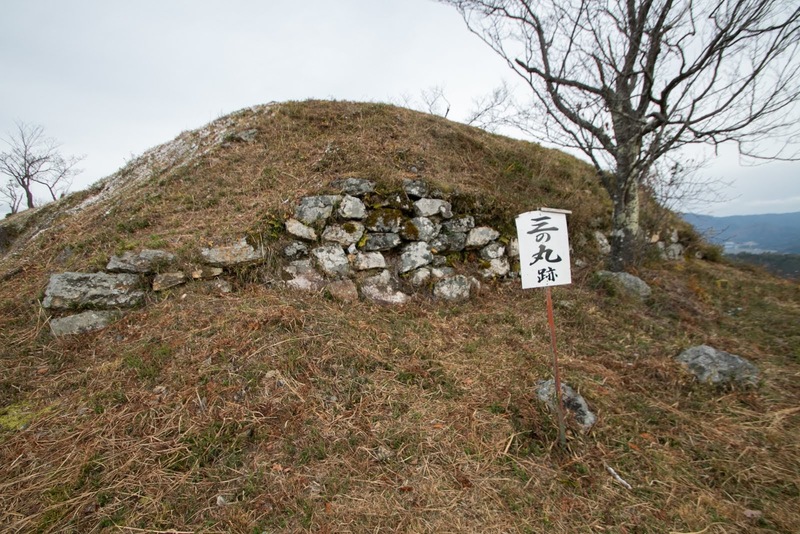 Naomasa was originally the third son of Tokiie Akai, the leader of Akai clan. 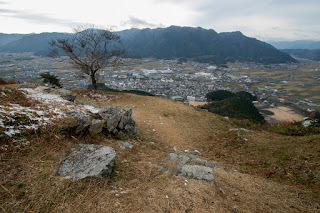 As he was the third son, Naomasa was sent to Ogino clan as an adopted son. 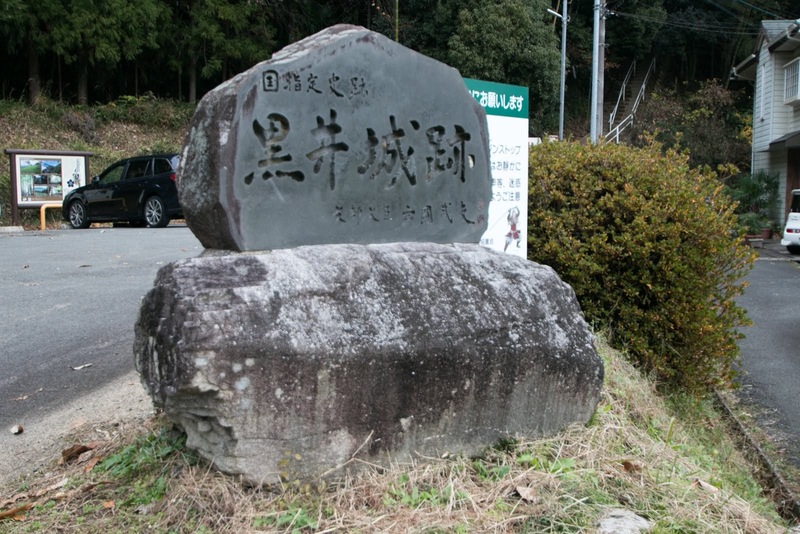 In 1554 Naomasa killed his granduncle and seized the leader position of Ogino clan, probably under approval of Akai clan and retainers. 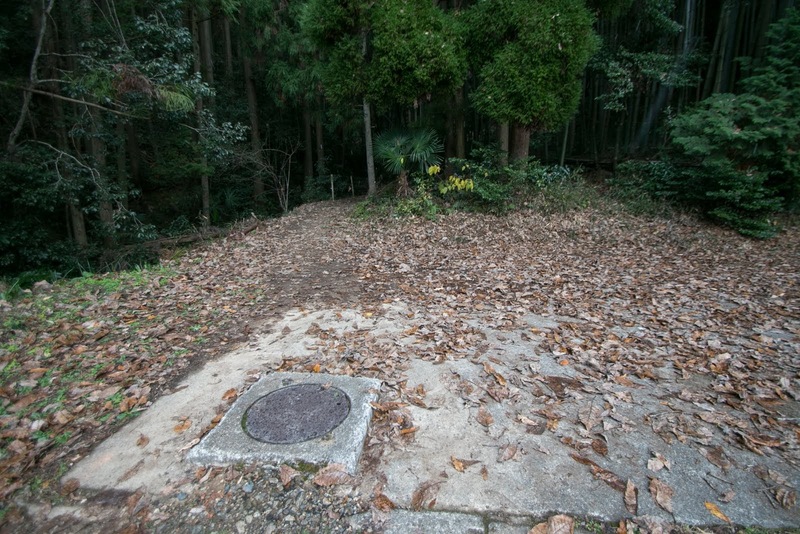 After this coup d’etat, Naomasa was nicknamed as Akuemon (Mr. Vice). 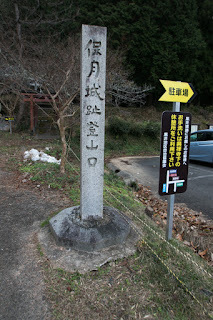 Later in 1557, Iekiyo Akai (?-1557), his brother and leader of the Akai clan, died in the battle against Nagayori Matsunaga. 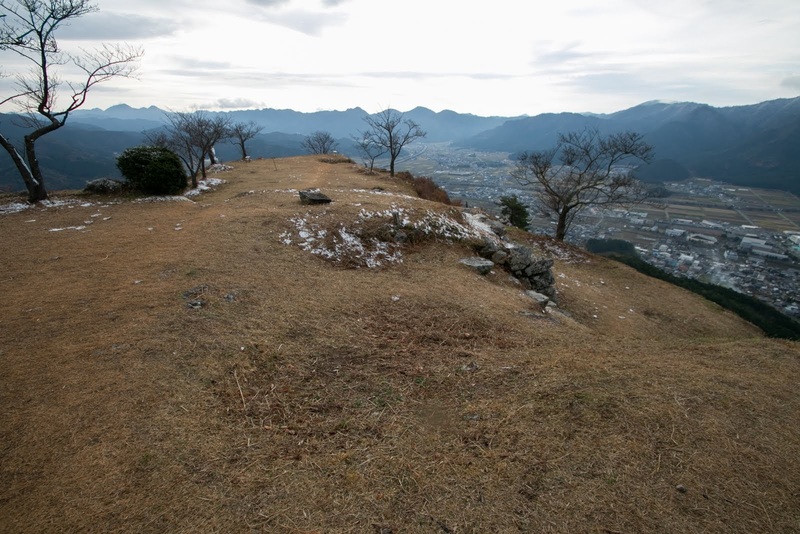 Naomasa supported Tadaie Akai (1549-1605), his junior nephew who became the next leader, and became substantial leader of Akai clan. 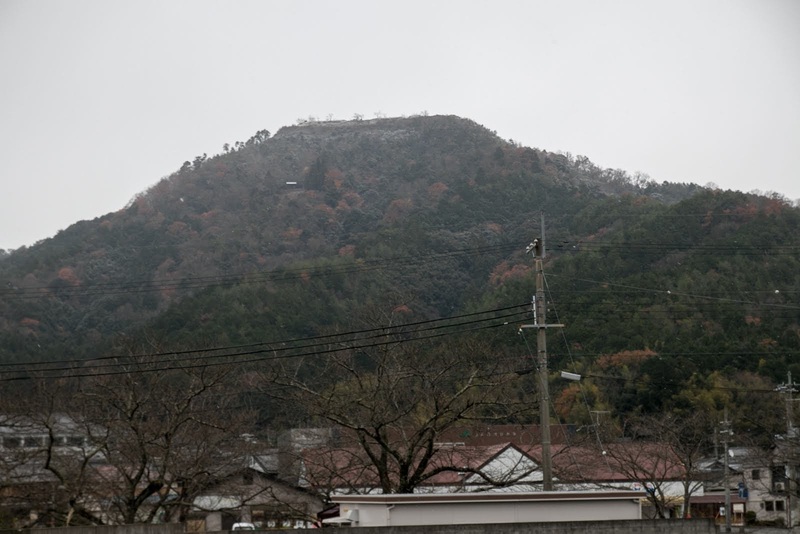 Naomasa who lead Akai clan aggressively fought with neighbor powers and expanded his territory. 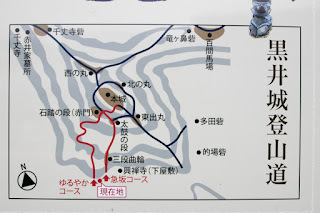 As southward of his territory was governed by his relative in marriage Hatano clan at Yagami castle and their relative in marriage Bessho clan at Miki castle, Naomasa tried to advance toward north and northwestward. In 1558, Naomasa extinguished Araki clan at Amada state, and captured south part of current Fukuchiyama city. 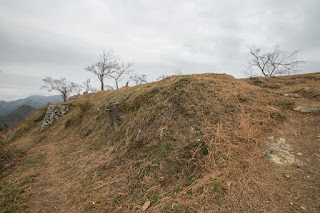 Later in 1565, Nagayori Matsunaga tried to suppress the rebellion of local lords and siege Hideharu Hatano (?-1579), leader of Hatano clan at Yagami castle, but Hidedeharu and Naomasa collaboratively resisted to this attack, and finally let Nagayori die in the battle. Because of such achievement, Naomasa became the strongest lord of Tanba province, and grew his territory into the western half of Tanba province. 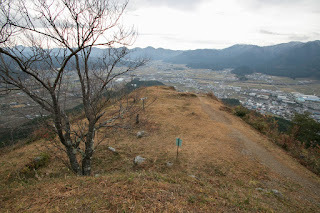 Naomasa was feared as “red devil of Tanba province, and the reason is unknown but praised at “Koyo Gunkan”, the military tale of Takeda clan at Kai province (Yamanashi prefecture). 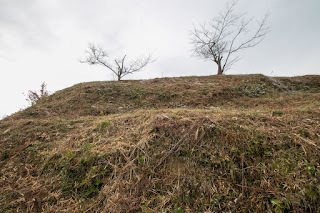 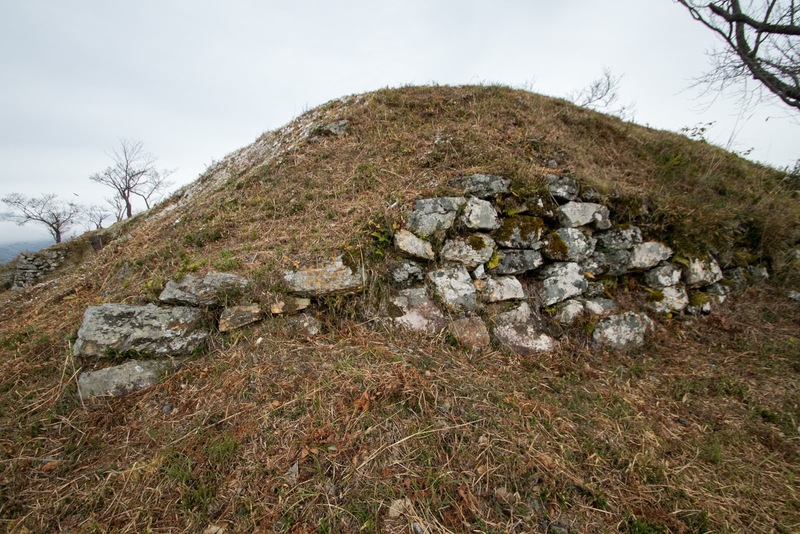 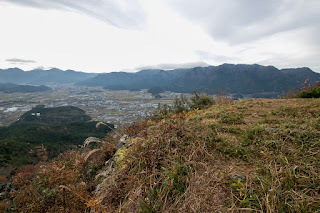 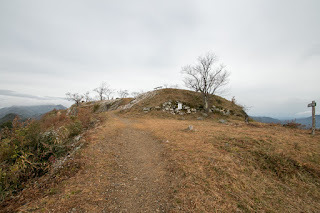 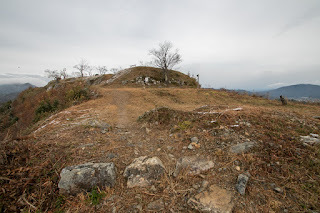 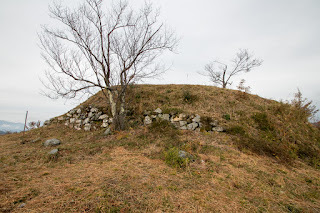 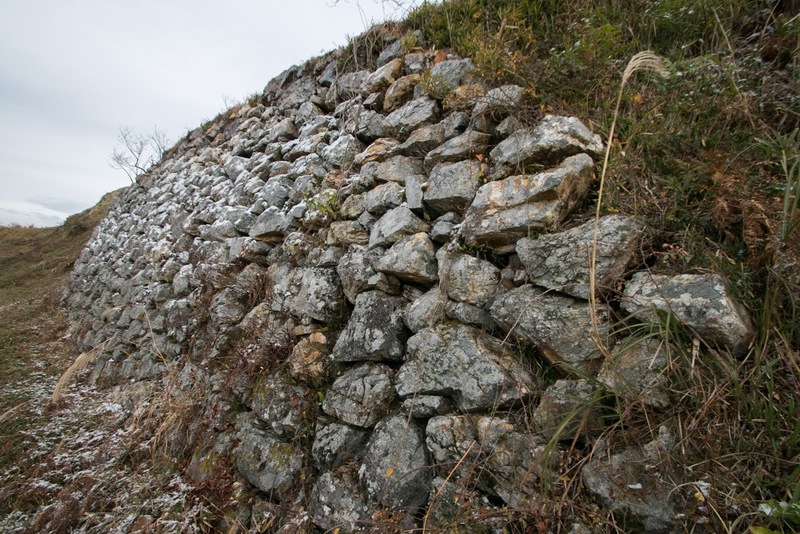 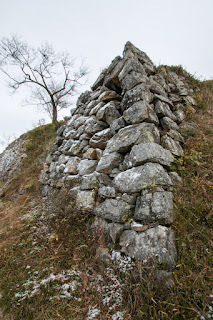 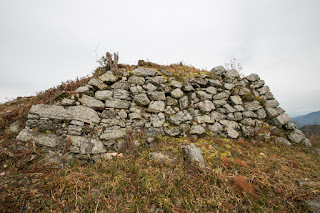 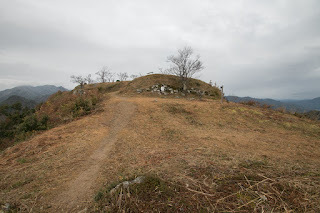 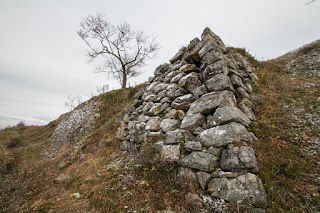 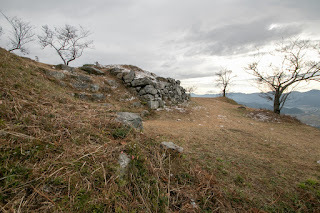 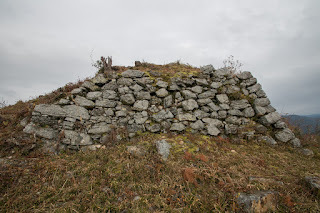 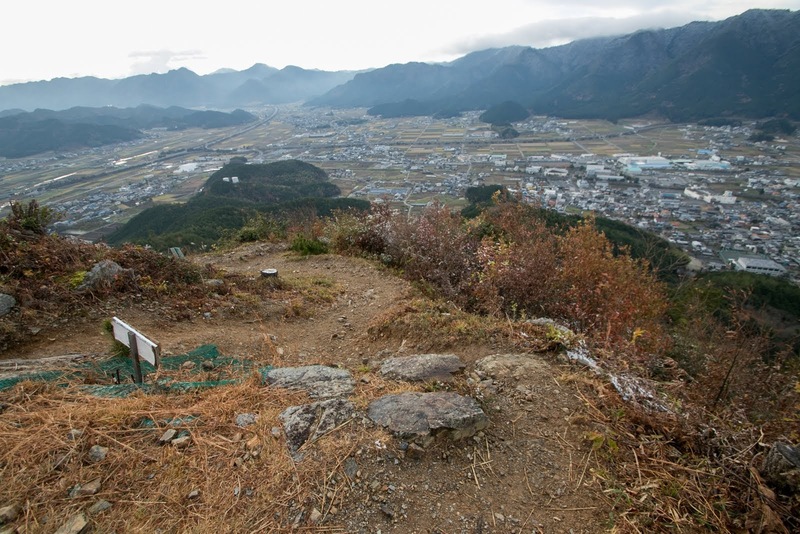 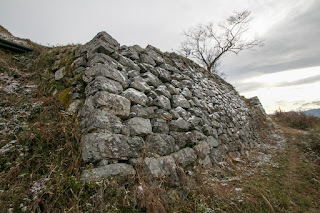 Naomasa also expanded Kuroi castle into a huge fortress covered whole Shiroyama mountain. 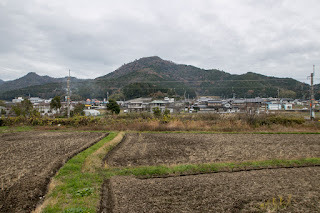 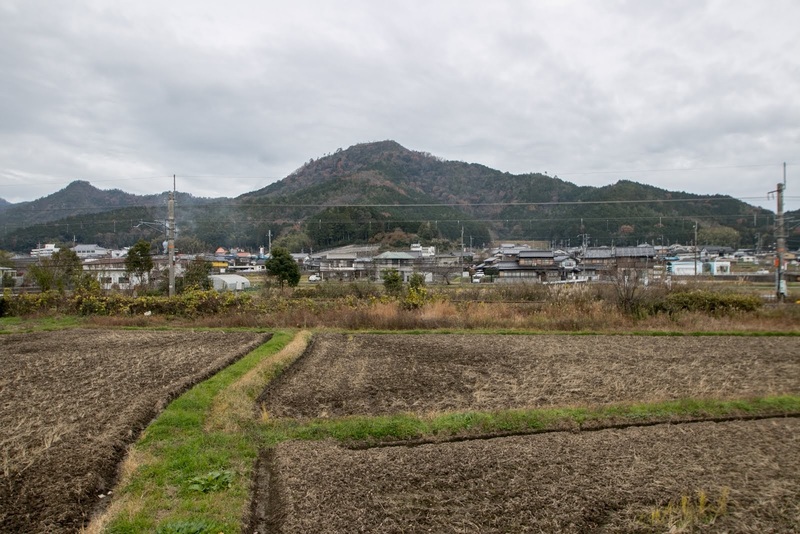 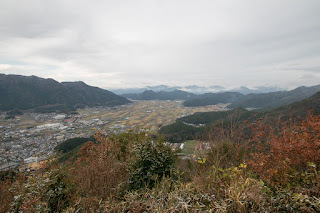 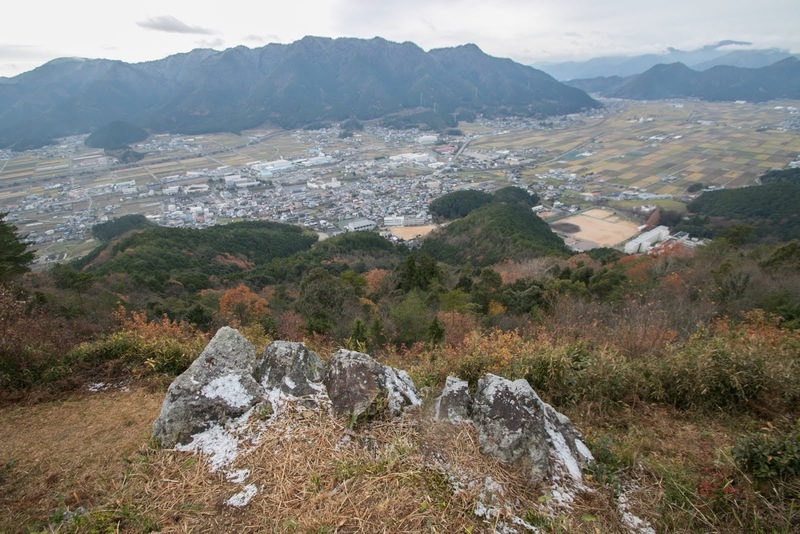 Kuroi castle spread over corn shaped sheer mountain. 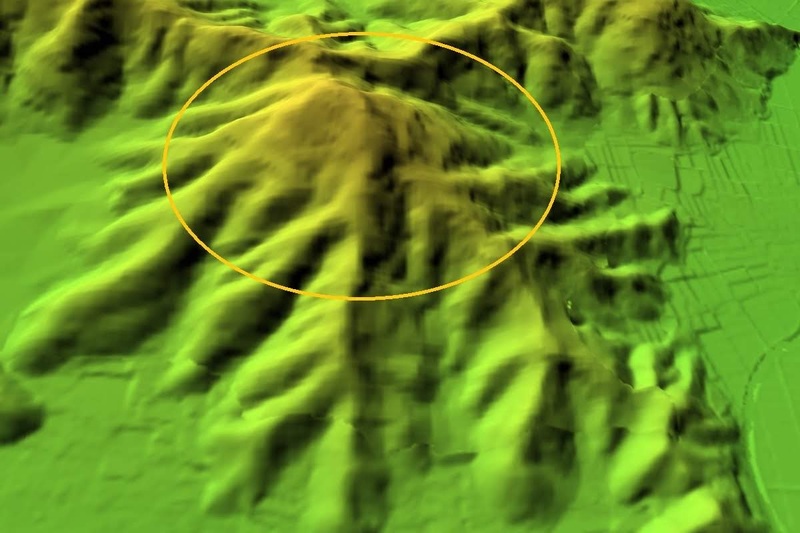 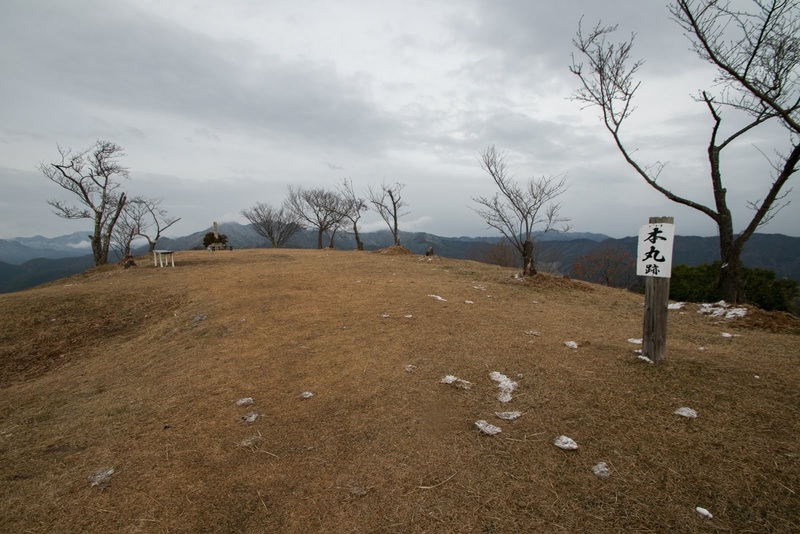 At the hilltop area, several terraces including central area, secondary area, third area and Higashikuruwa area lies along the ridge in line from west to east. 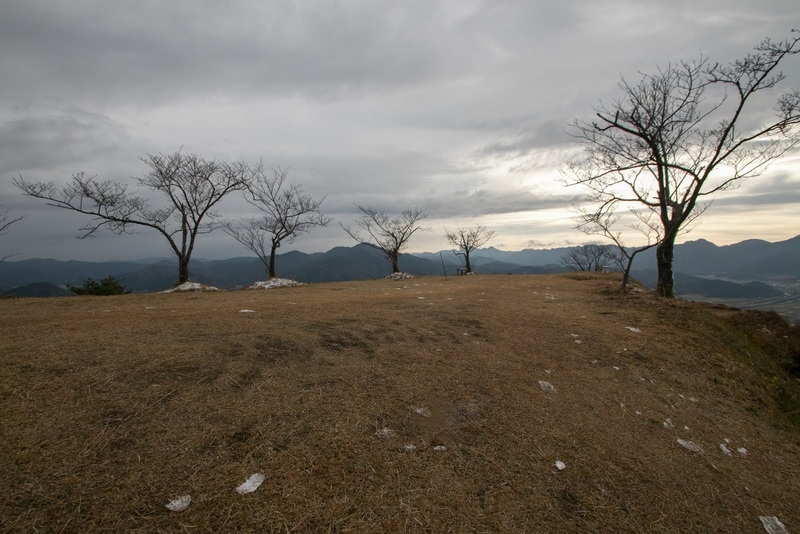 Central area is a rectangular area of 50 meter long and 20 meter wide, at the western edge of main areas. 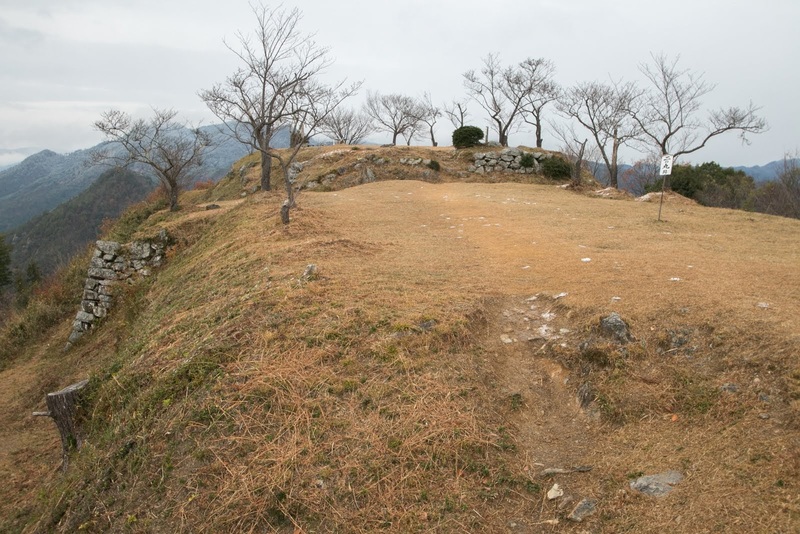 At the western edge of the central area, there seems small basement might be used for main tower. 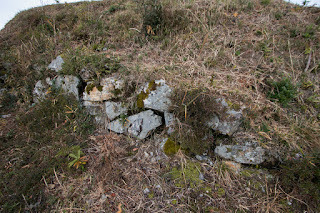 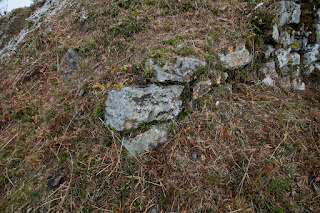 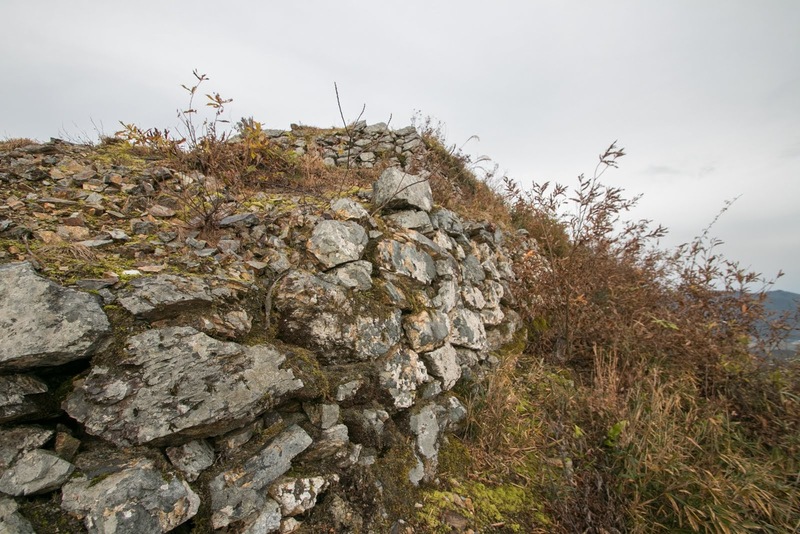 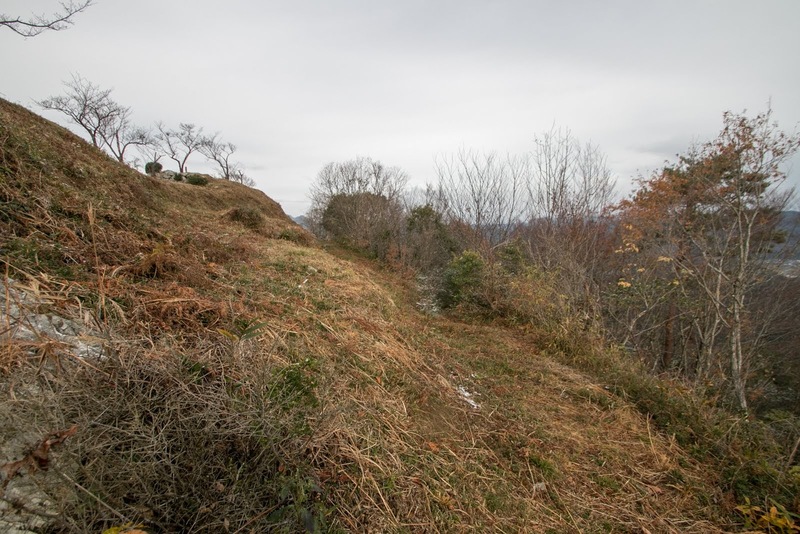 Eastern line, the front side of central area is separated by shallow dry moat and low stone wall, and southern line is also protected by another stone wall. Secondary area is also a rectangular area of 50 meter and 20 meter, locates at the east of central area. 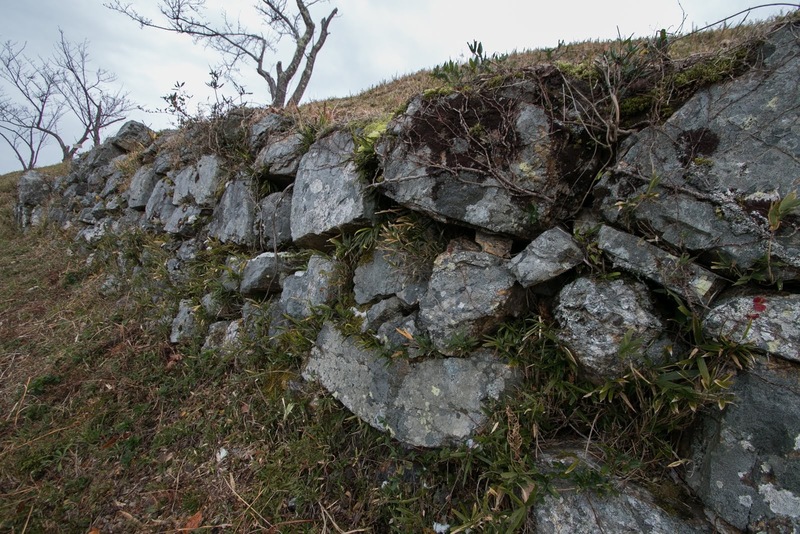 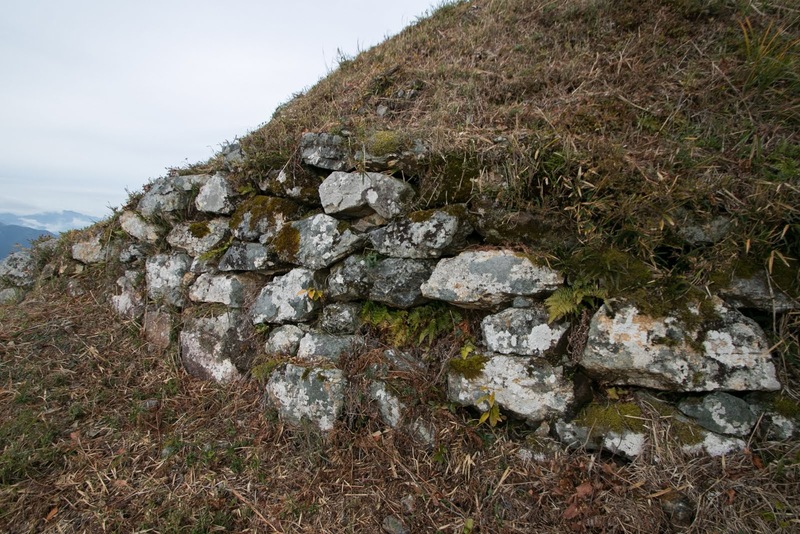 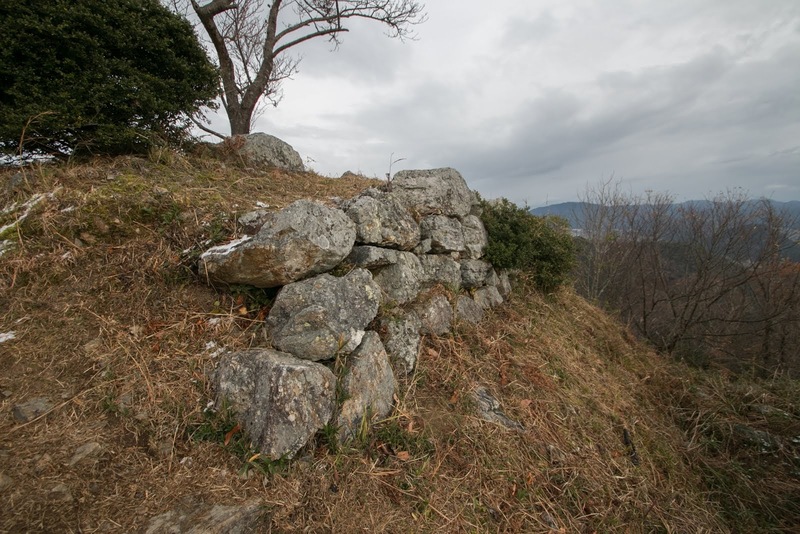 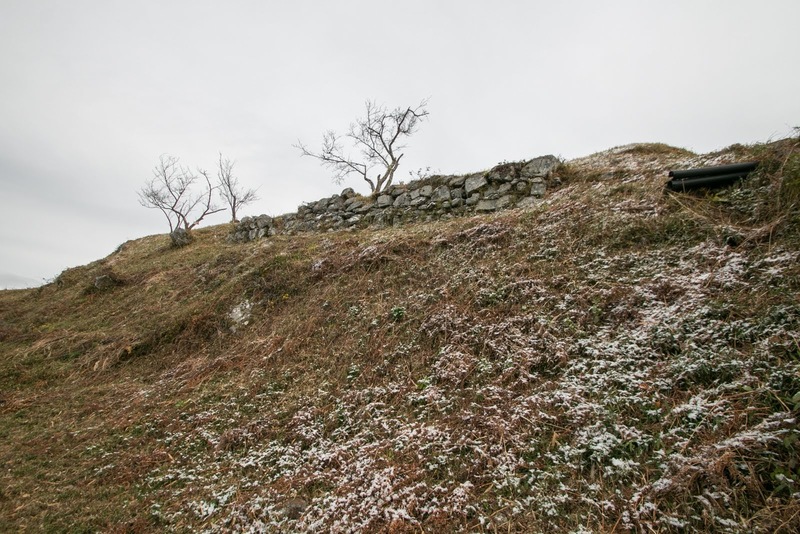 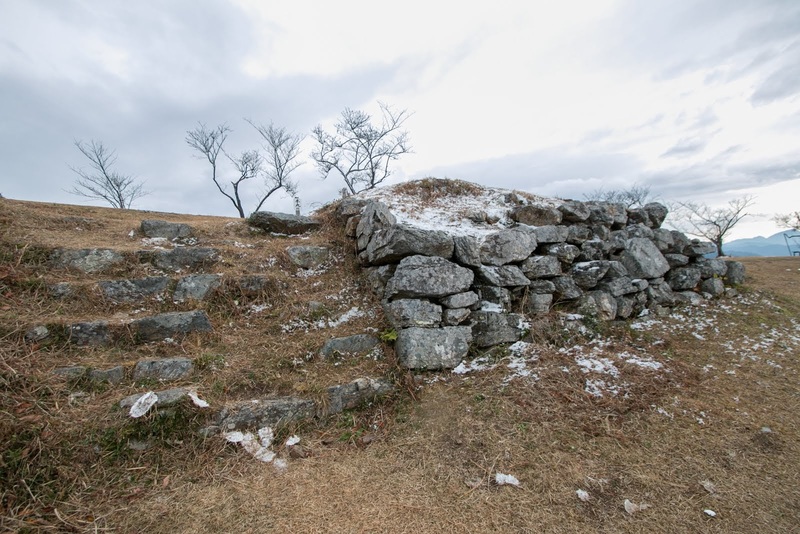 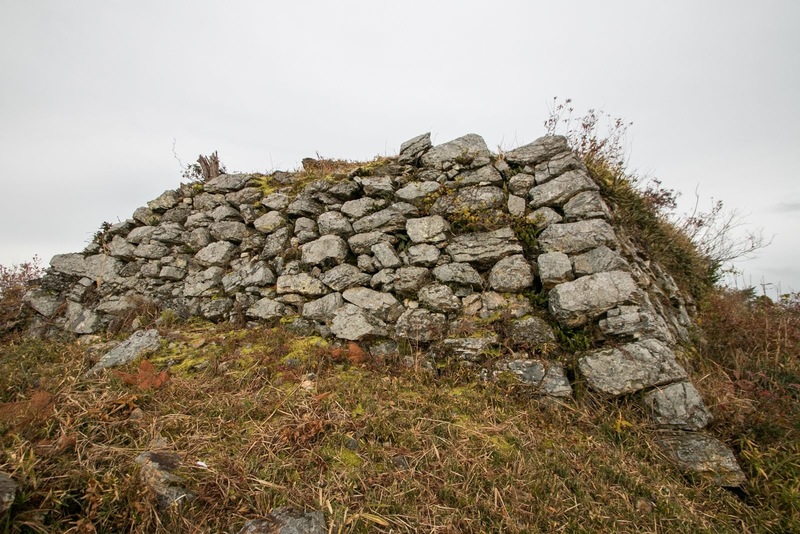 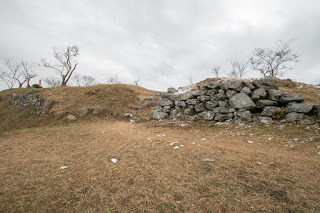 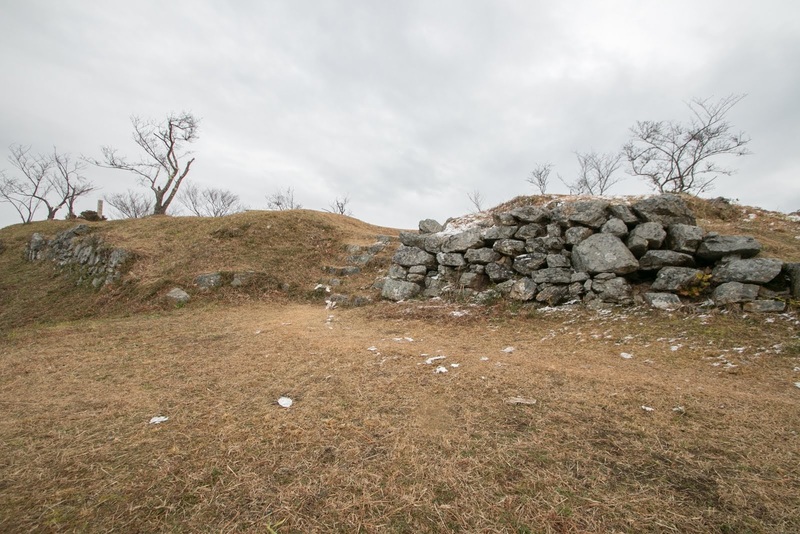 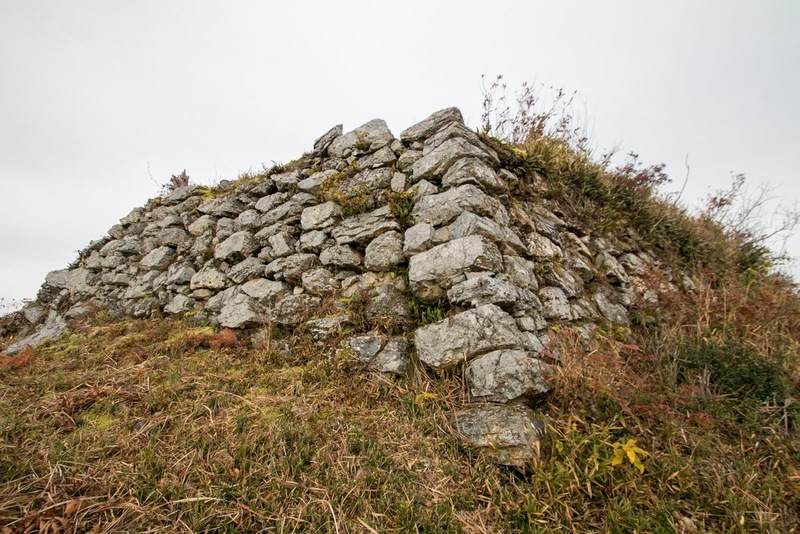 At the east of secondary area there are small areas such as Sannomaru area and Higashinomaru area, both had stone walls at its front side. 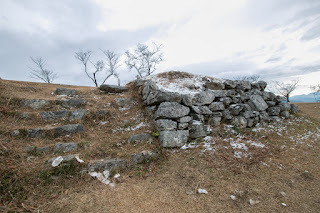 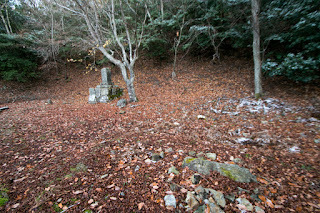 Entrance from Sannomaru area into Secondary area might be a barrack gate, and splendid stone basement still remains. 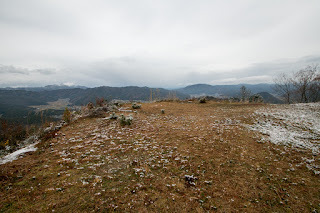 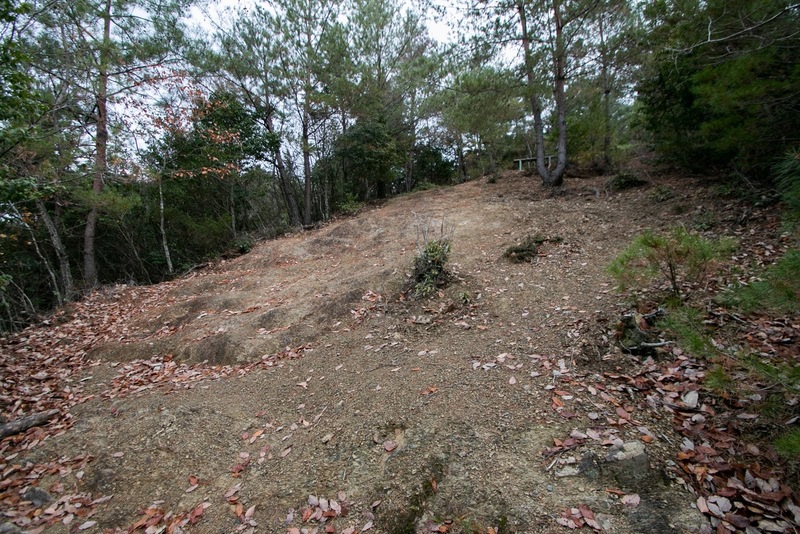 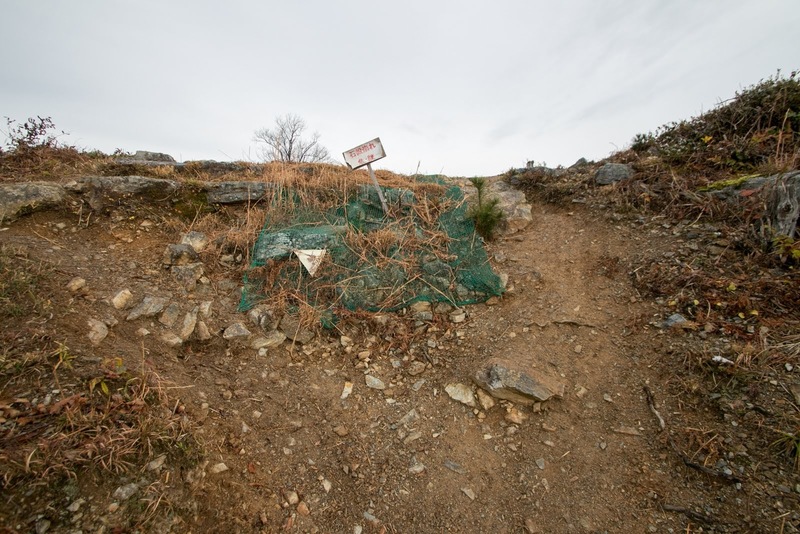 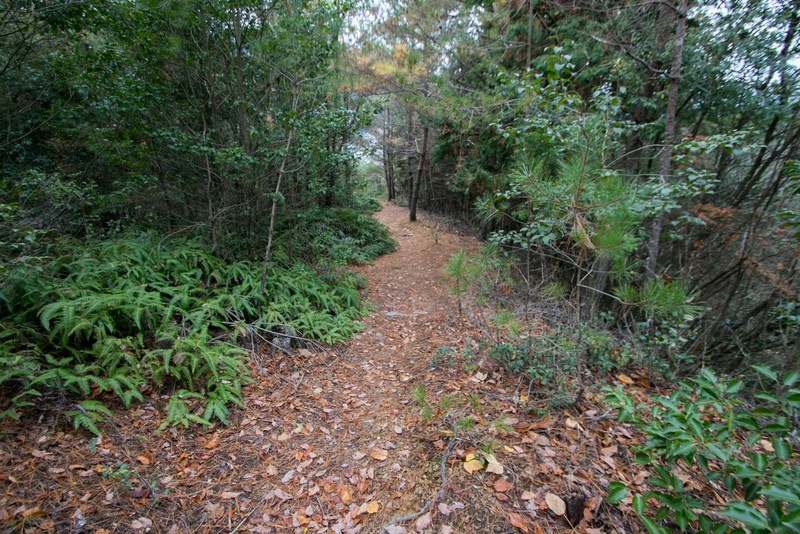 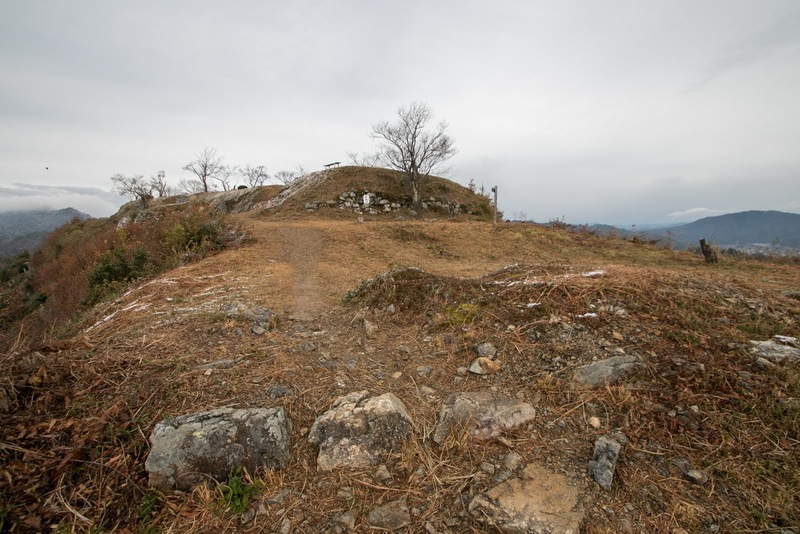 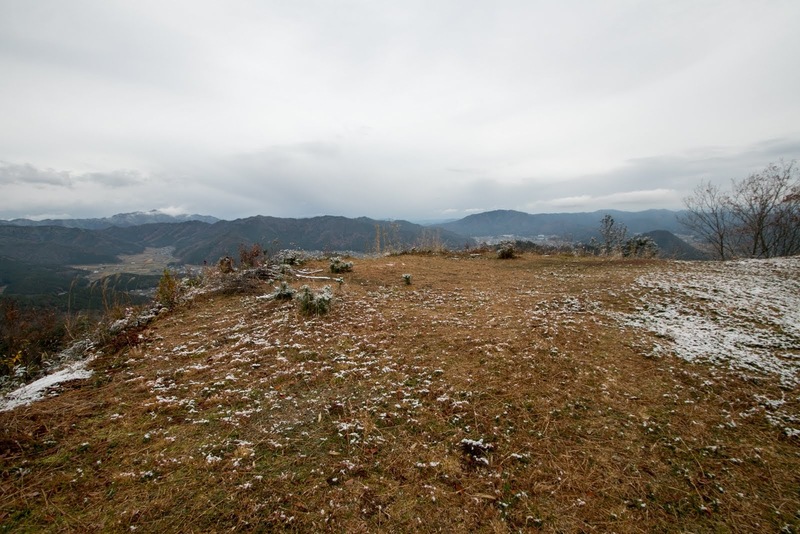 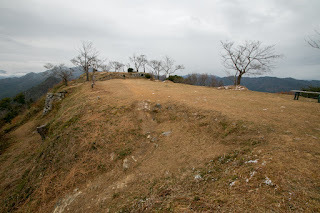 Total size of hilltop area is about 200 meter long and 50 meter wide. 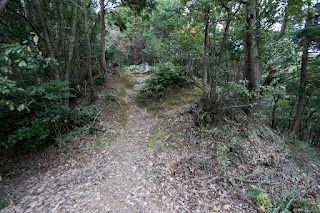 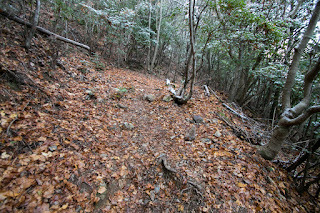 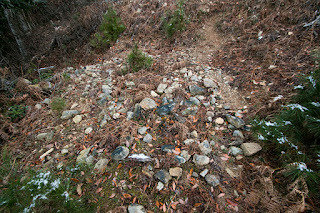 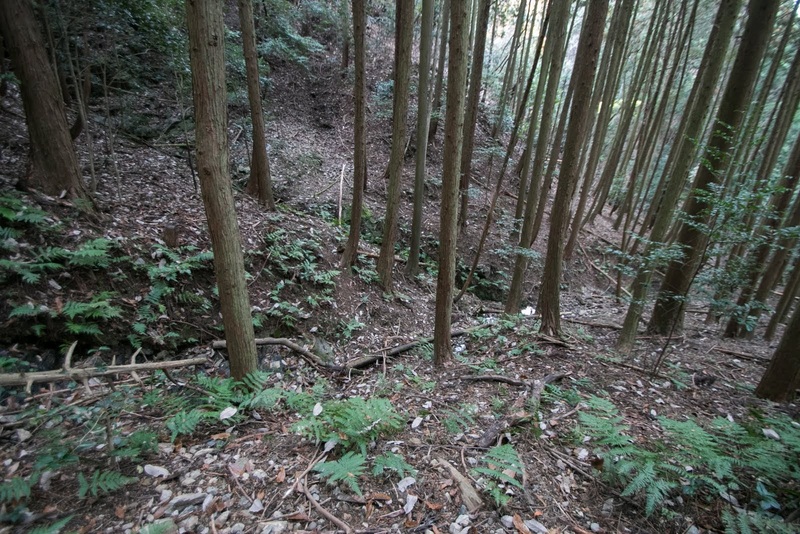 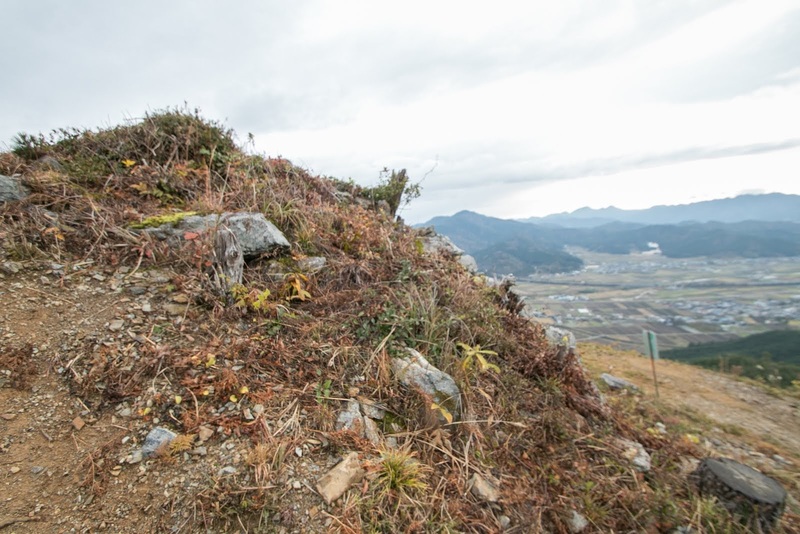 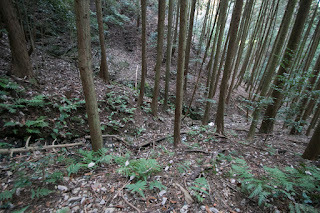 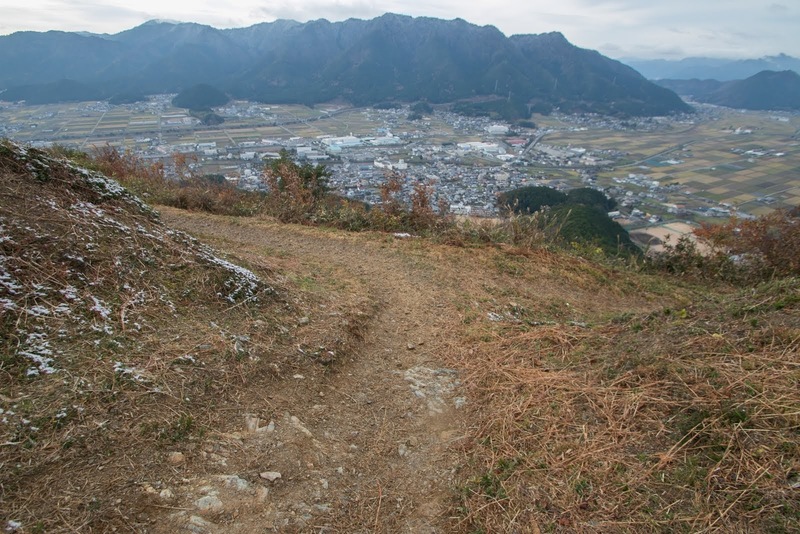 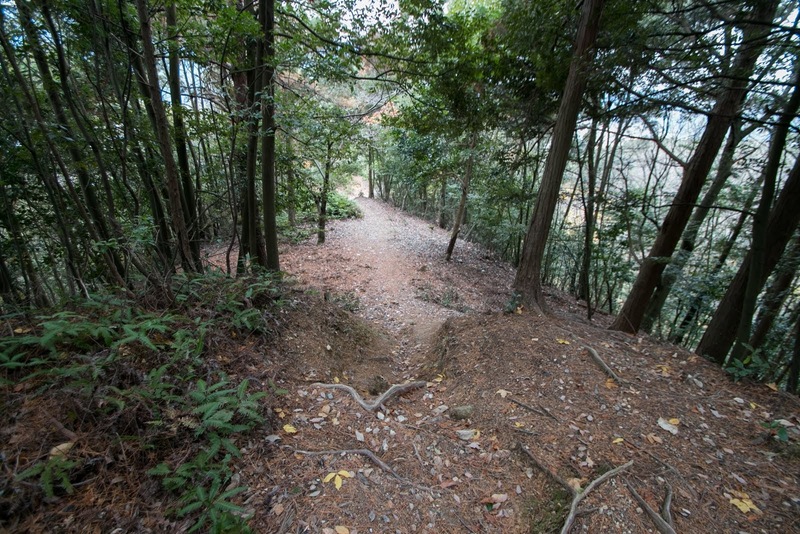 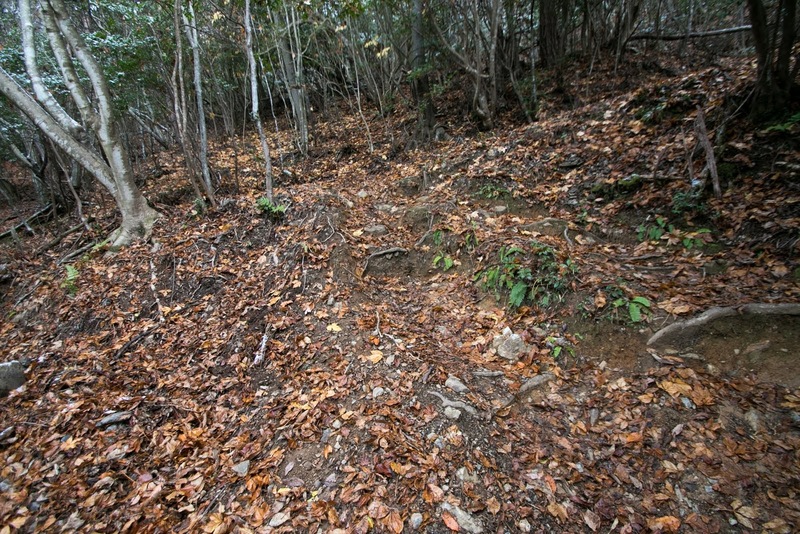 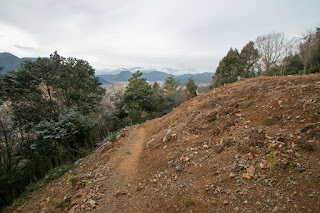 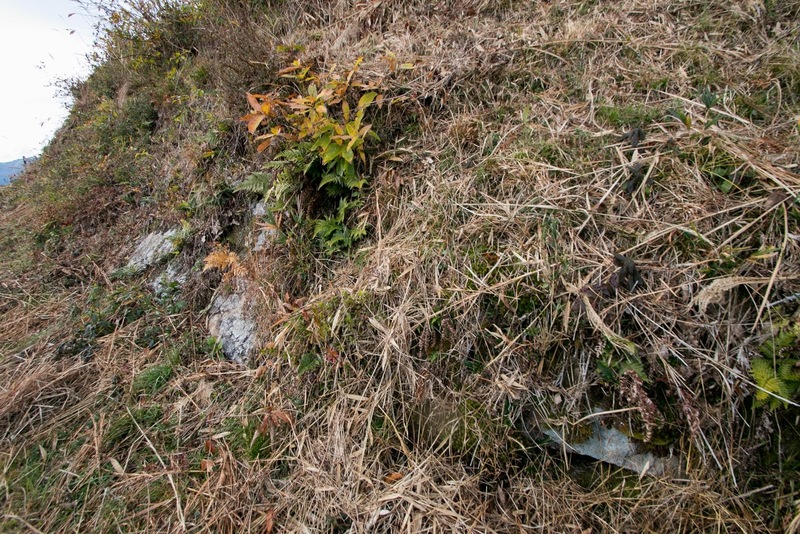 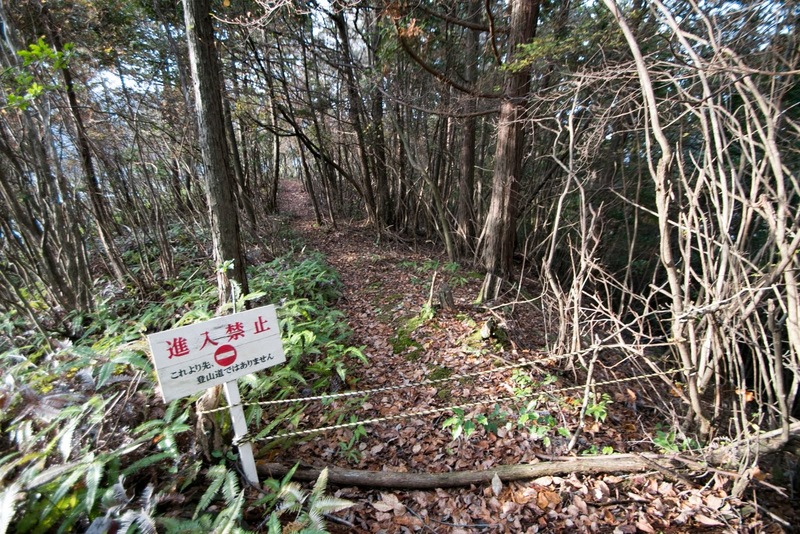 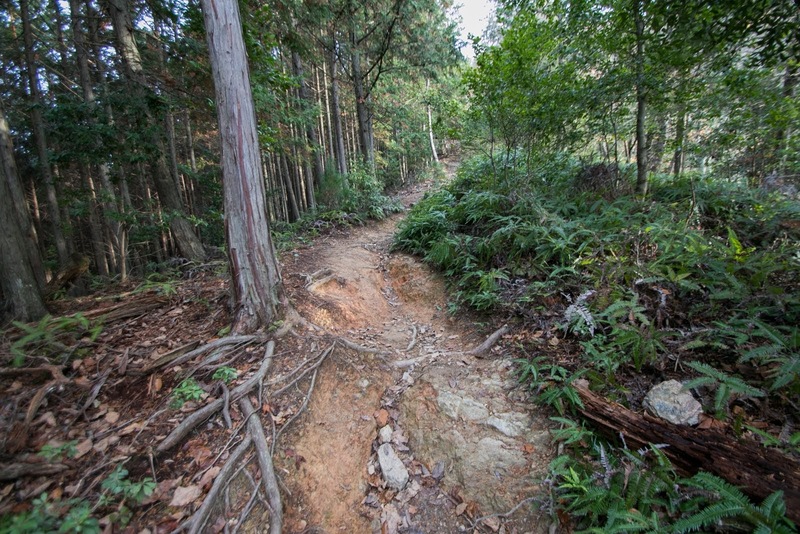 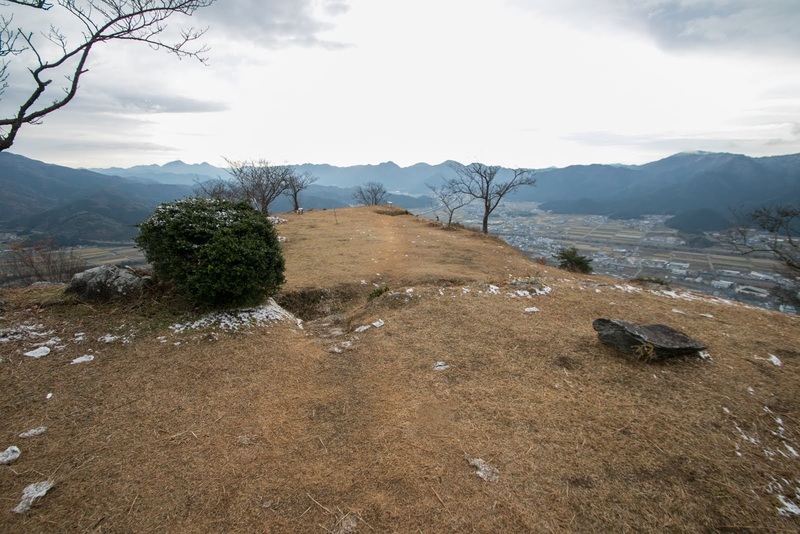 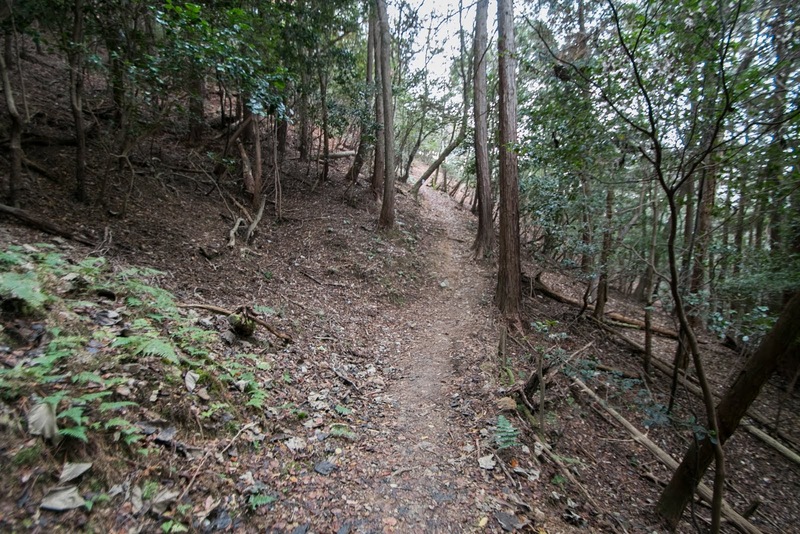 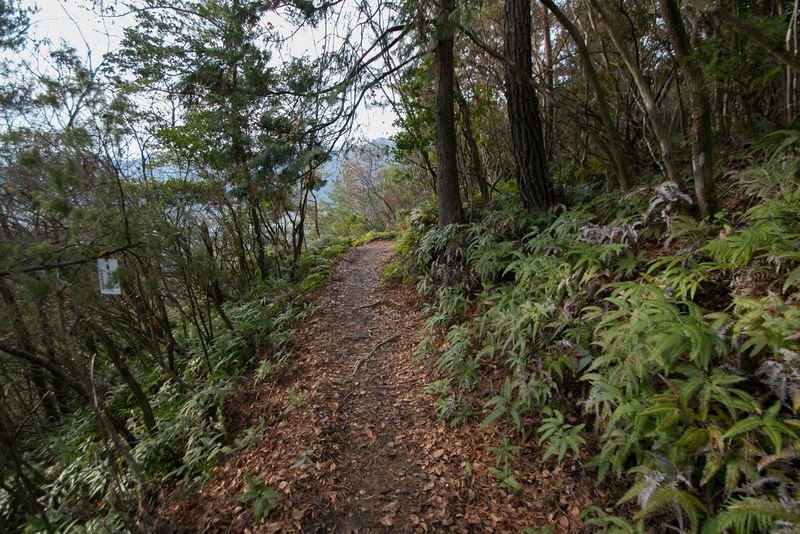 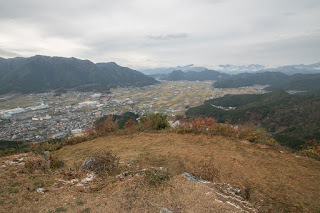 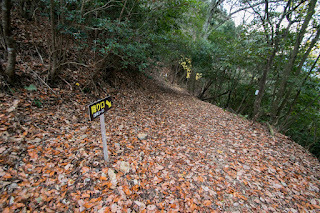 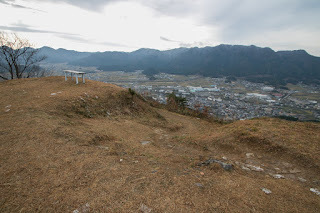 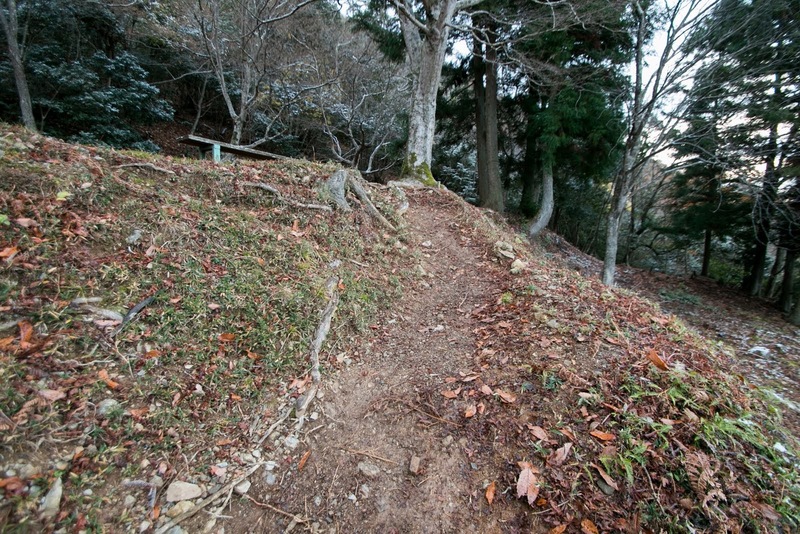 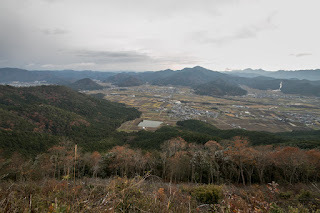 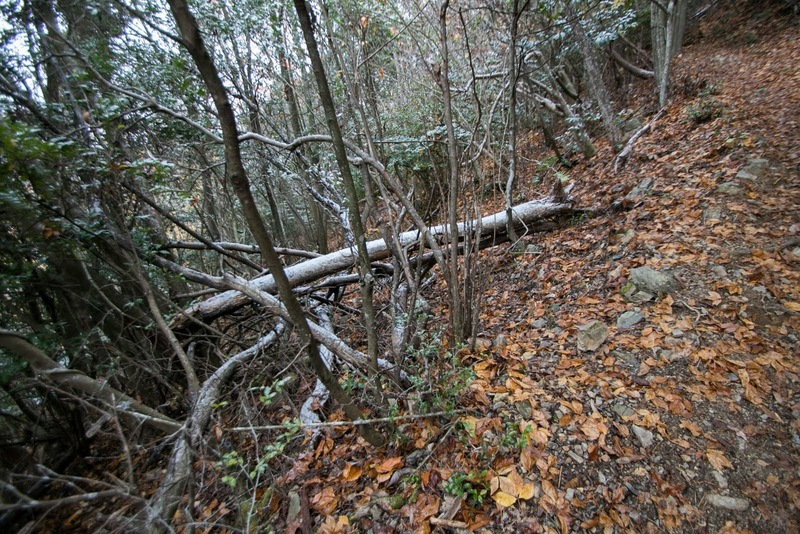 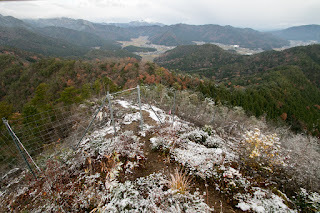 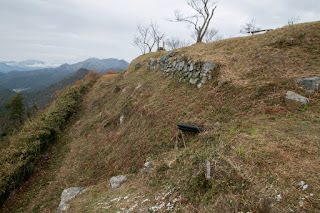 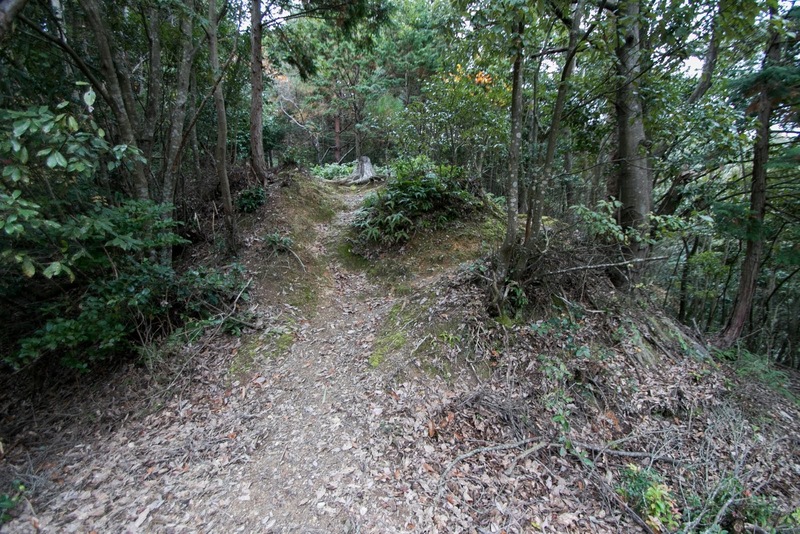 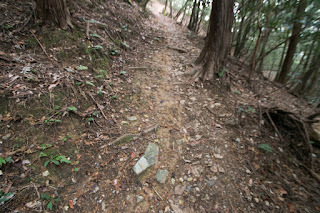 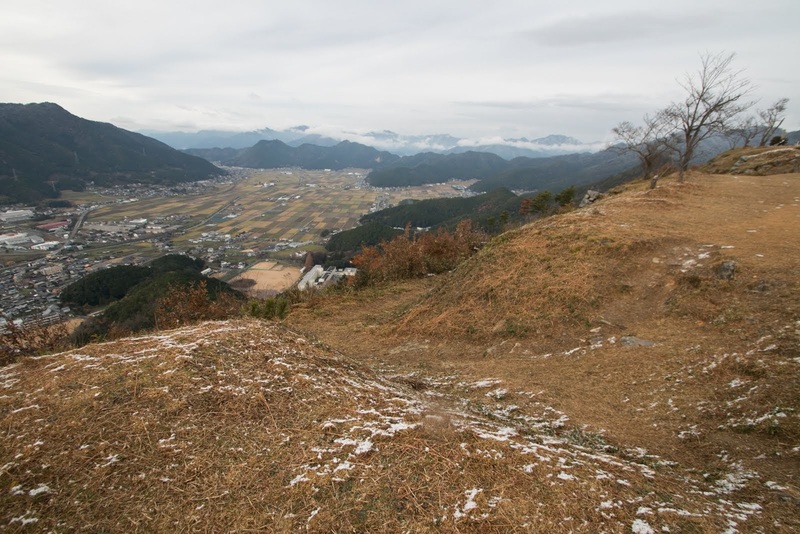 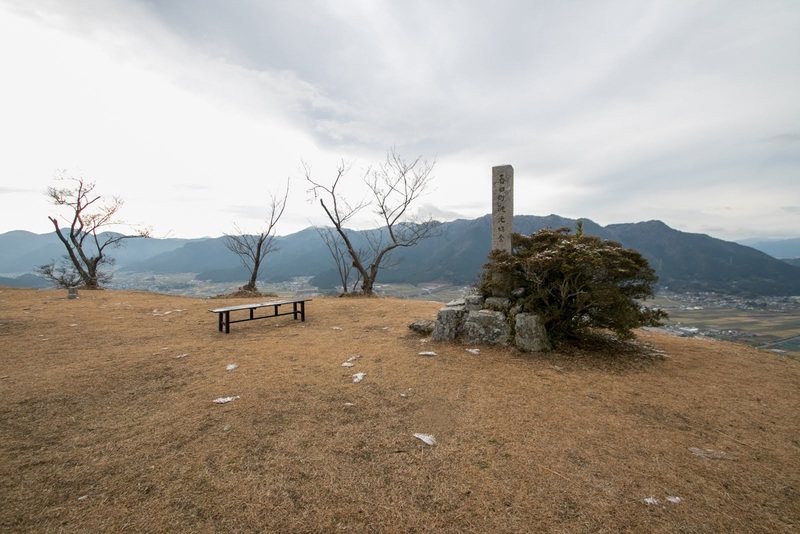 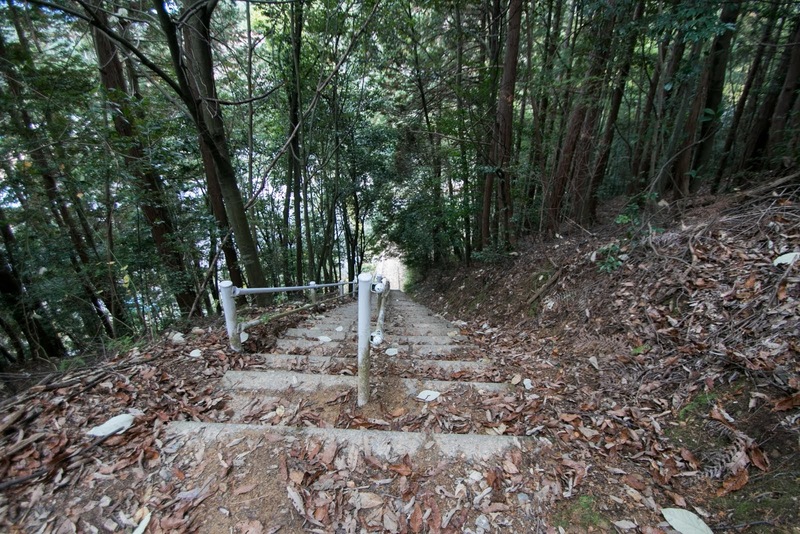 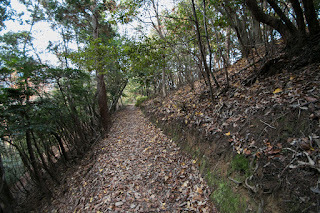 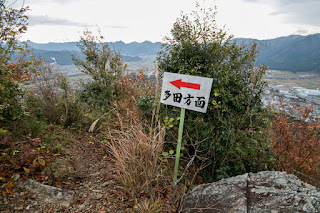 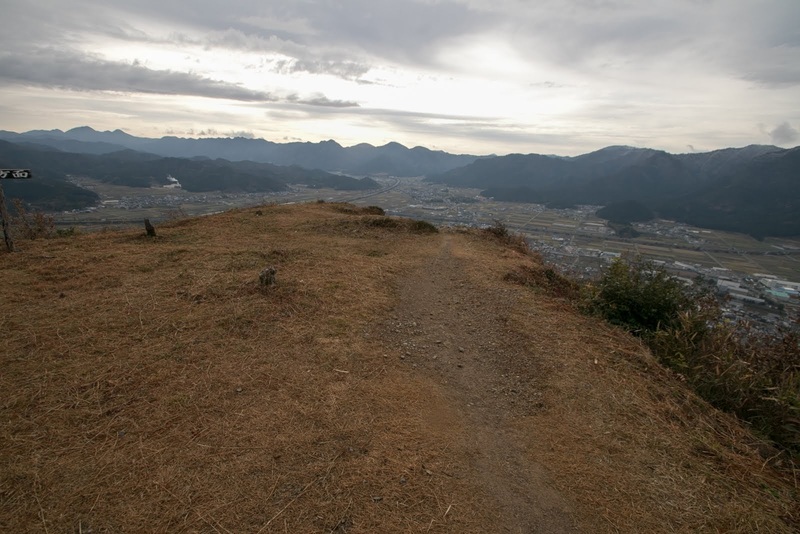 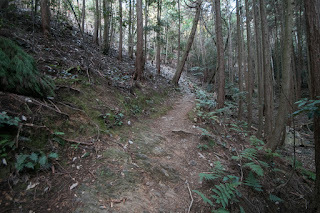 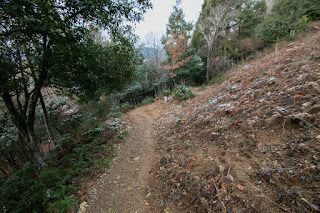 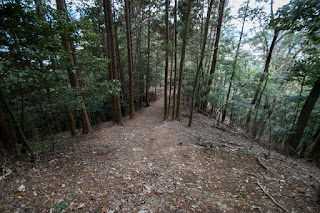 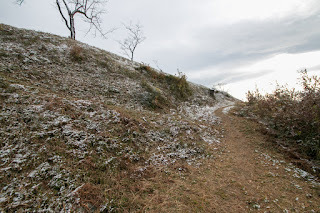 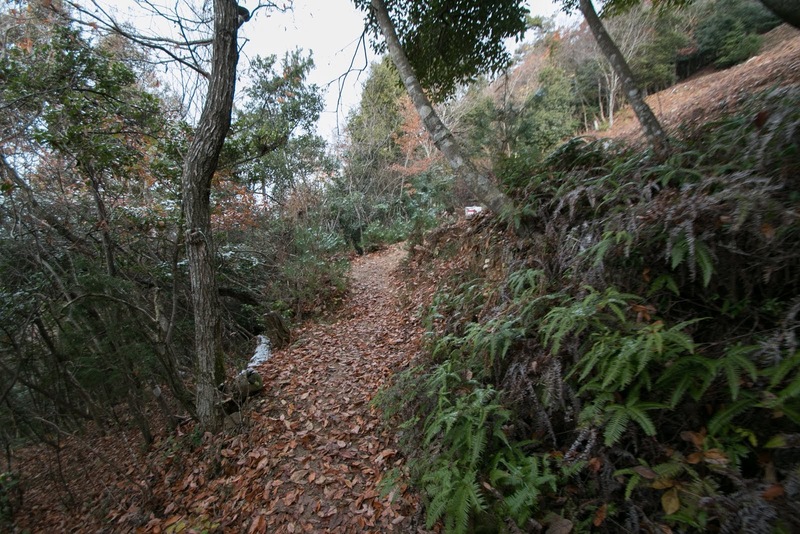 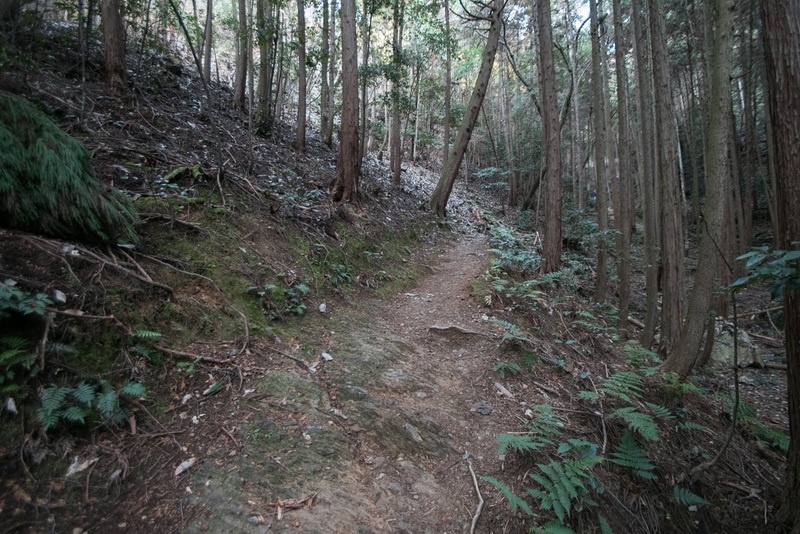 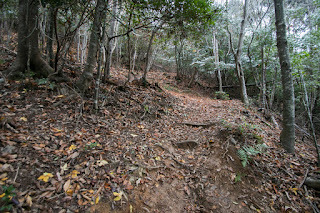 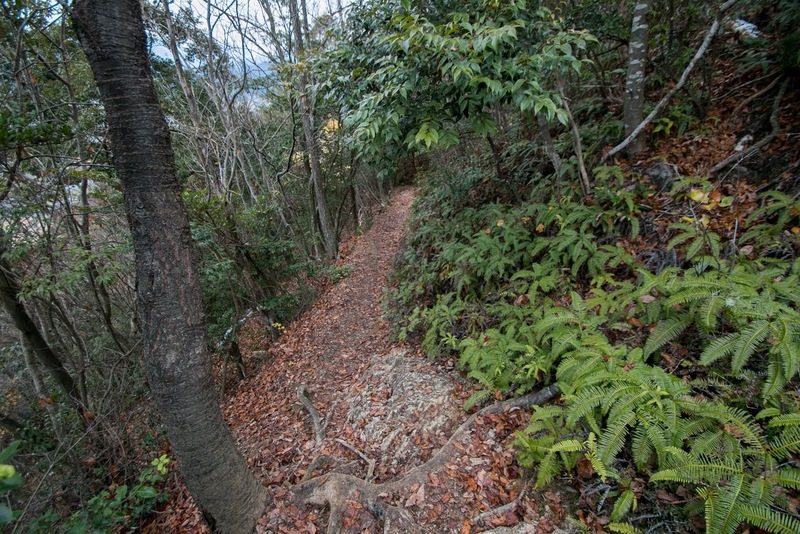 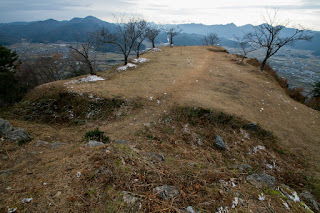 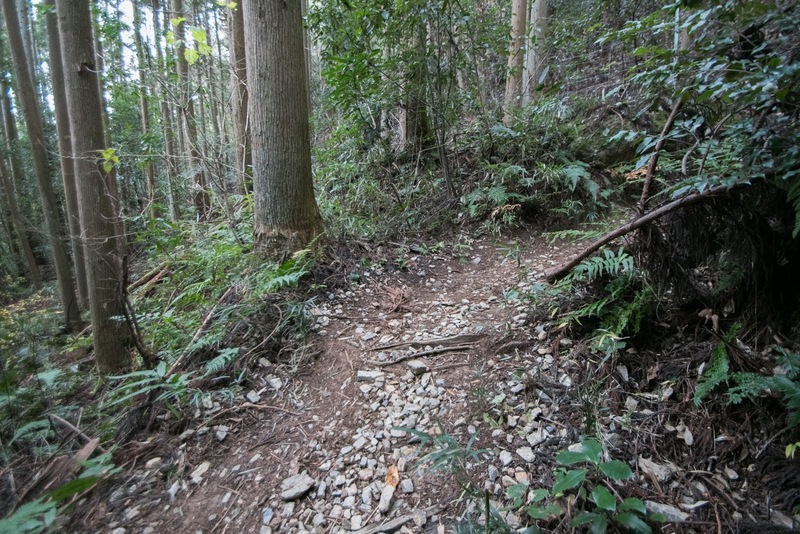 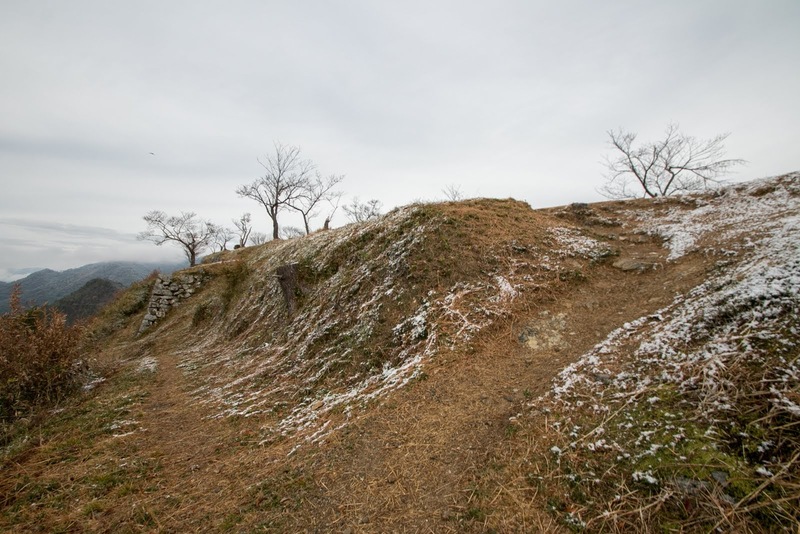 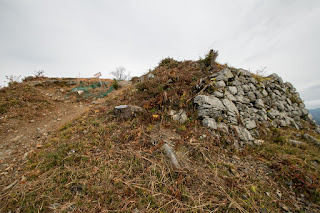 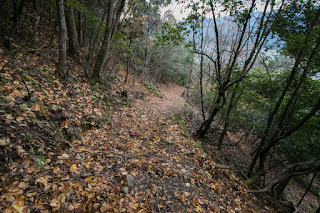 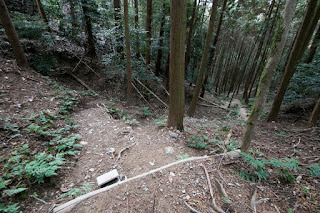 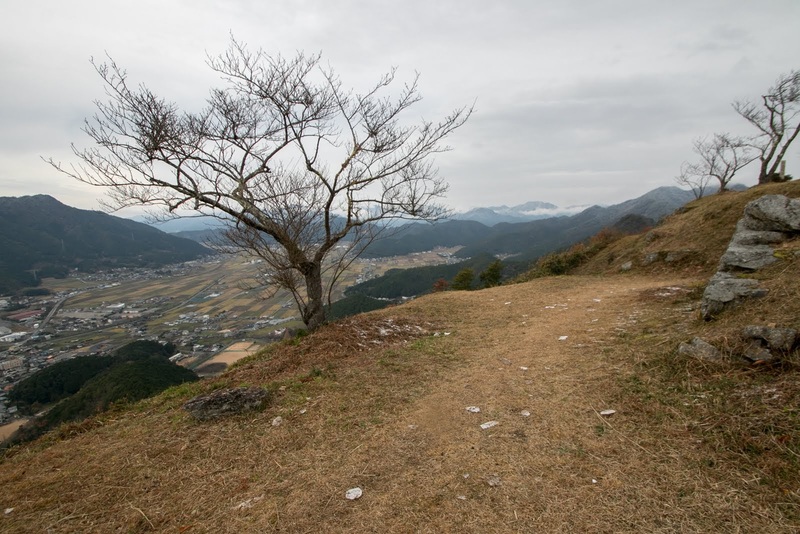 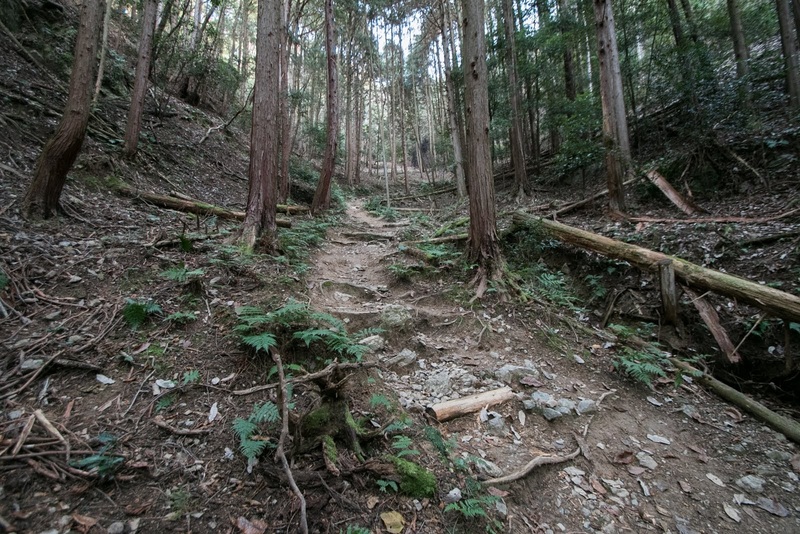 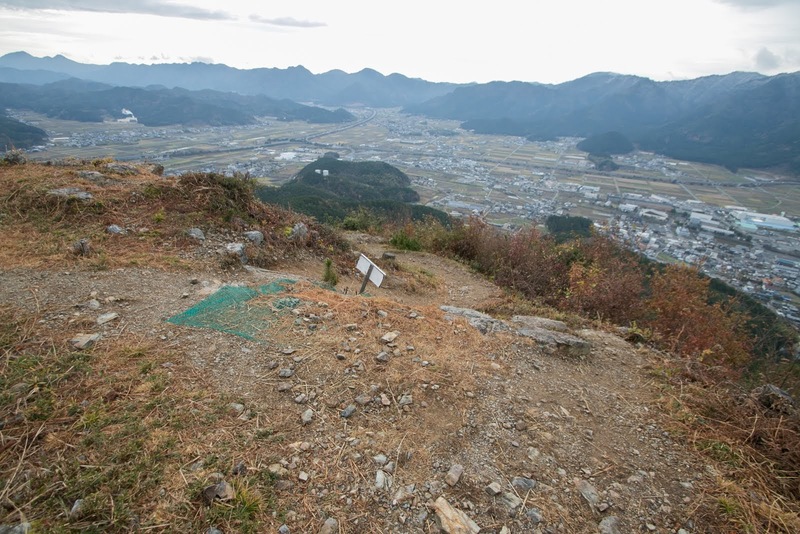 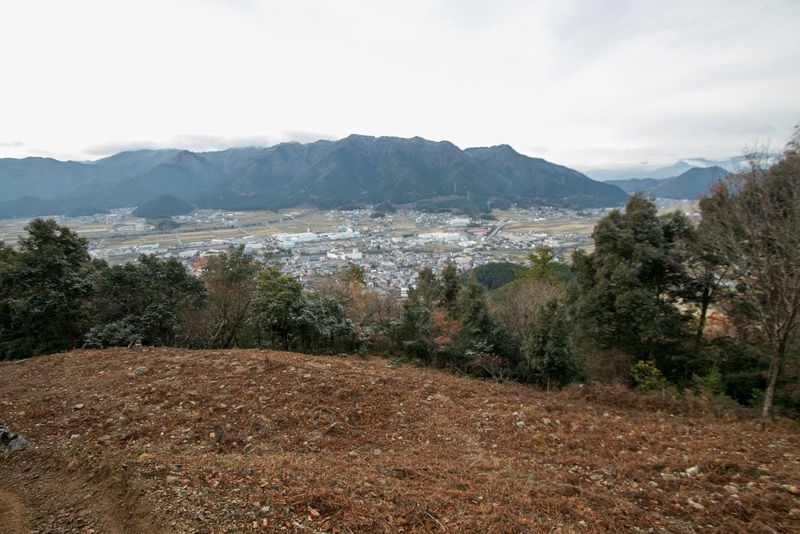 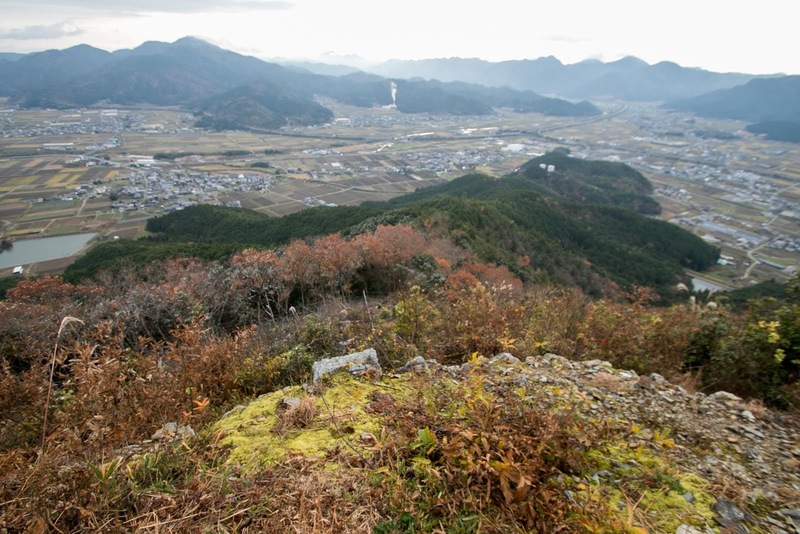 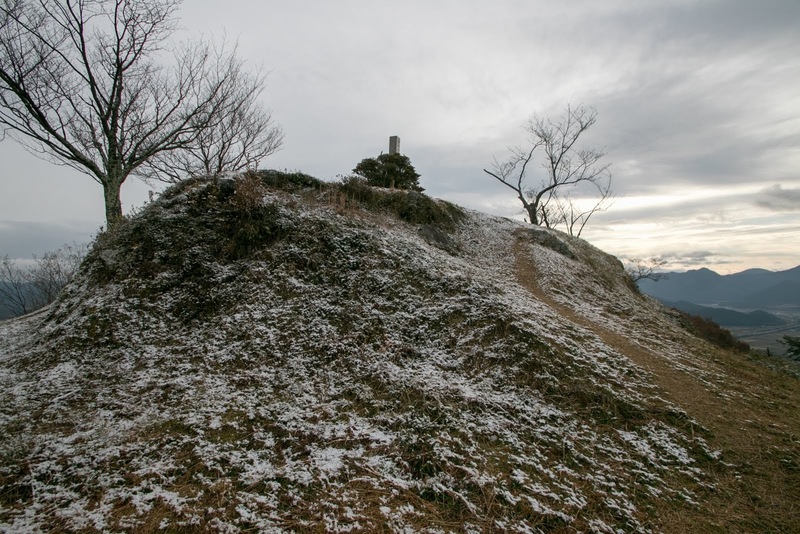 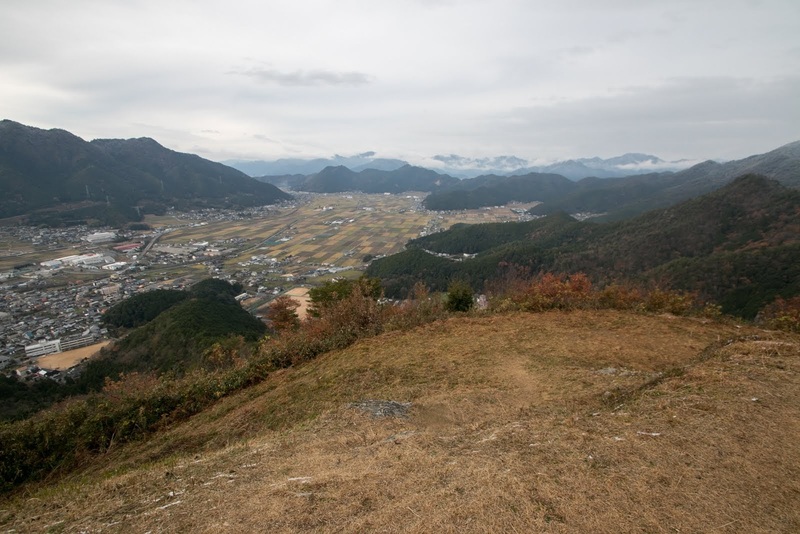 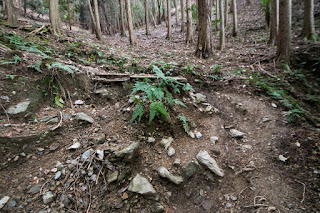 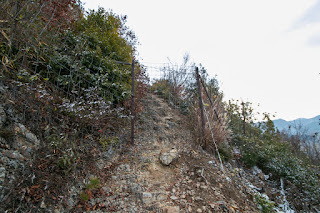 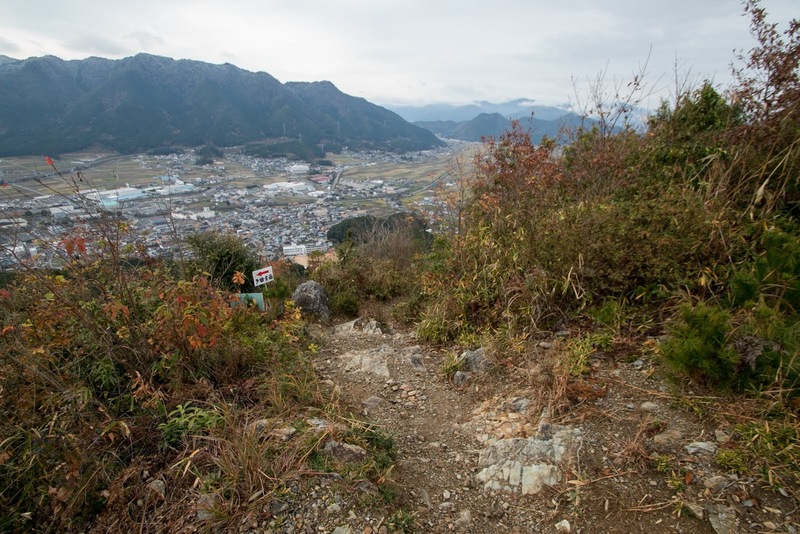 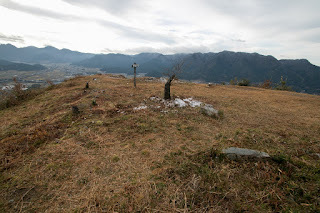 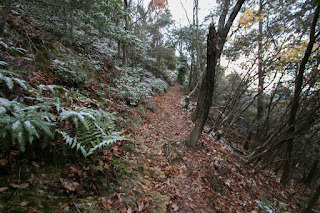 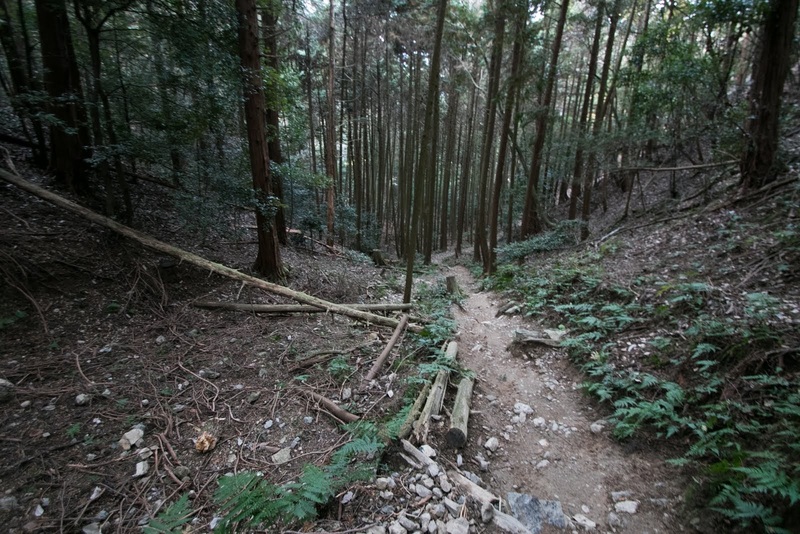 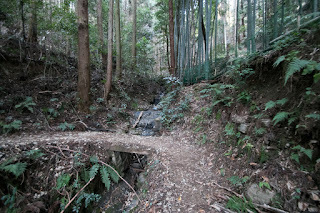 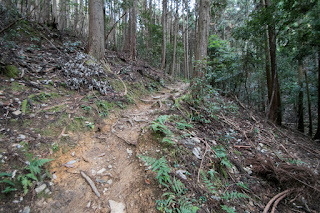 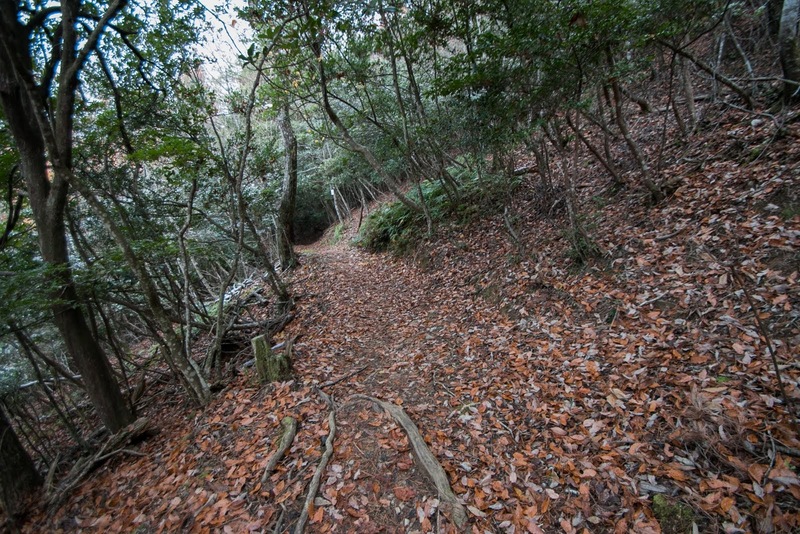 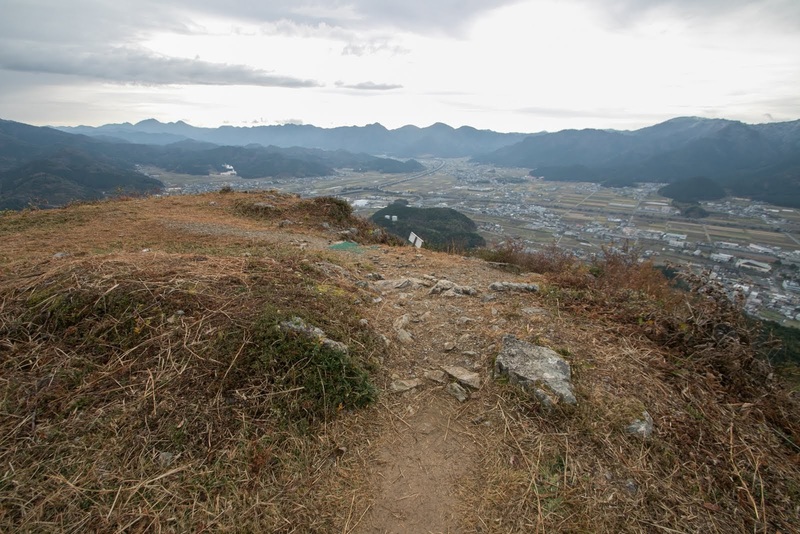 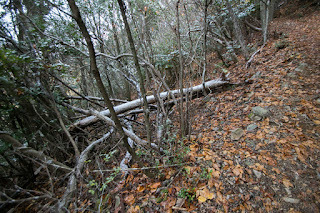 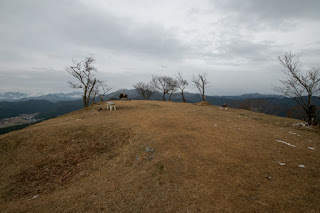 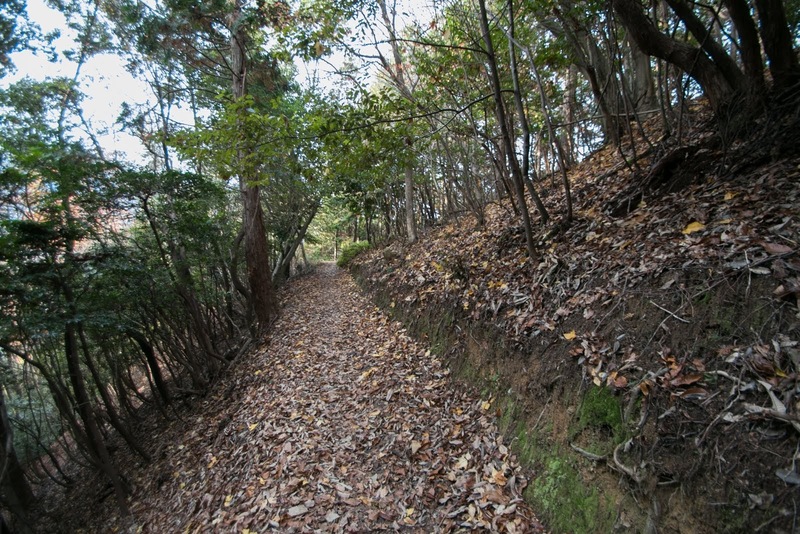 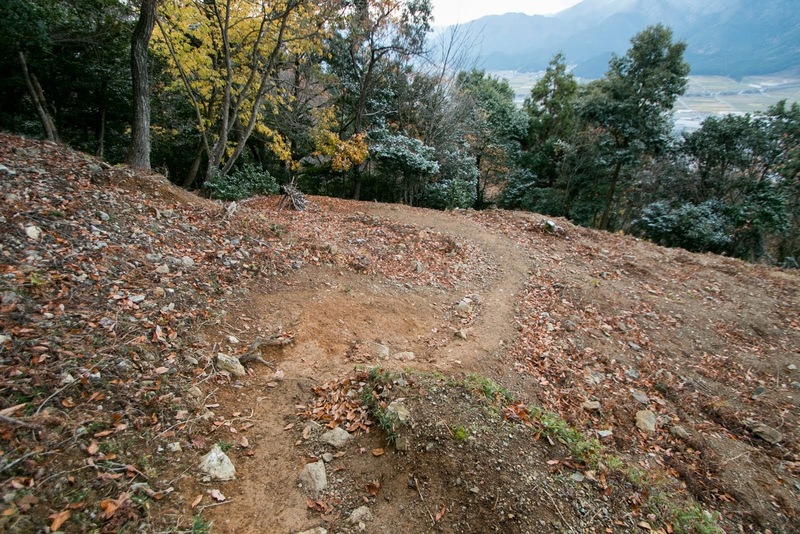 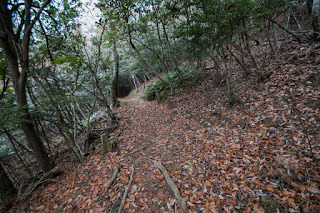 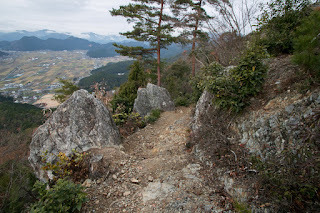 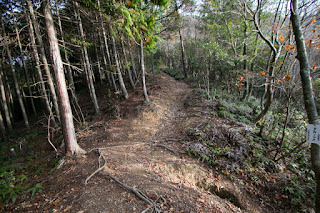 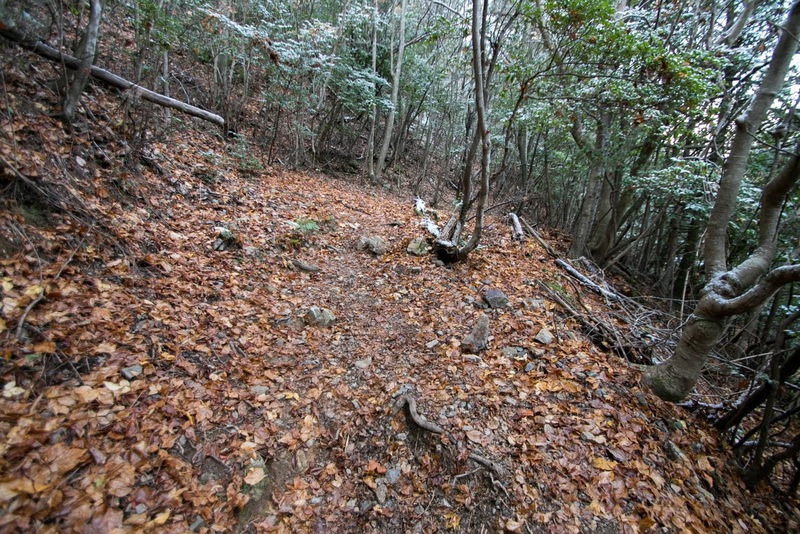 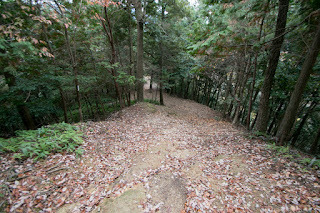 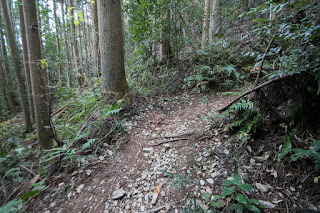 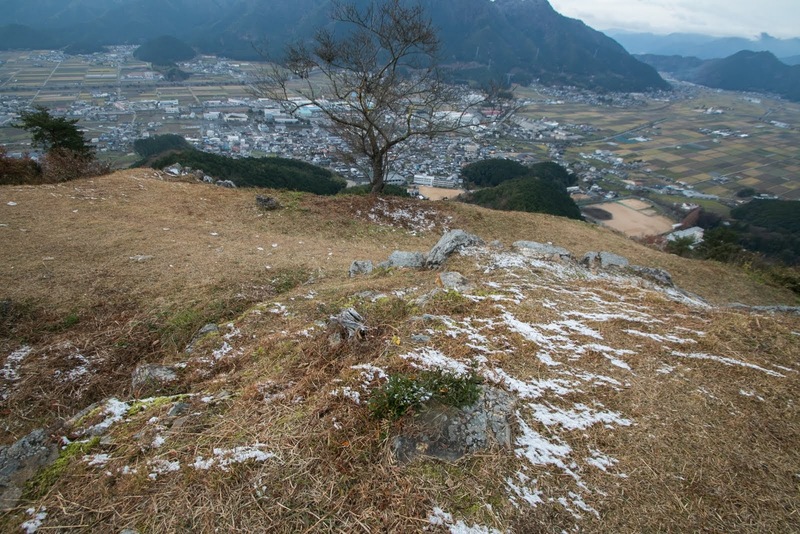 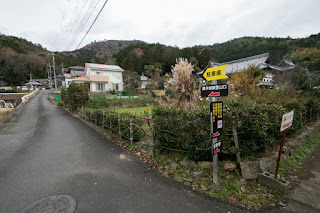 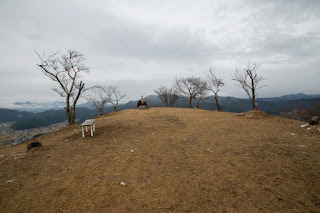 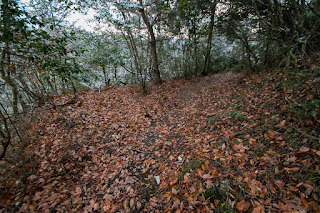 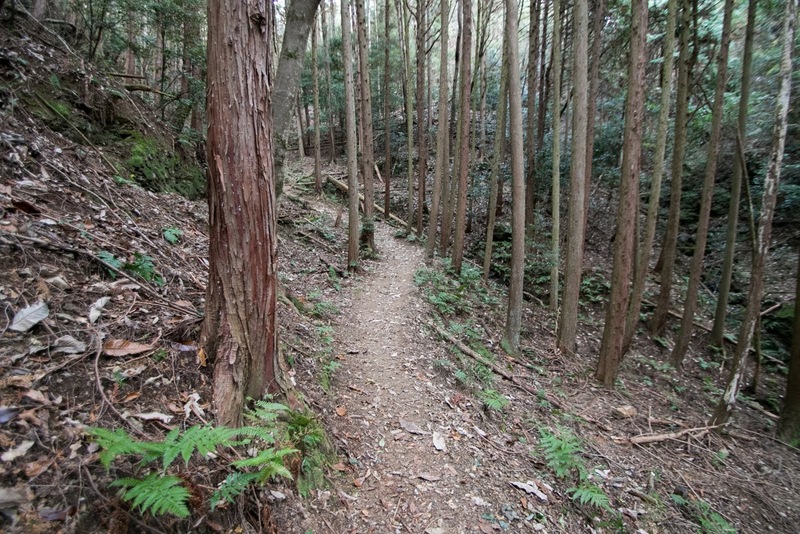 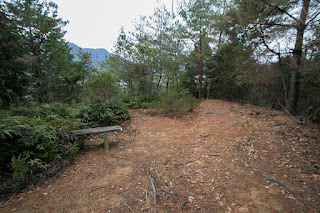 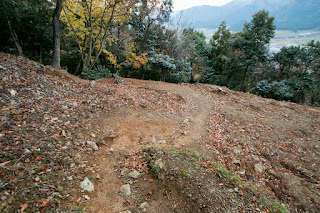 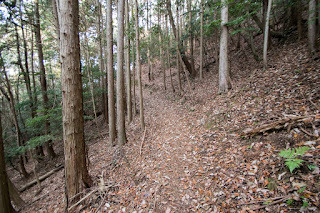 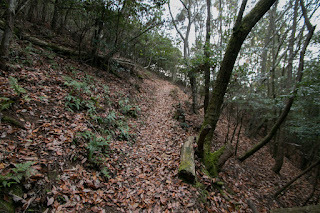 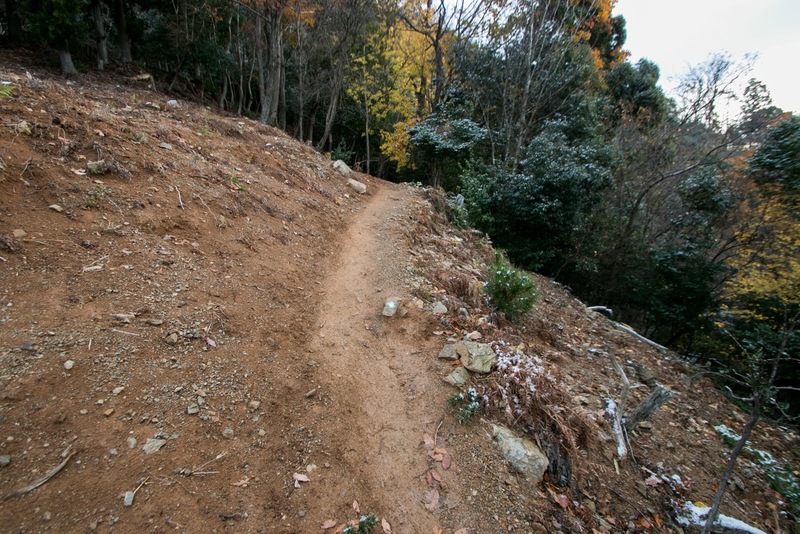 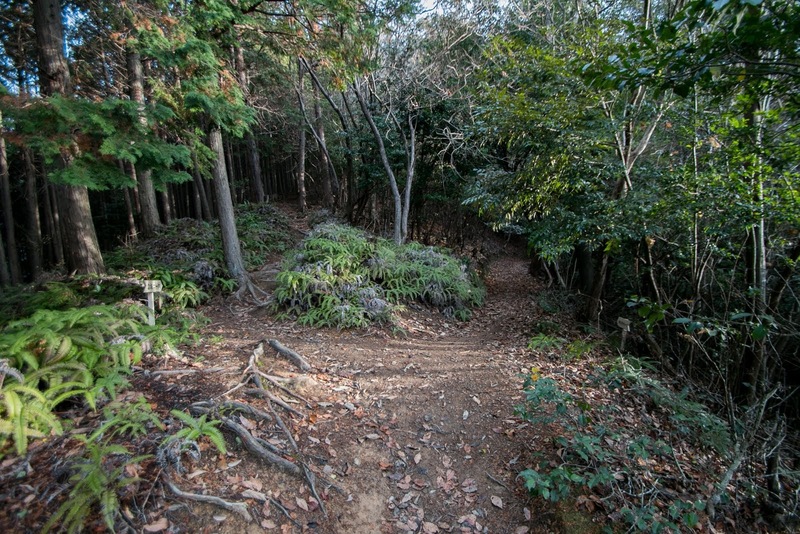 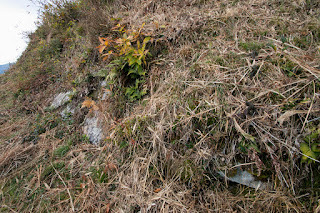 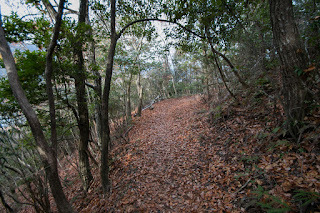 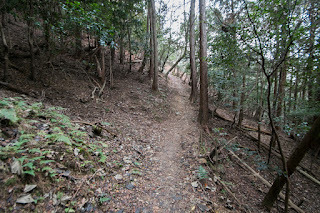 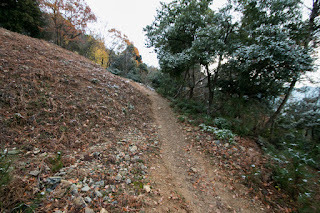 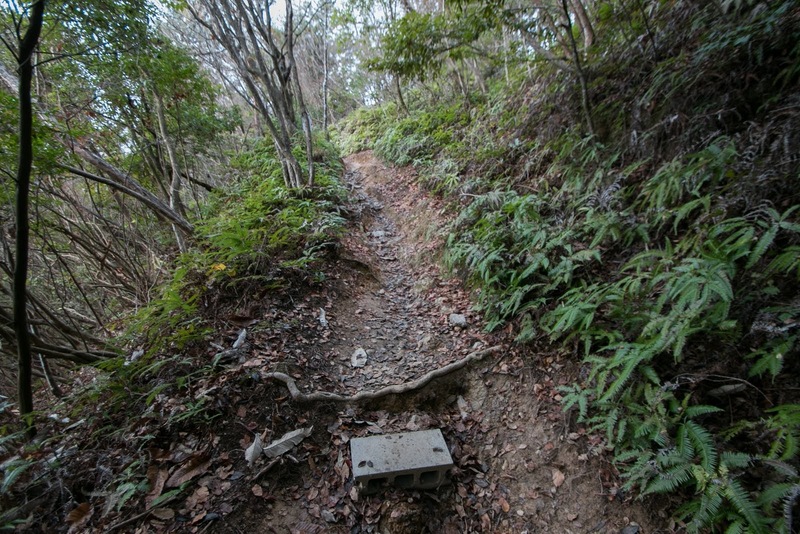 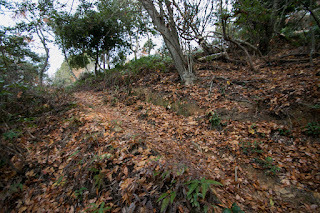 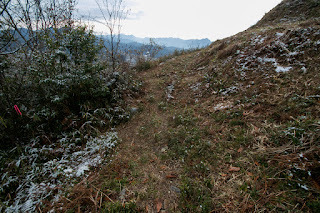 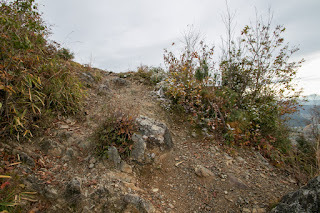 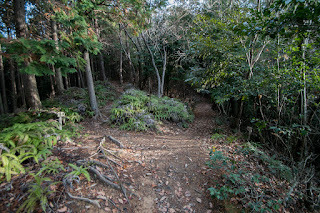 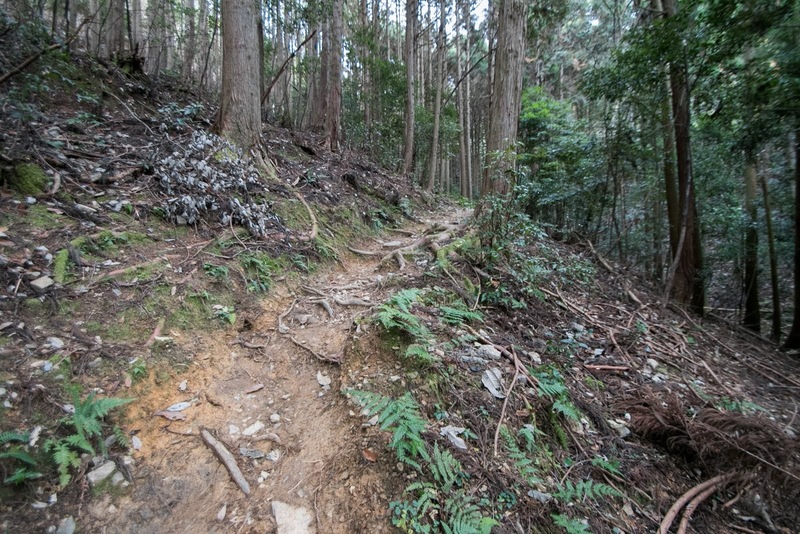 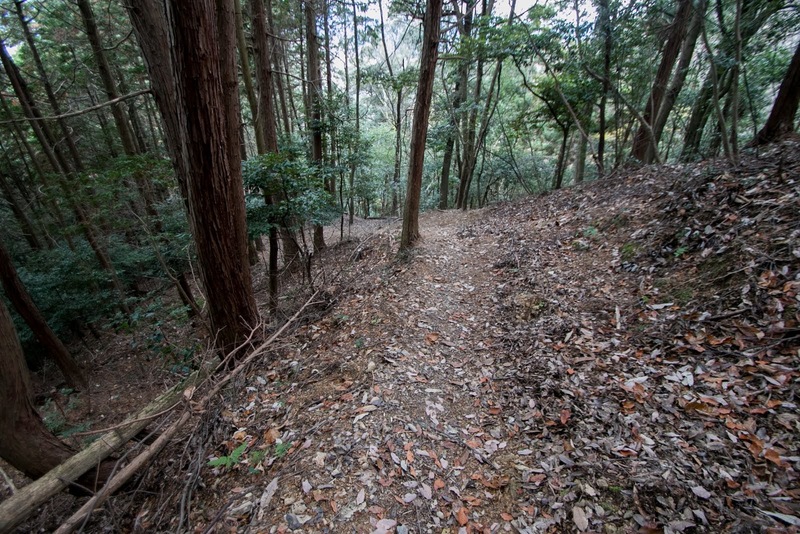 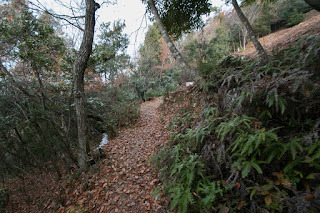 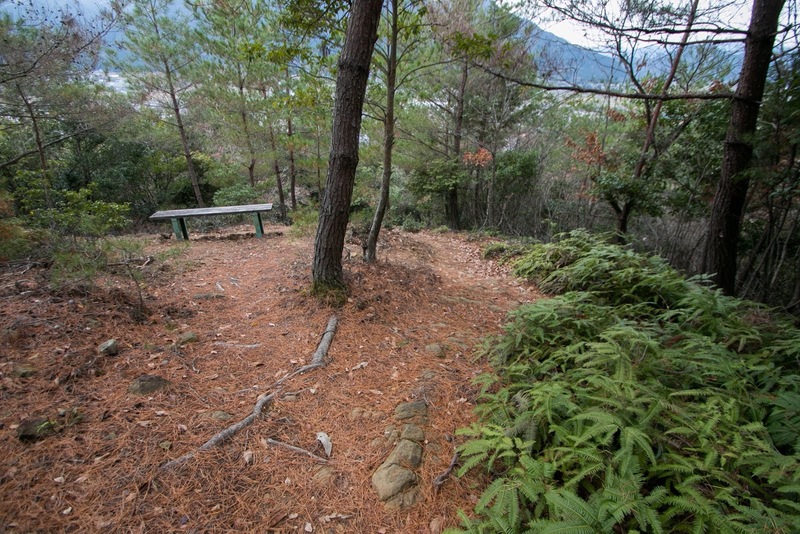 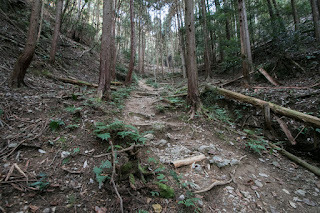 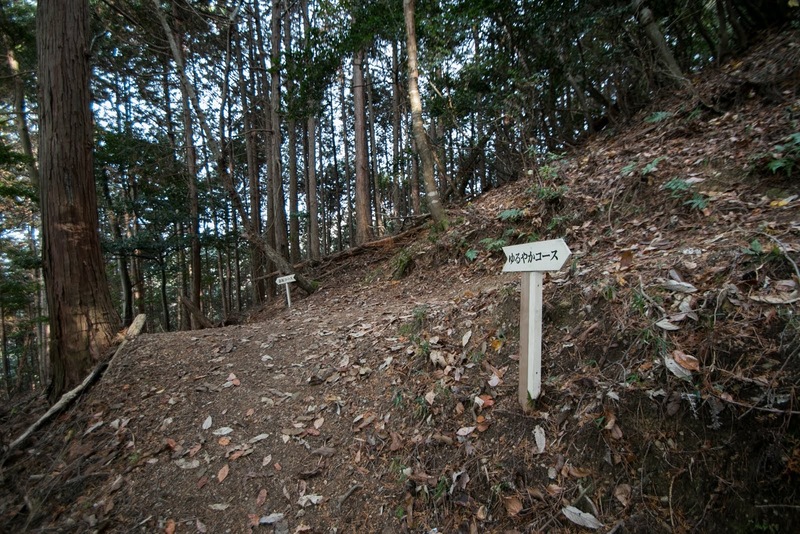 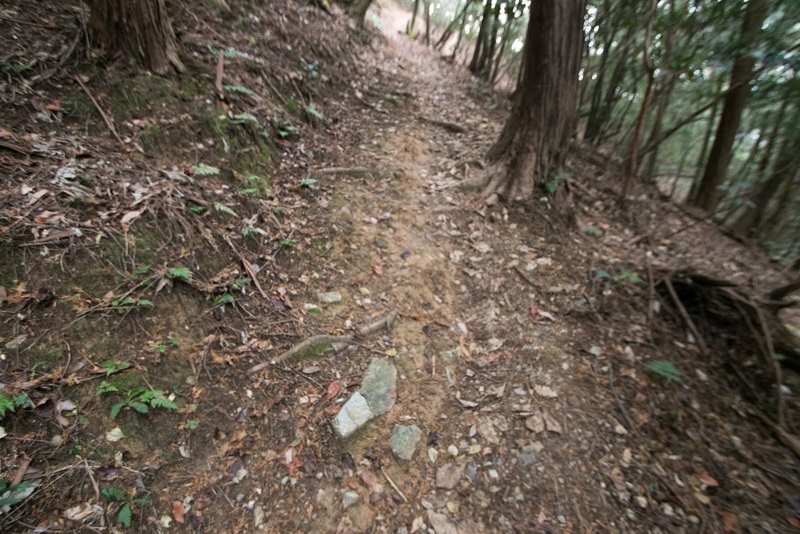 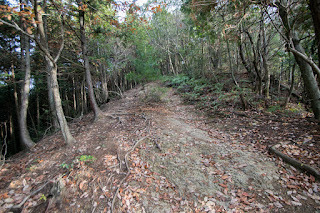 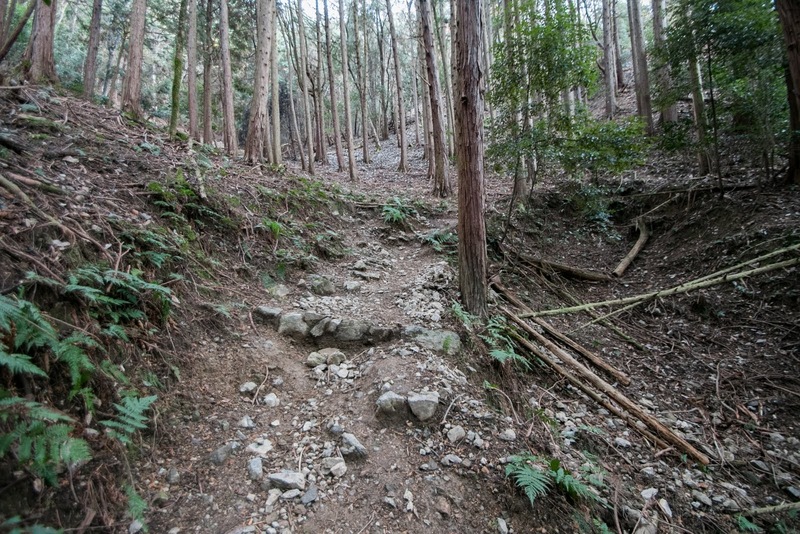 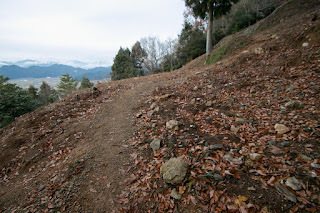 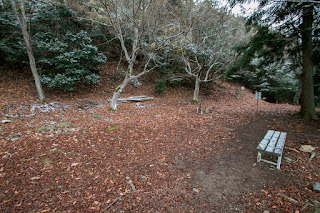 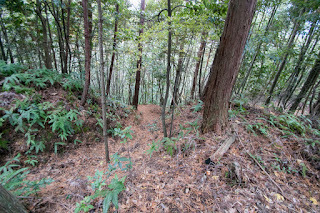 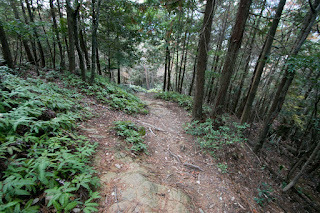 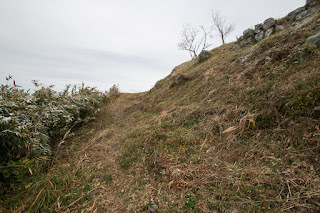 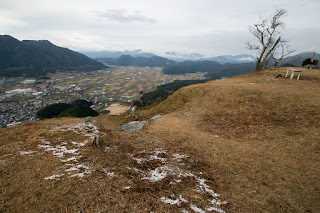 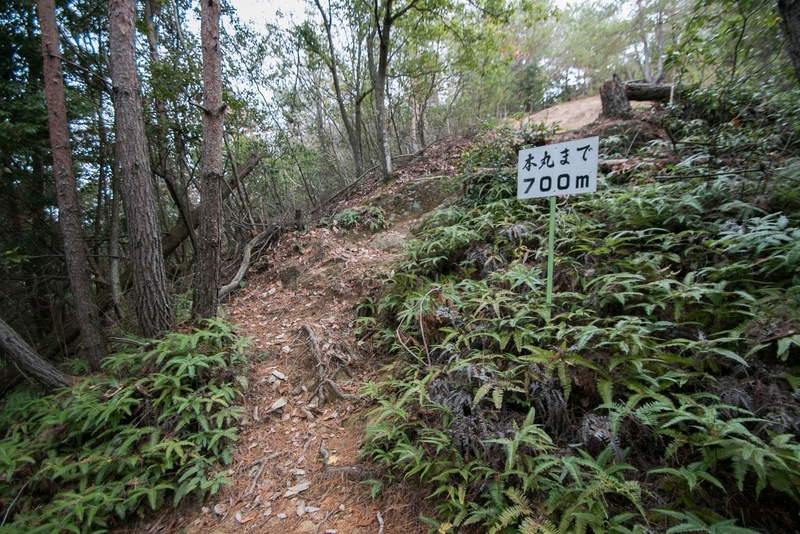 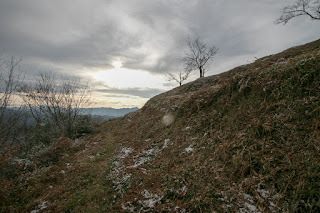 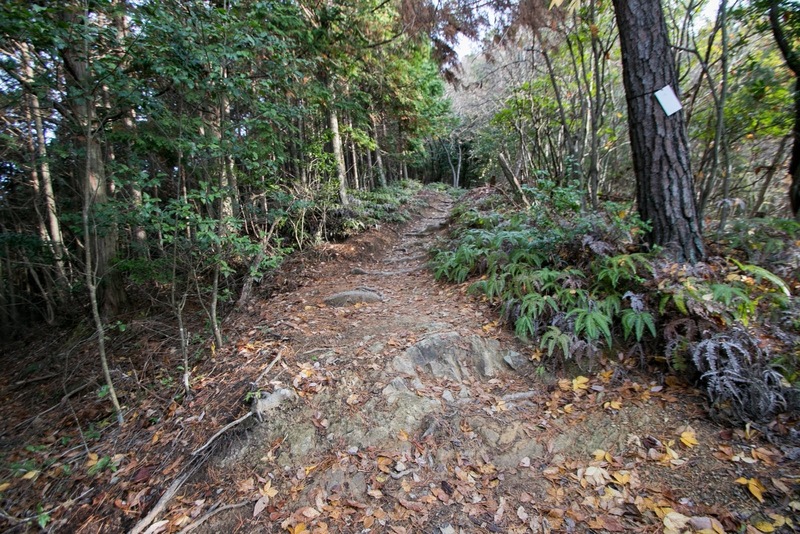 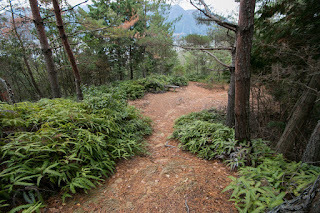 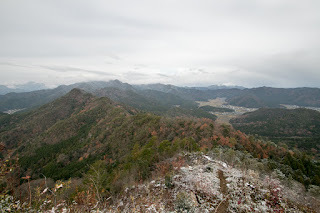 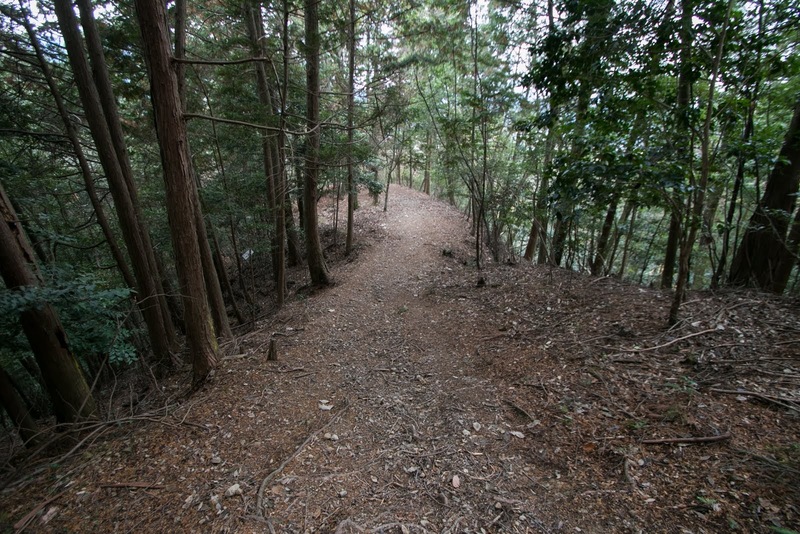 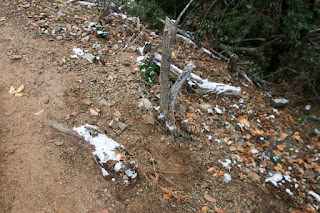 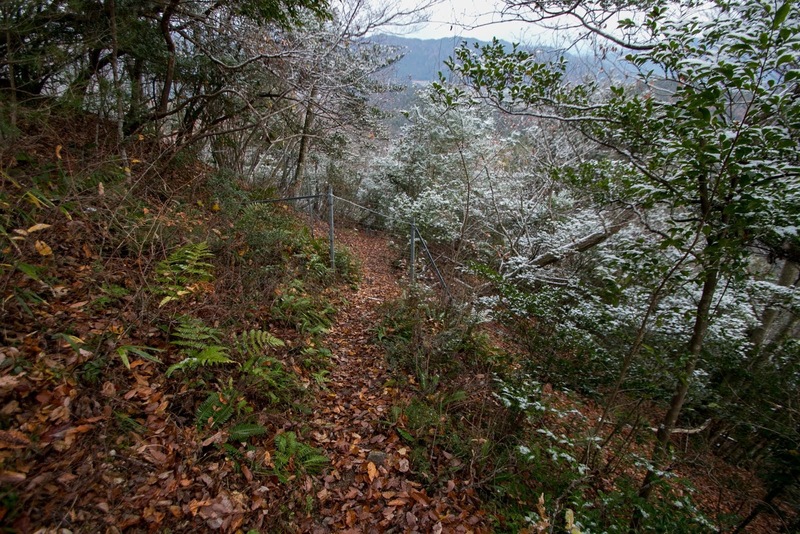 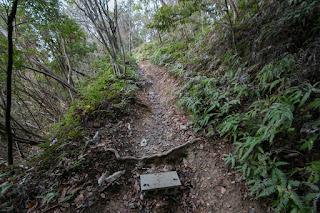 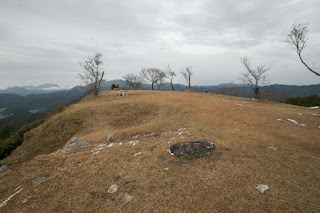 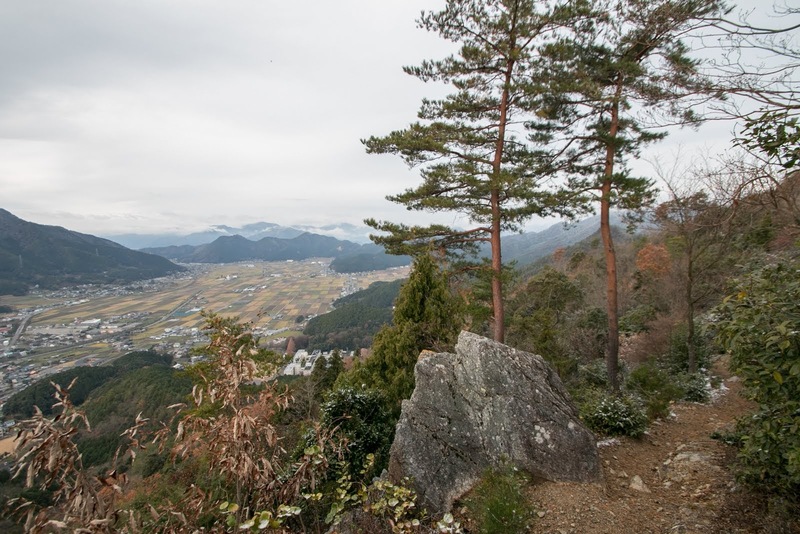 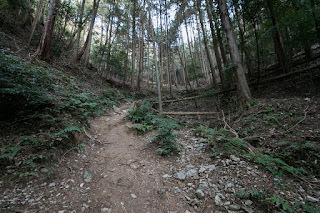 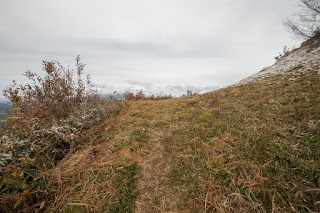 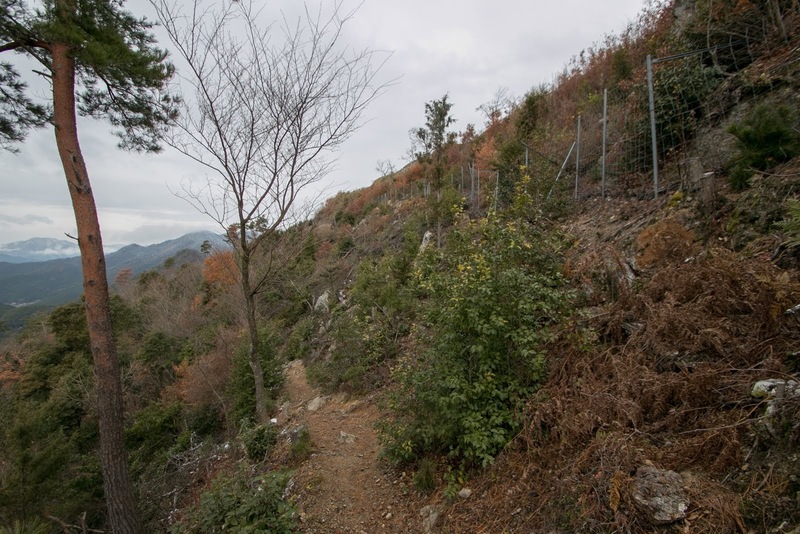 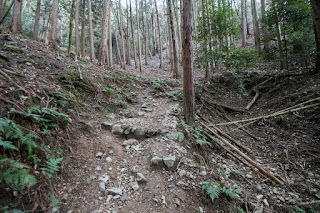 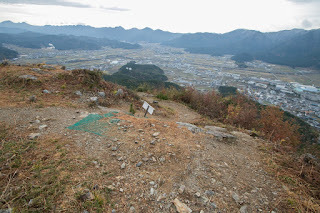 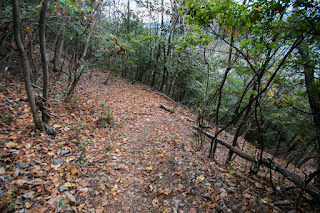 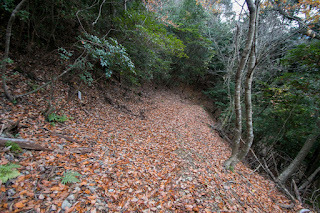 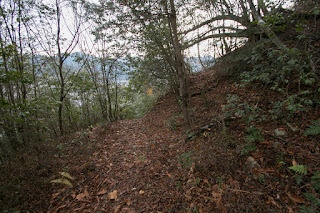 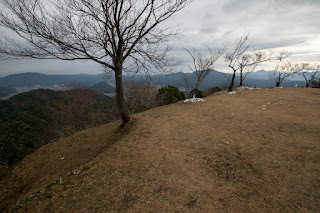 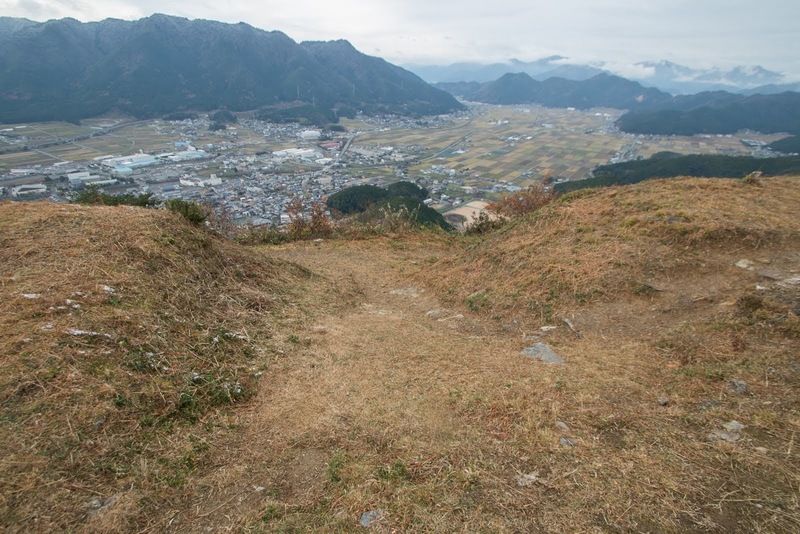 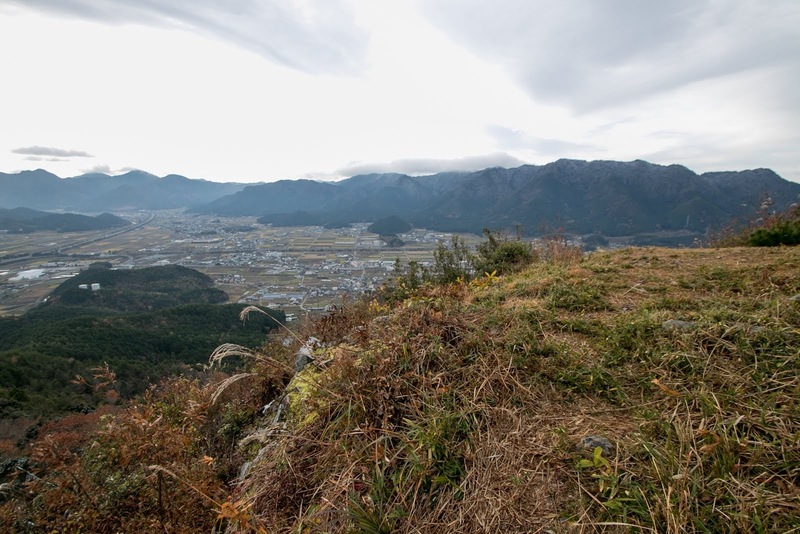 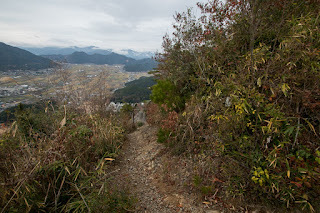 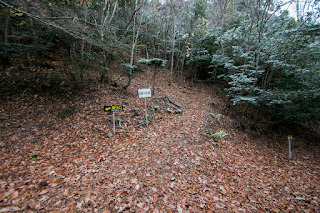 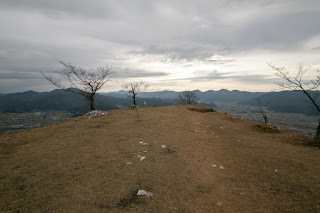 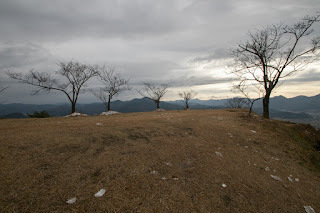 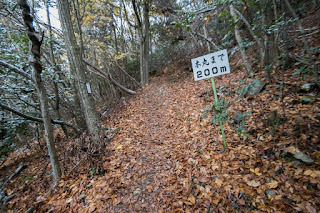 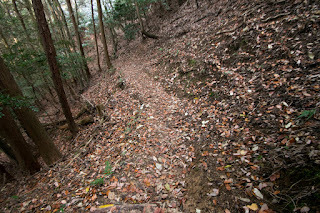 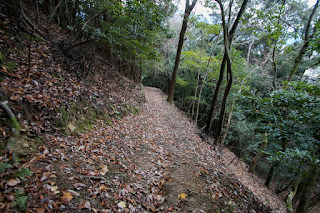 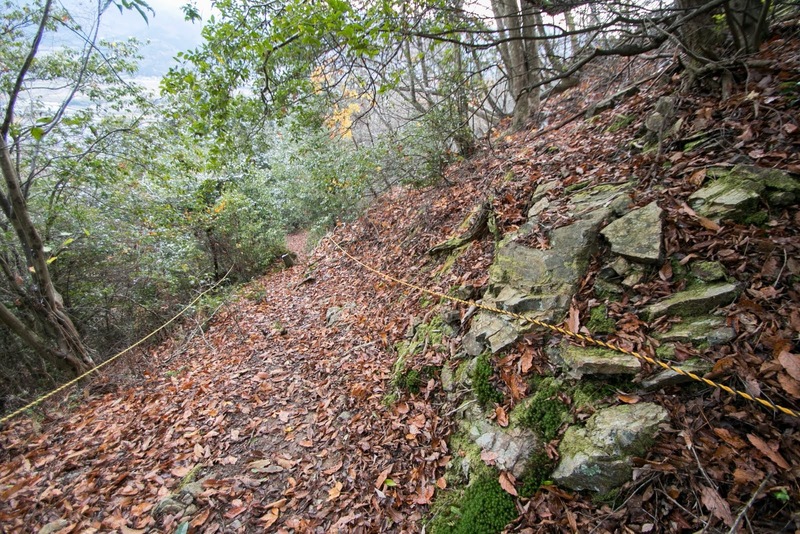 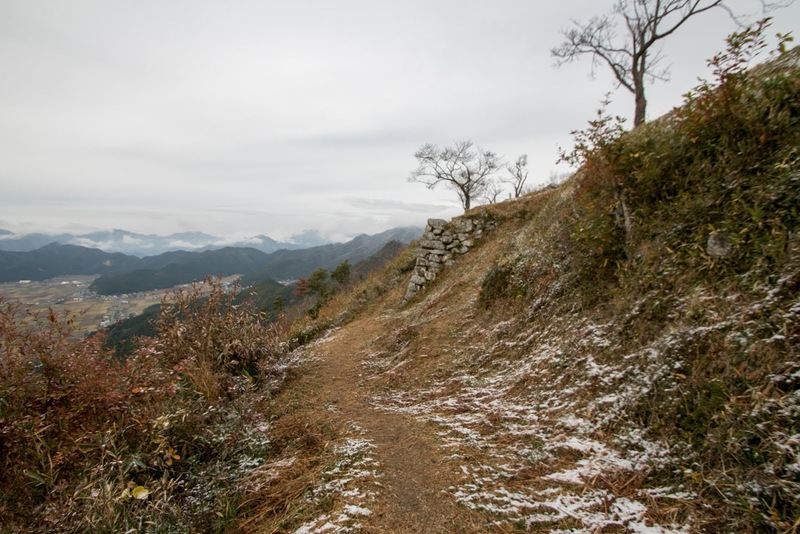 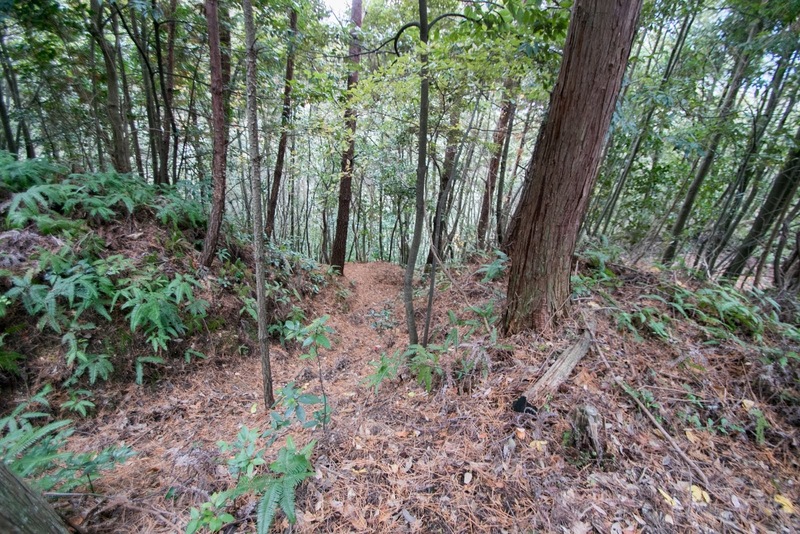 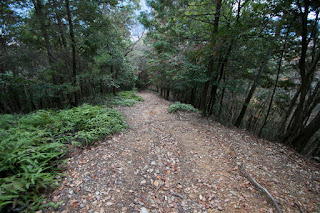 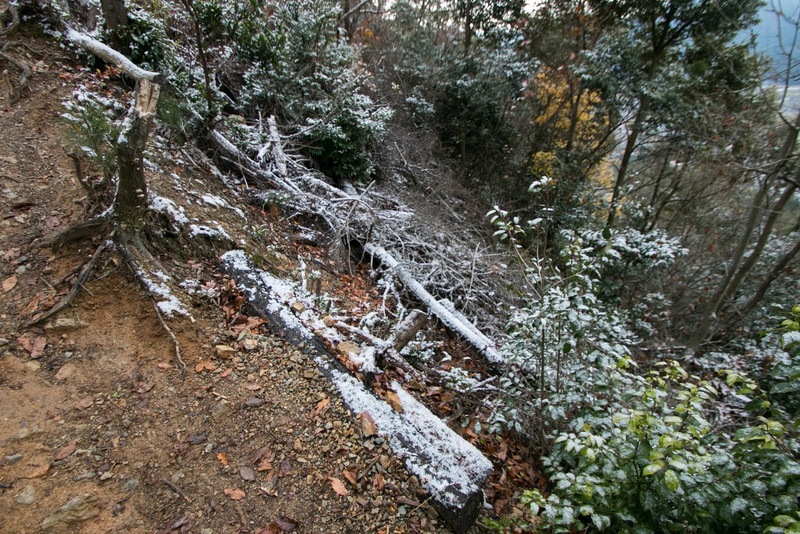 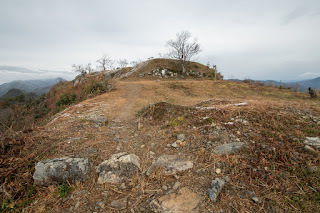 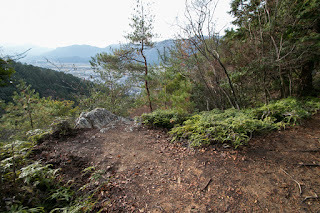 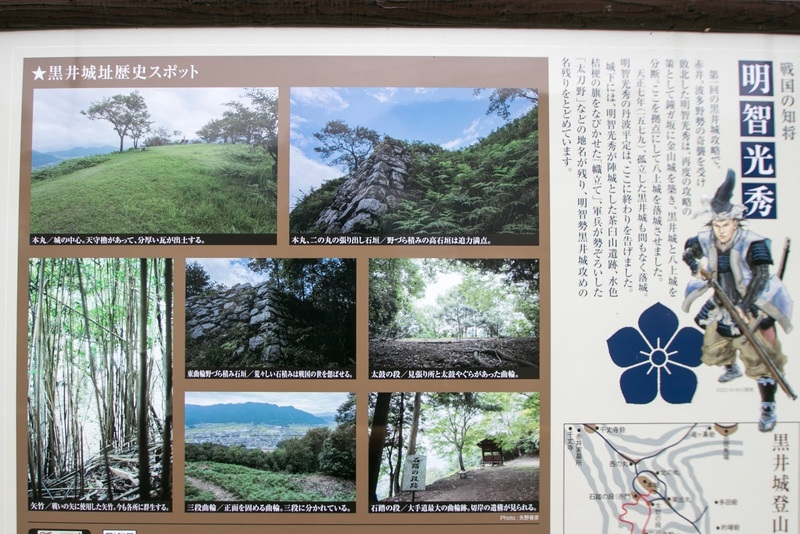 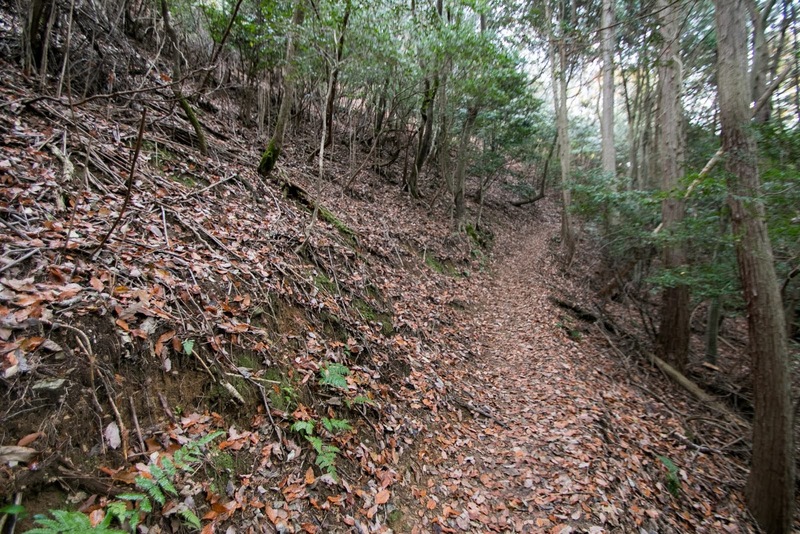 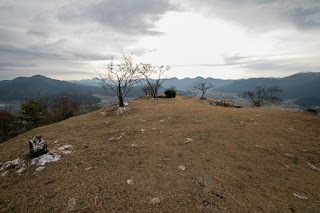 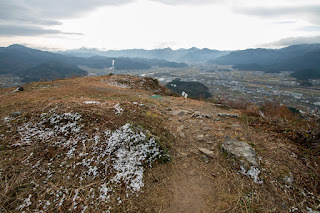 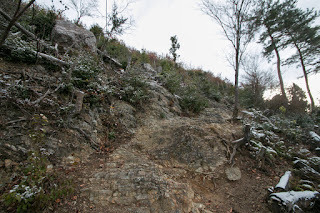 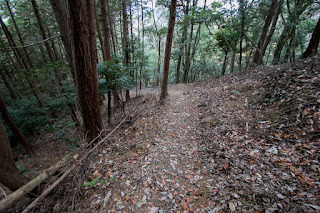 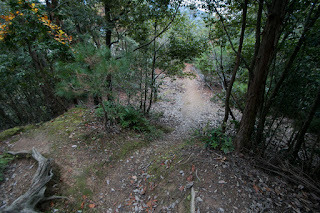 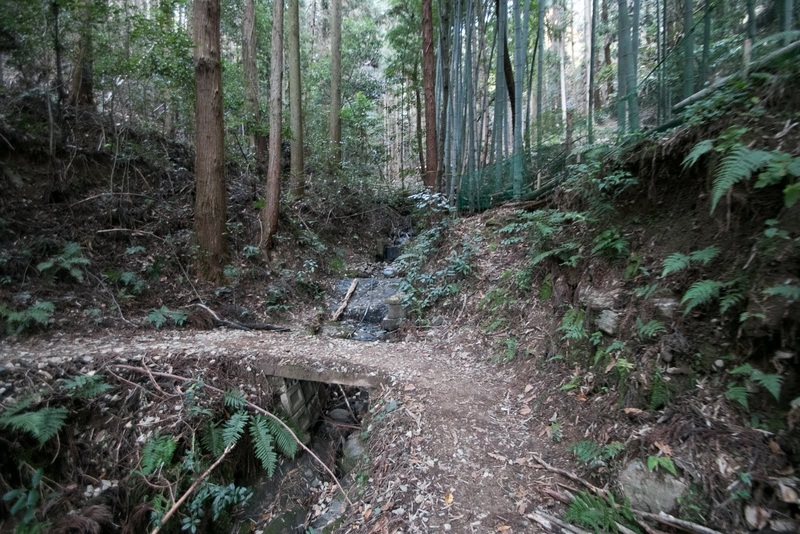 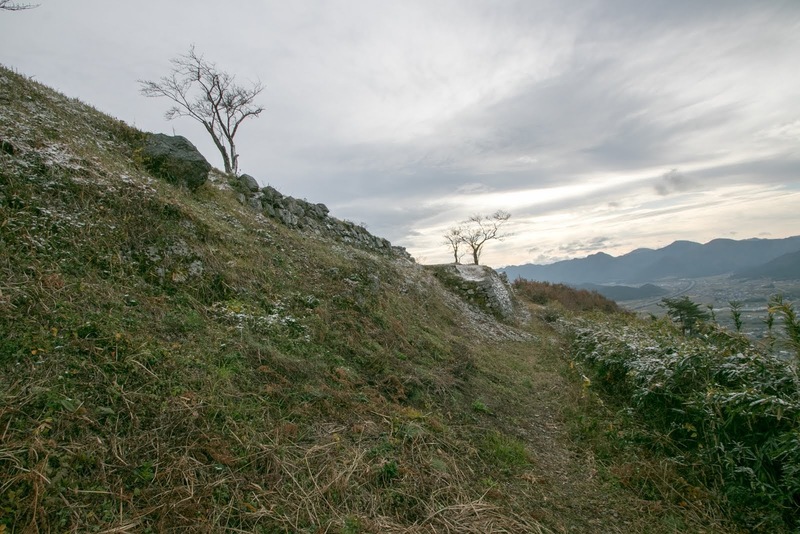 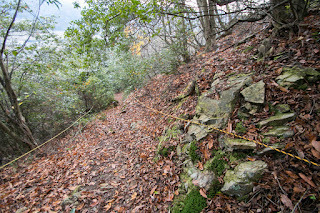 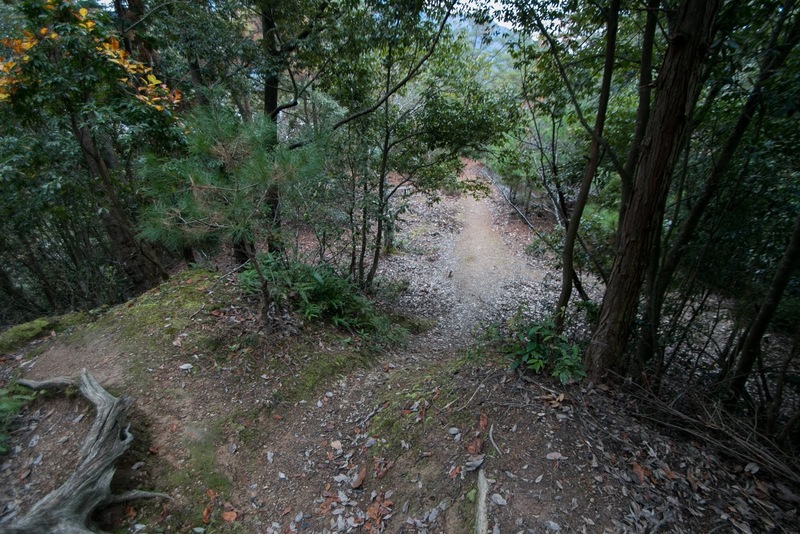 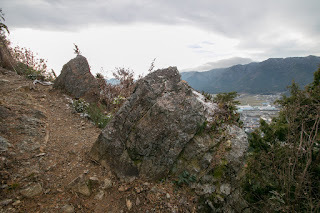 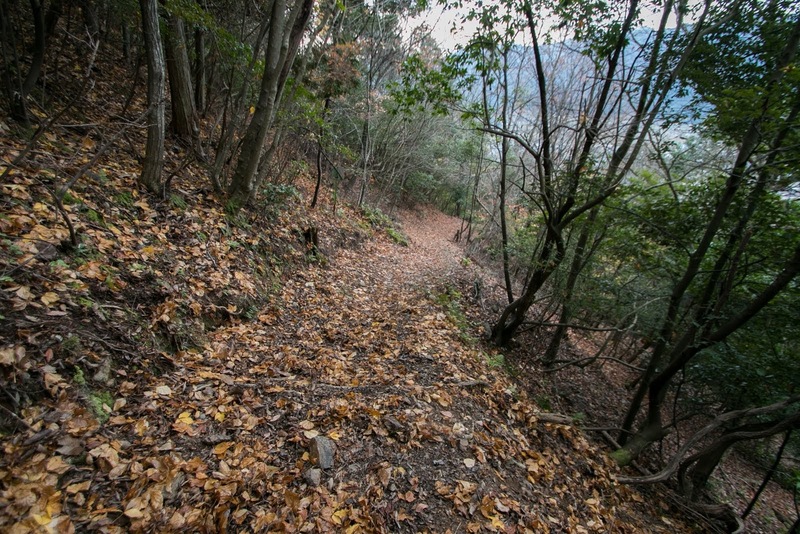 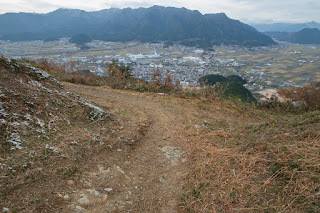 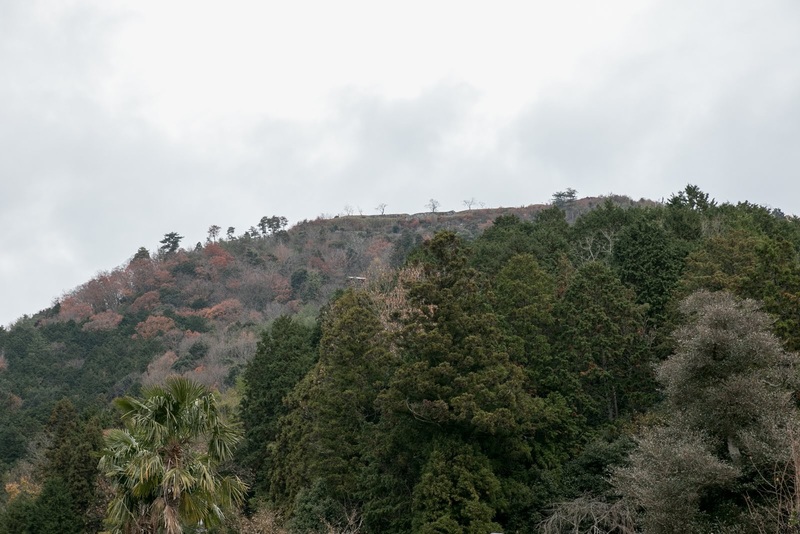 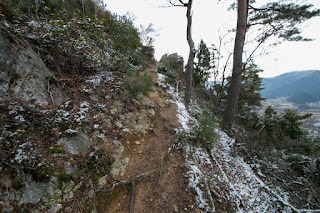 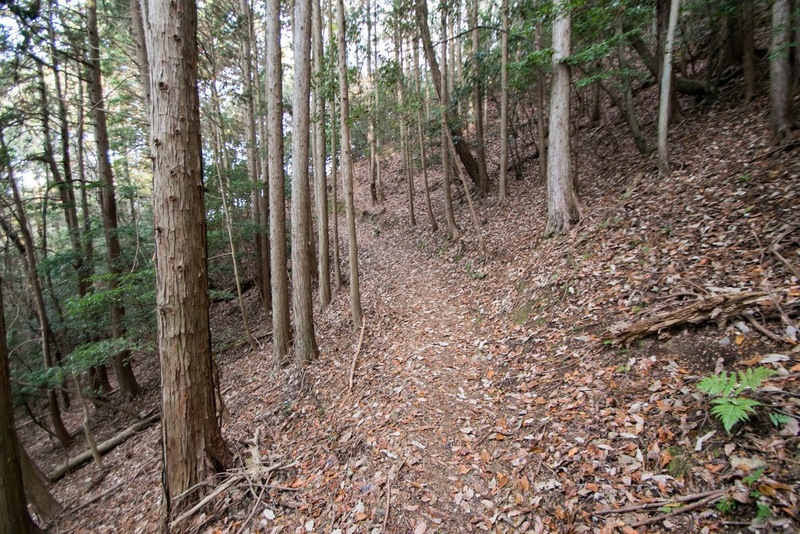 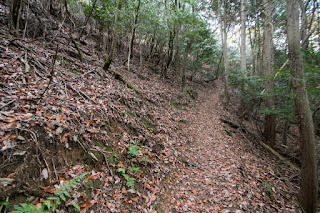 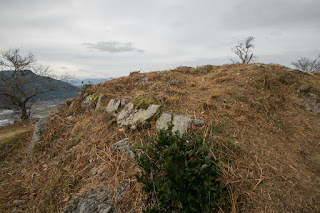 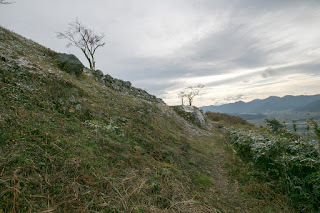 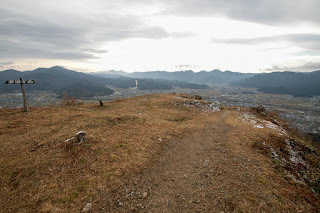 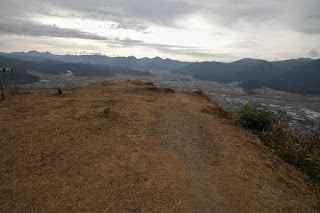 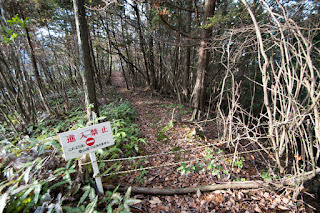 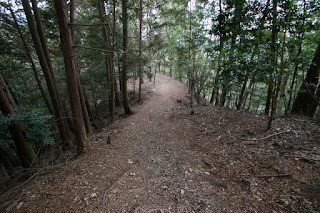 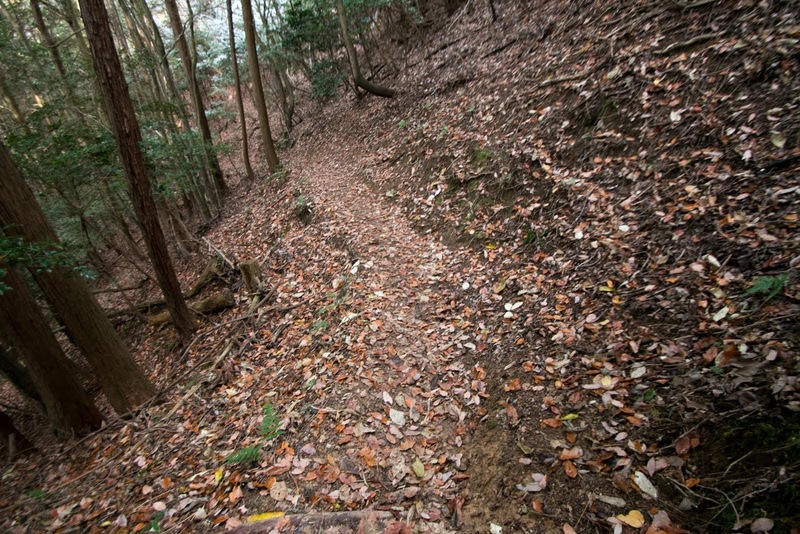 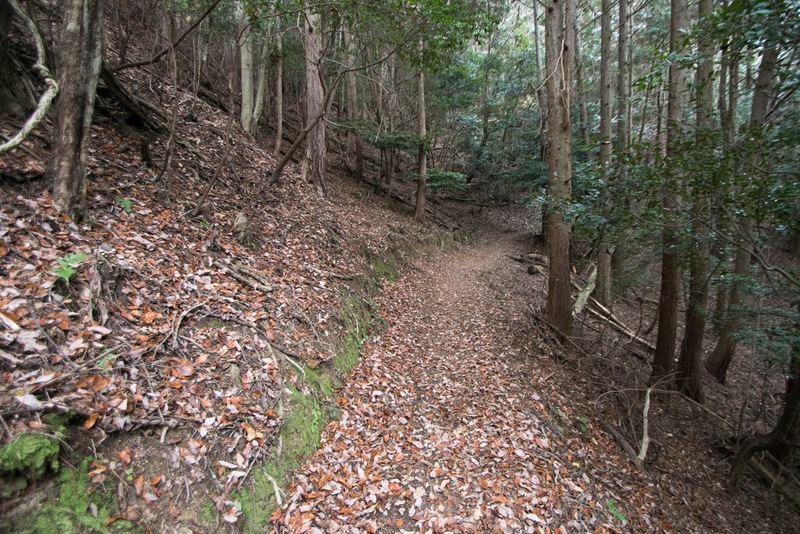 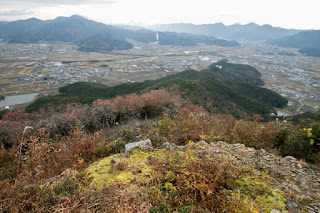 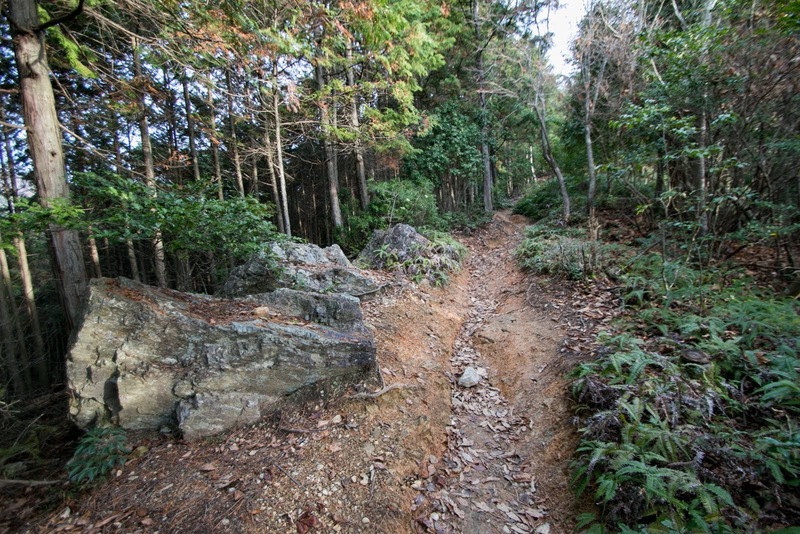 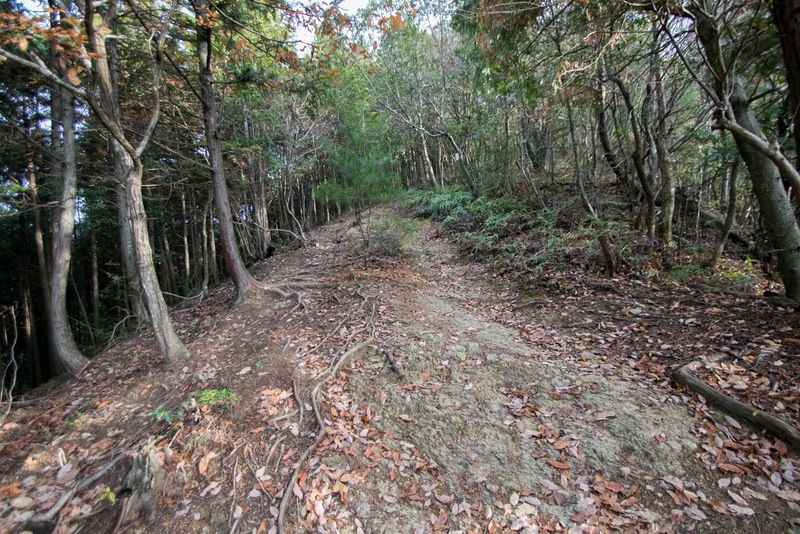 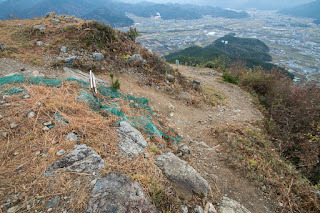 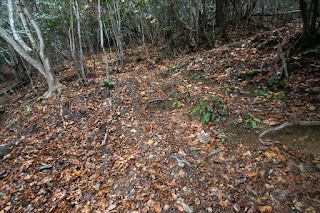 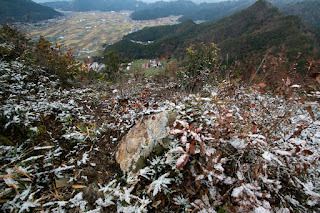 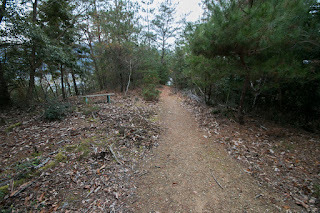 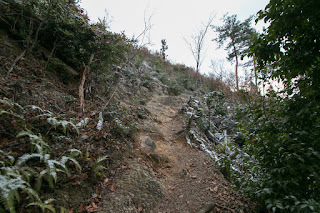 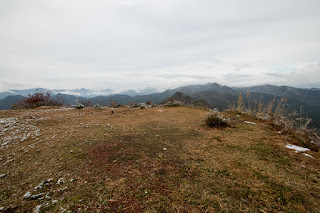 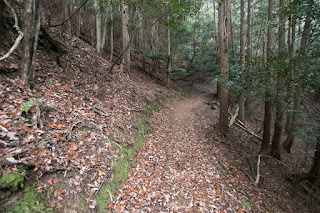 At the halfway of south side of mountain, there is several layer of terraces named Ishigakidan, where is the connecting point from hillside to hilltop and horizontal route around the mountain. 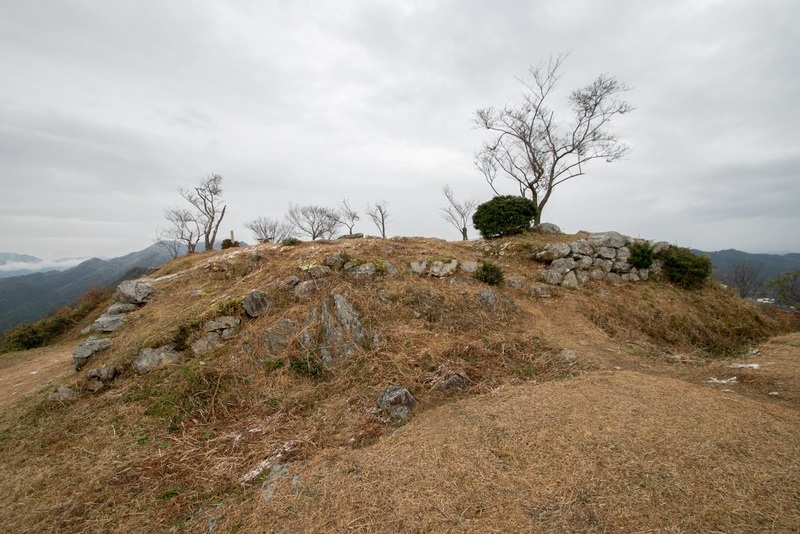 At the east of Ishigakidan there is a small terrace named Taikodan, and at the east, north and west side there also terraces at same height. Especially areas at western side exceeds 200 meter long and seems as if another castle. 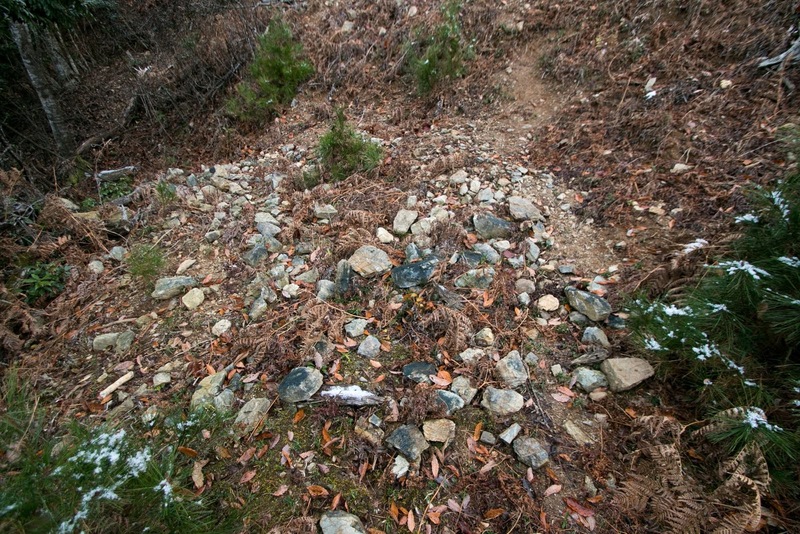 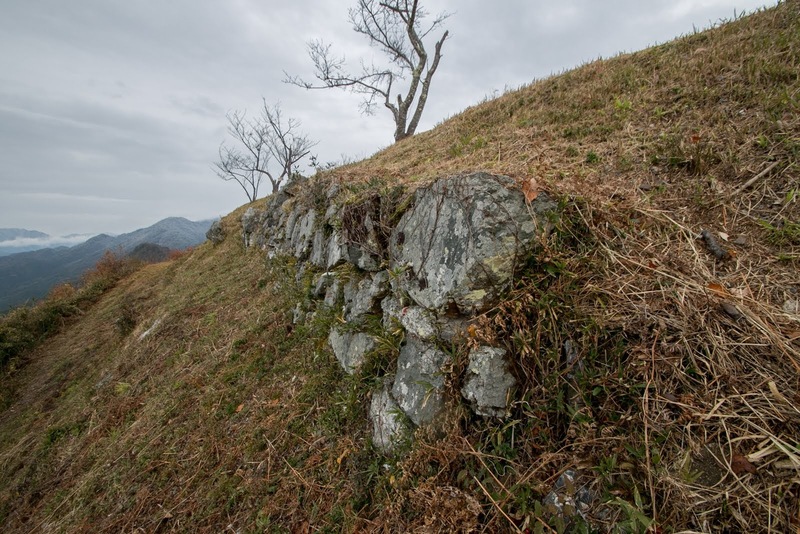 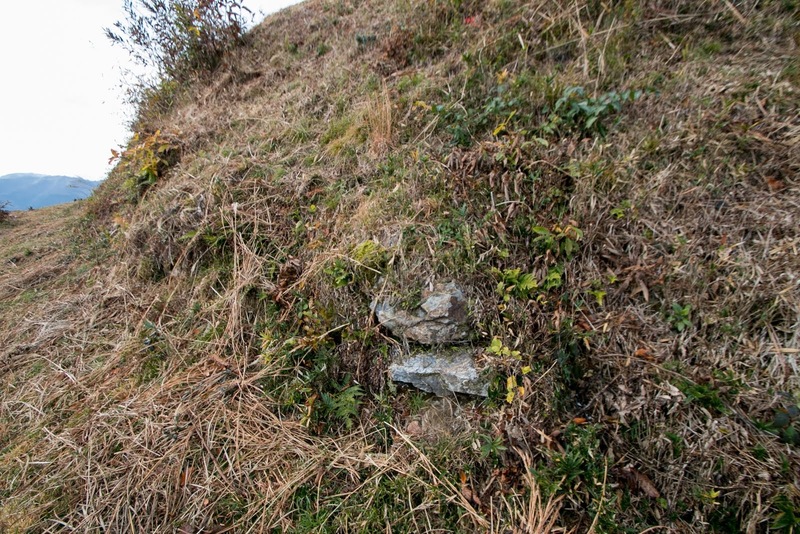 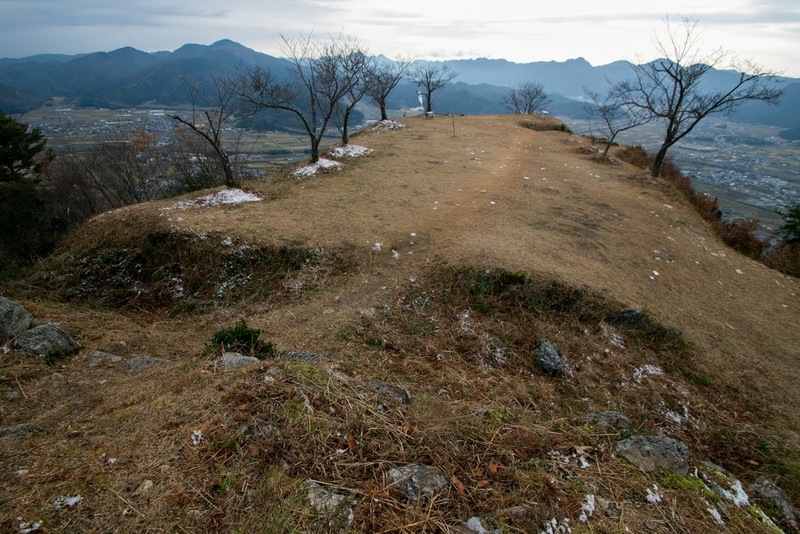 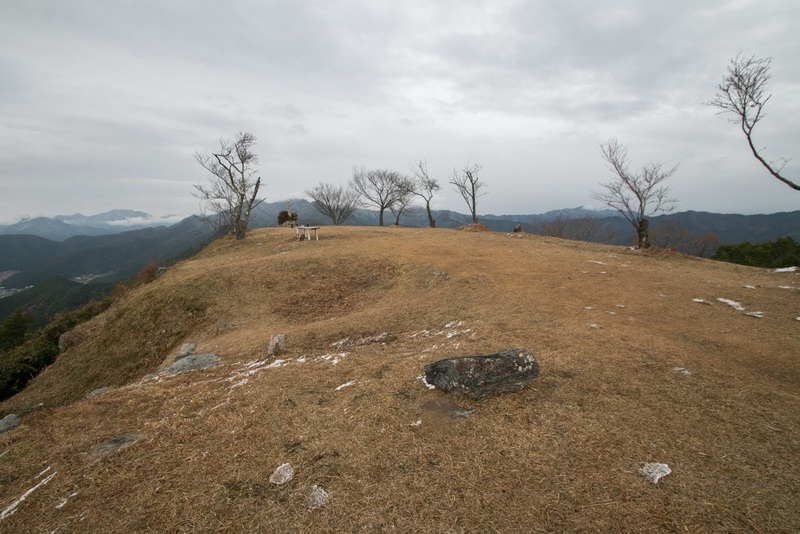 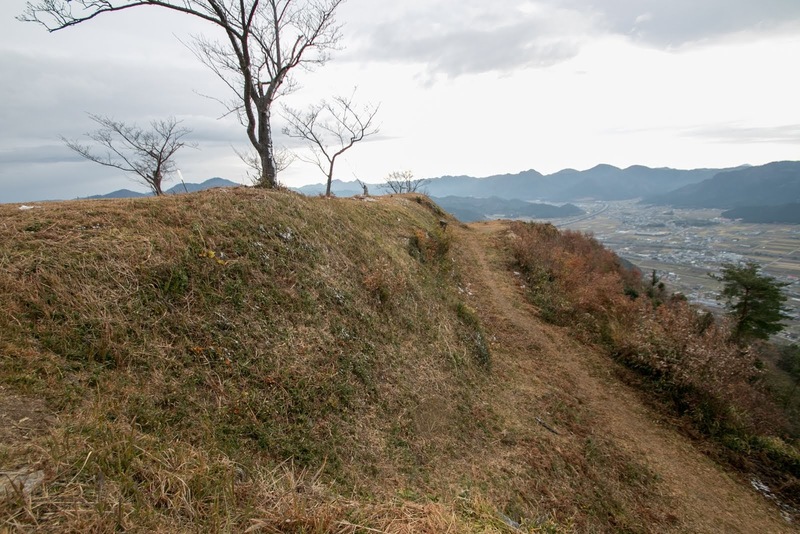 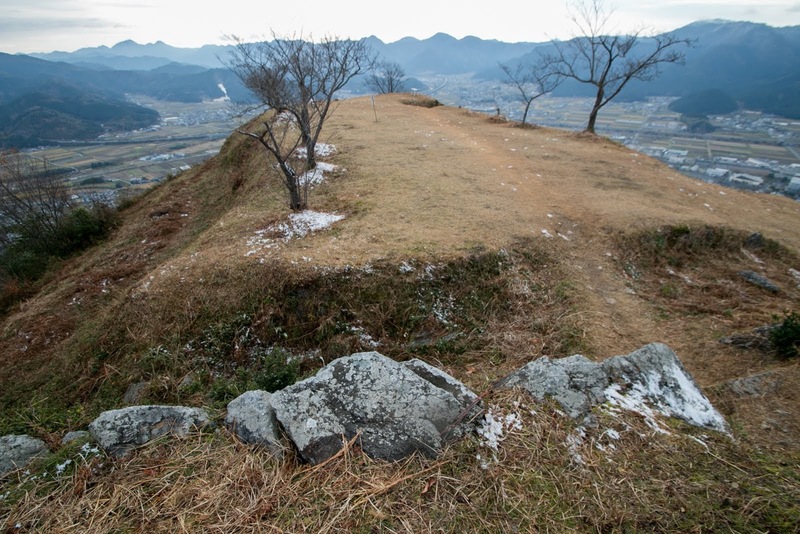 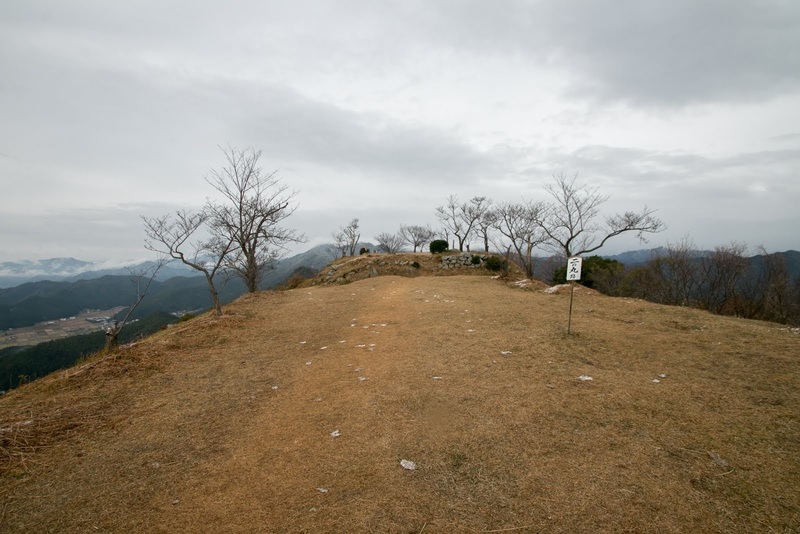 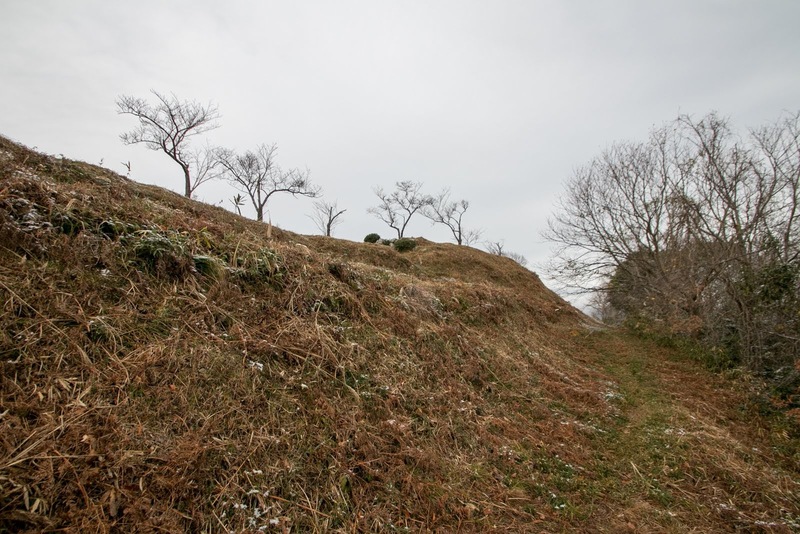 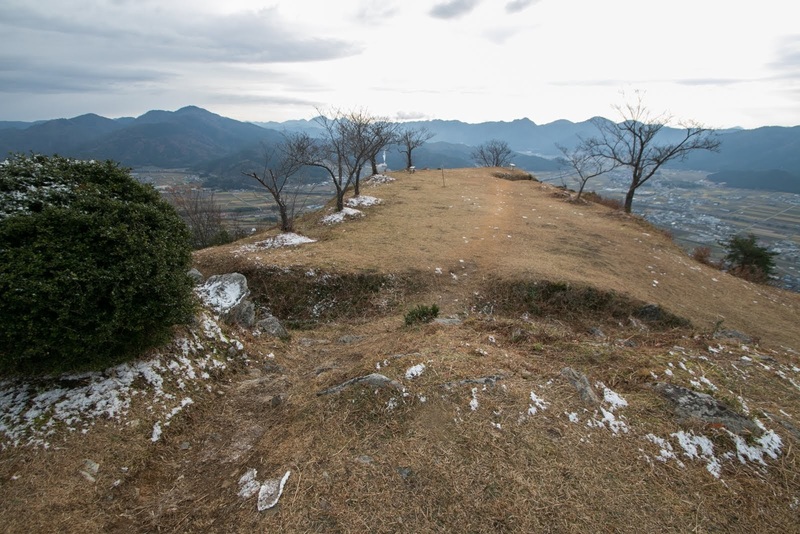 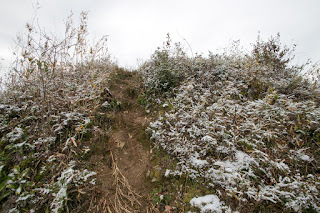 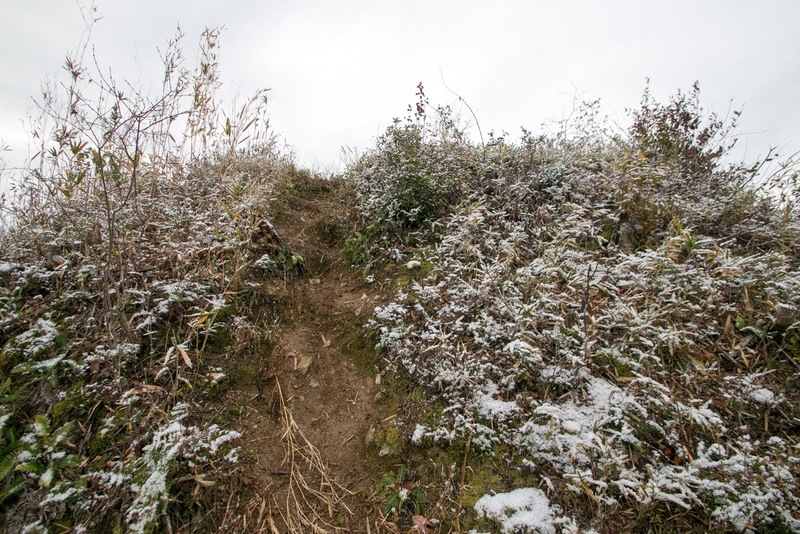 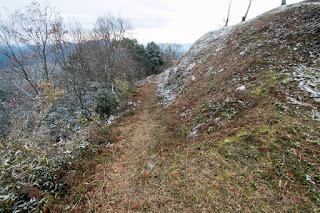 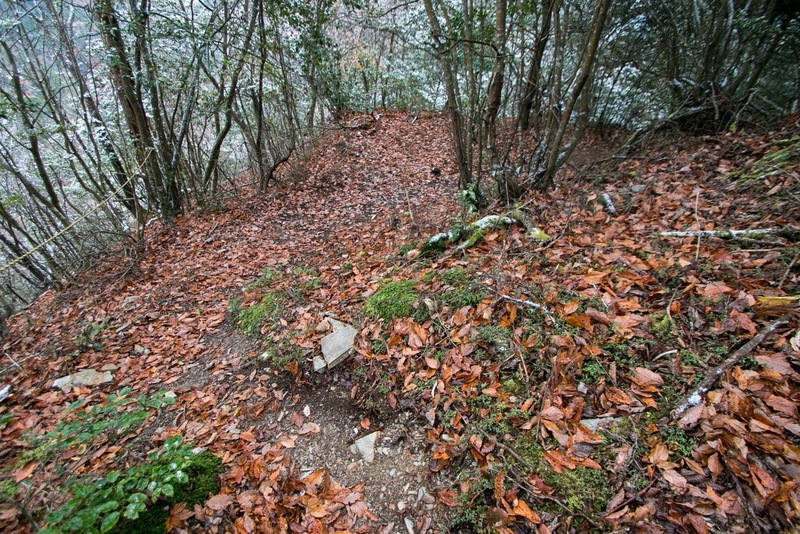 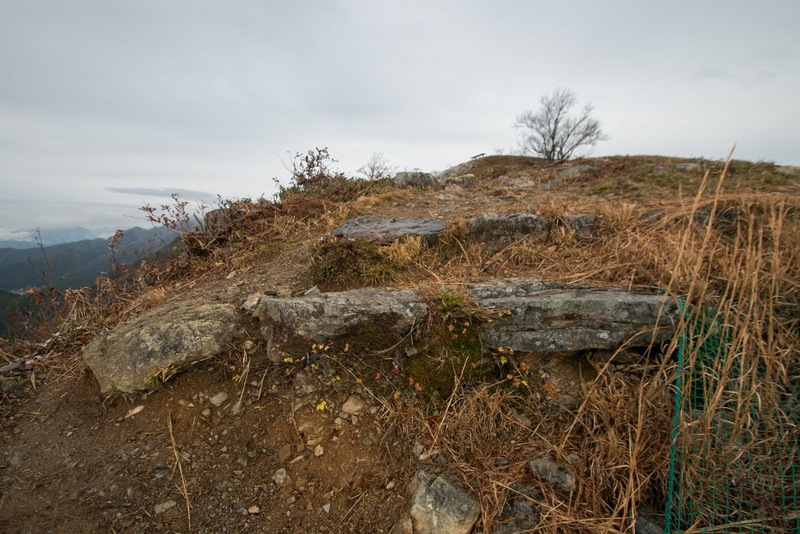 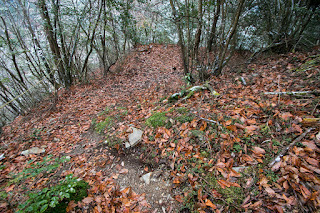 Between hillside and Ishidakidan area, along with the steep climbing route, several terraces were built utilizing ridge spread toward south. 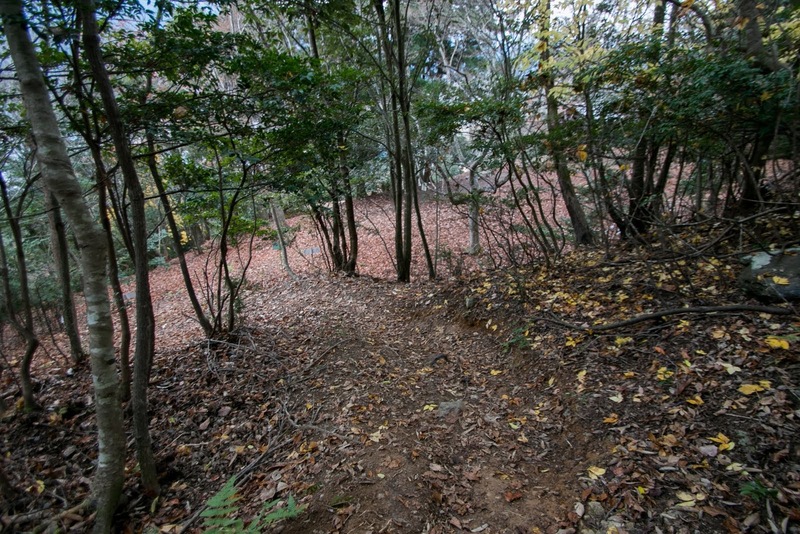 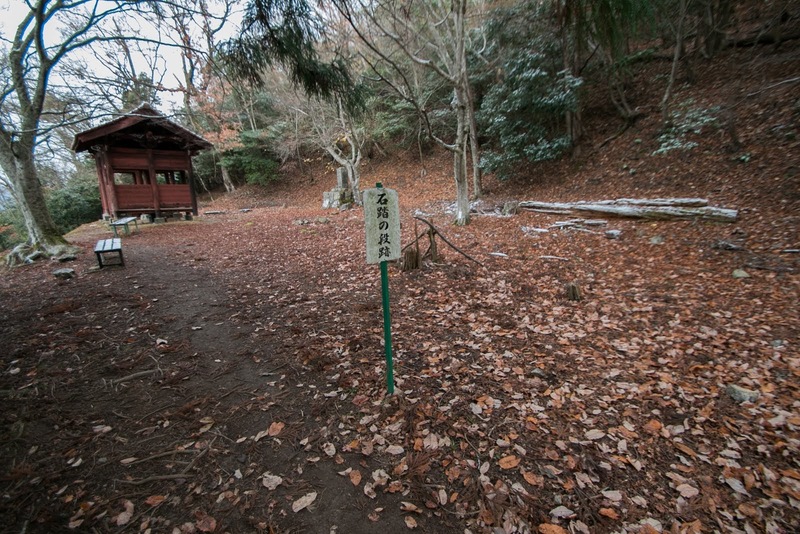 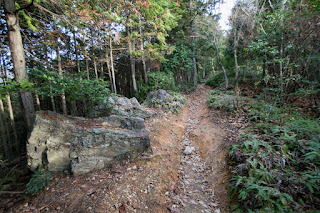 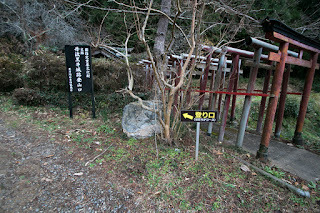 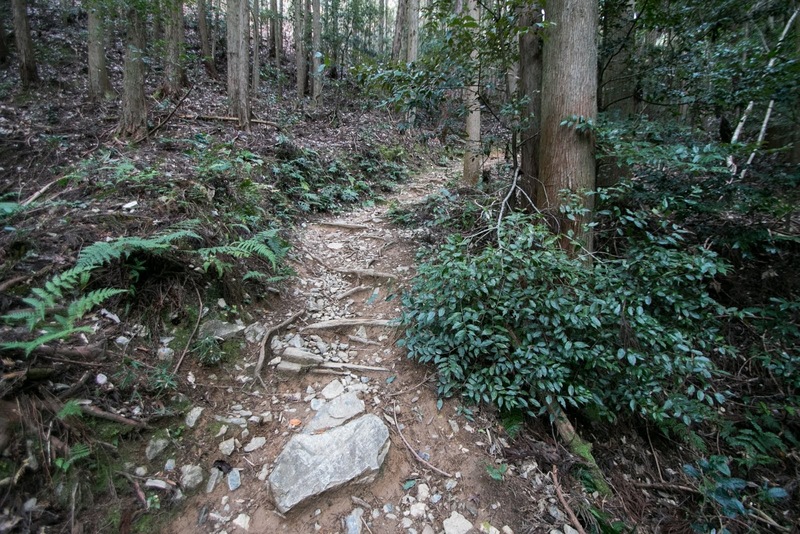 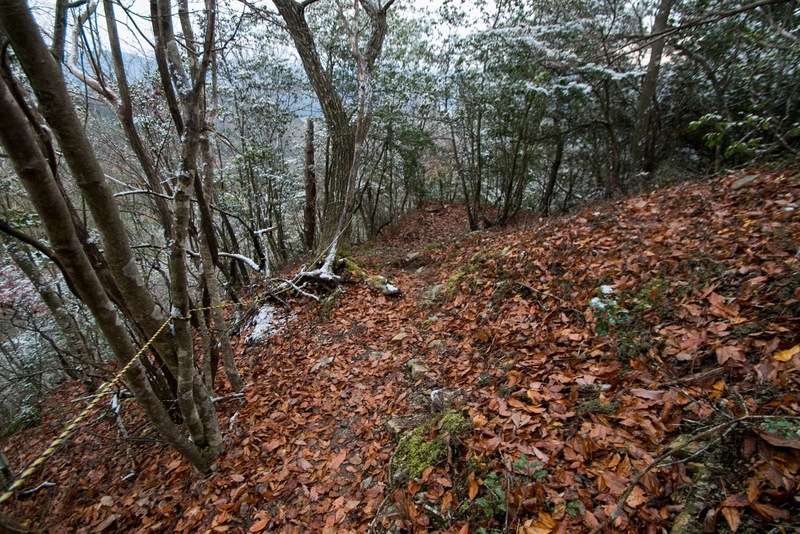 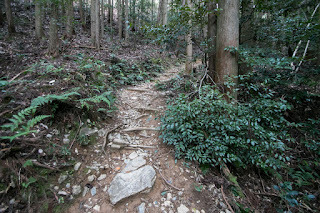 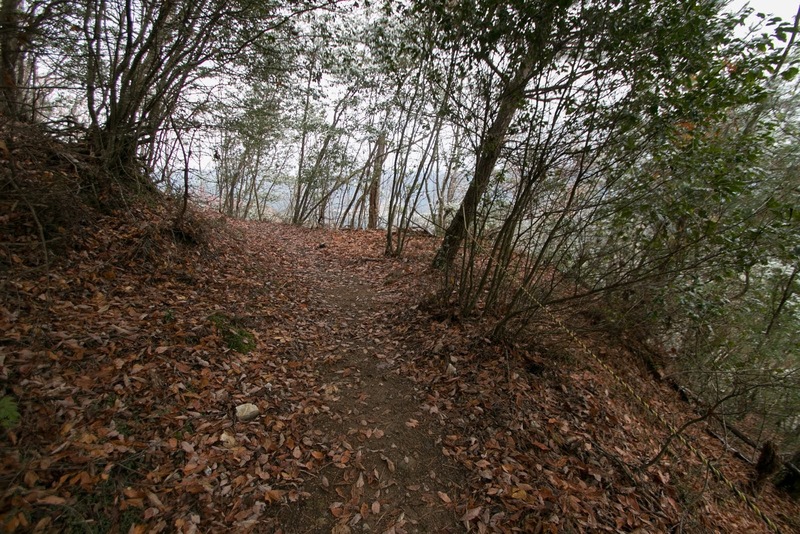 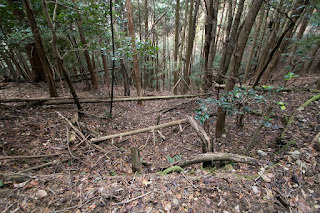 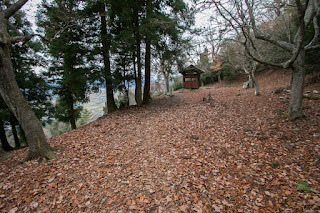 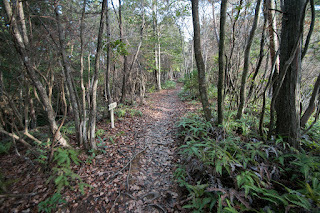 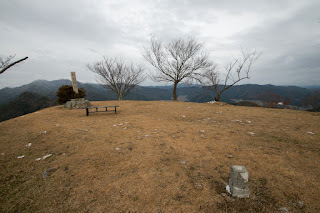 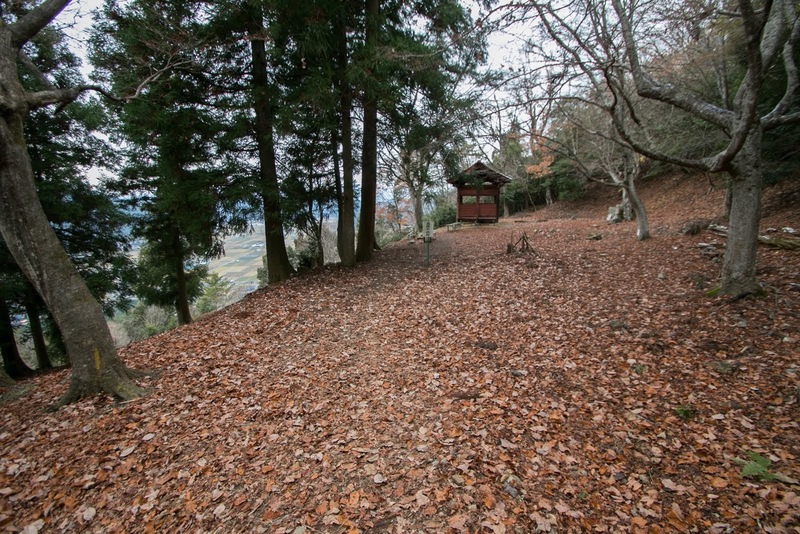 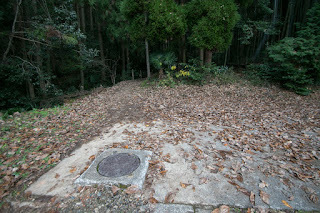 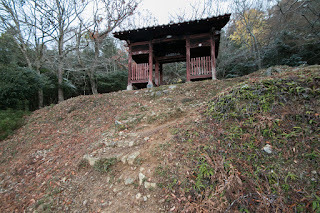 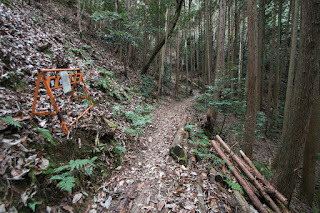 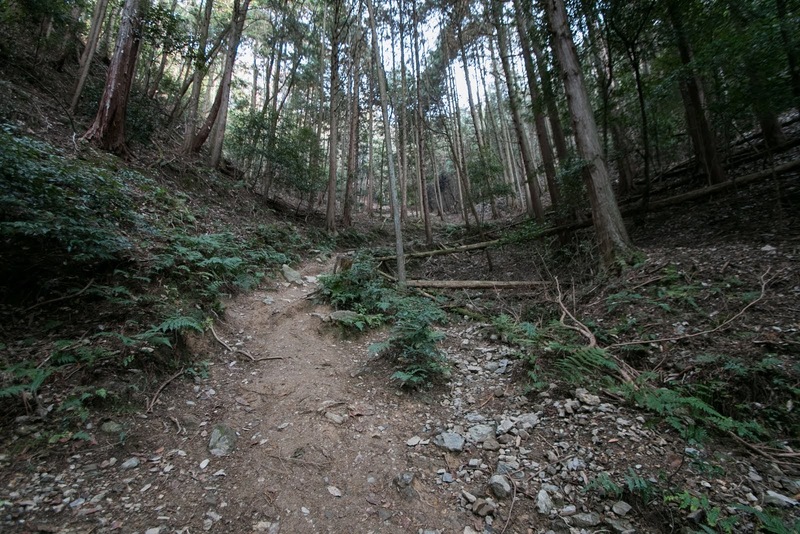 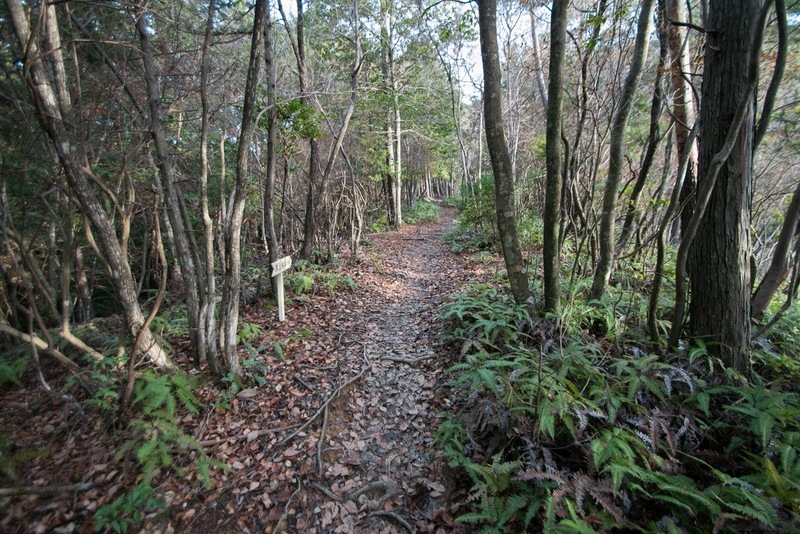 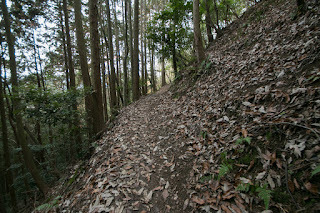 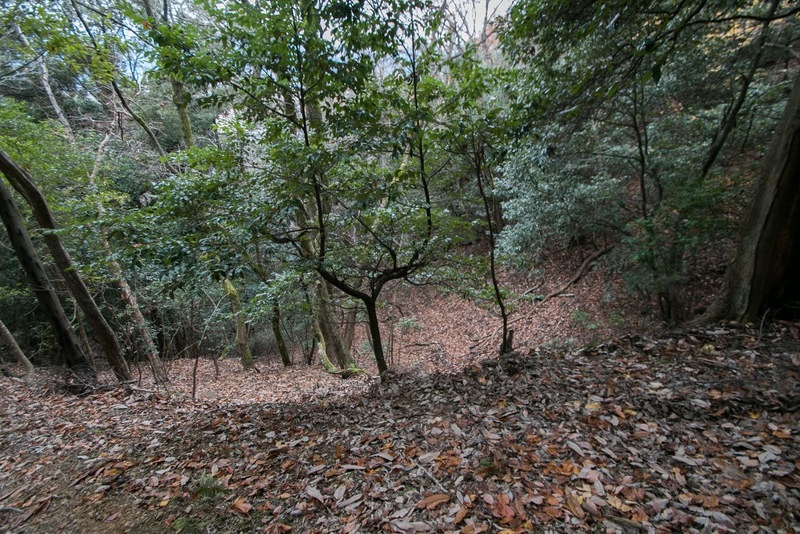 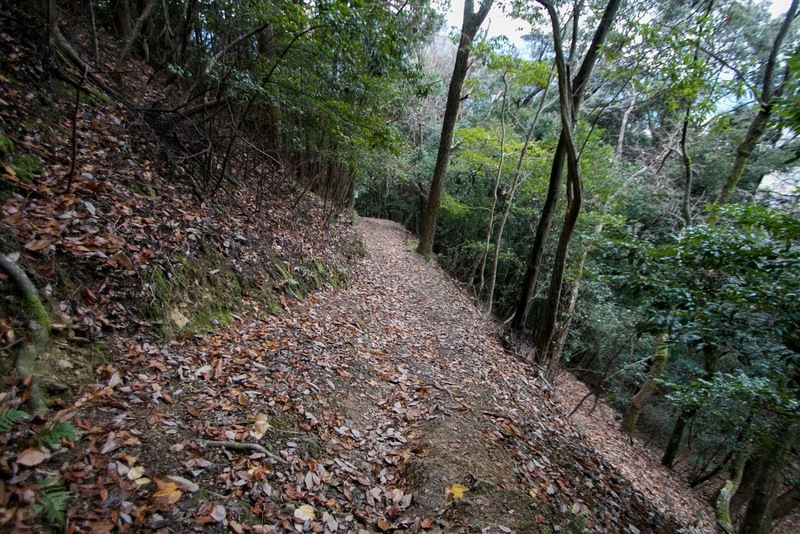 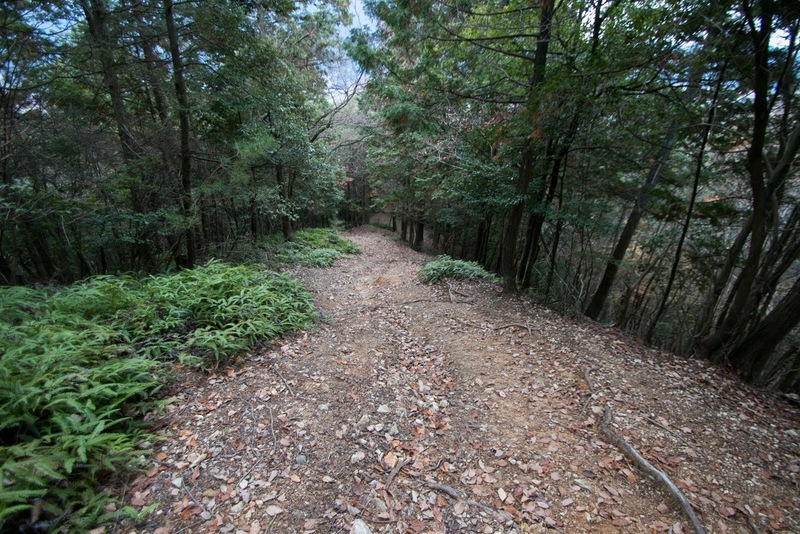 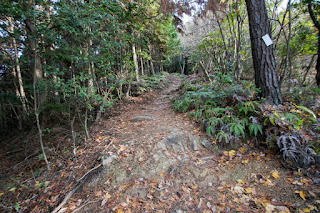 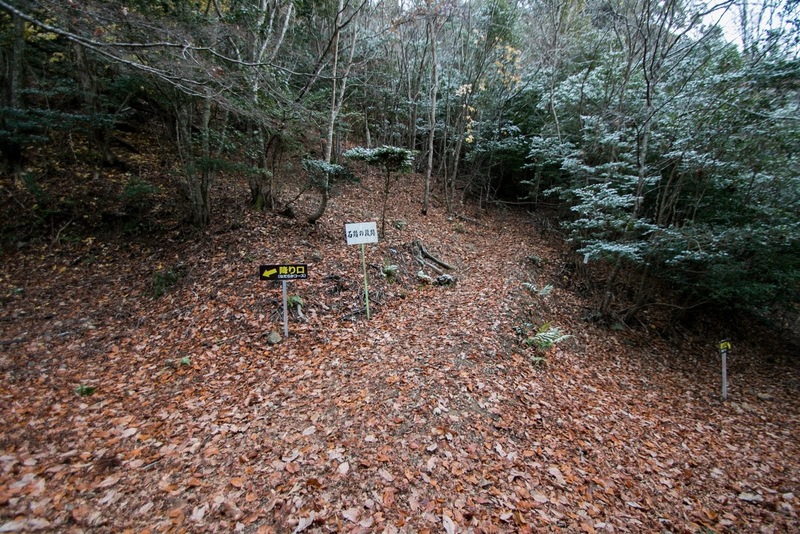 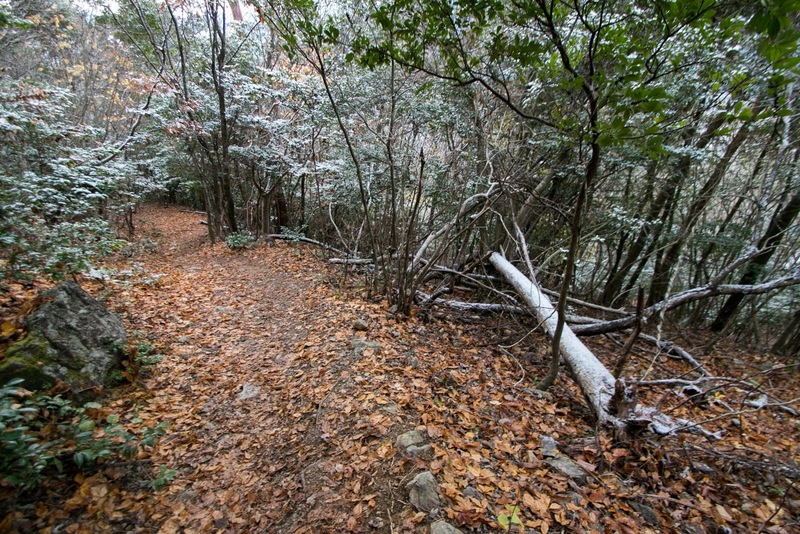 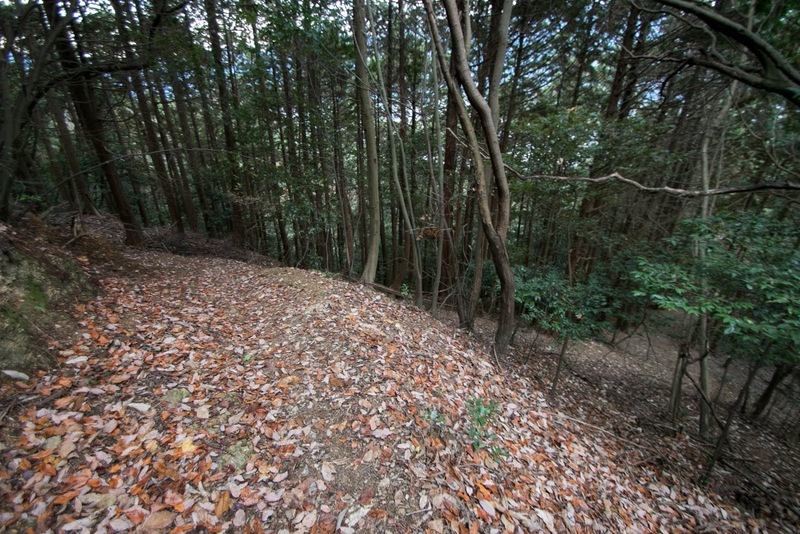 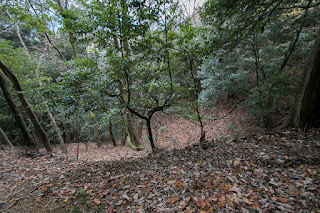 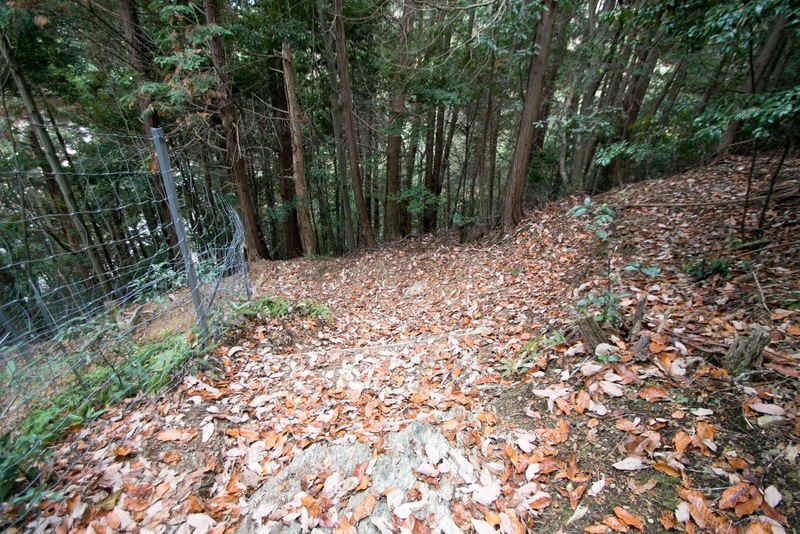 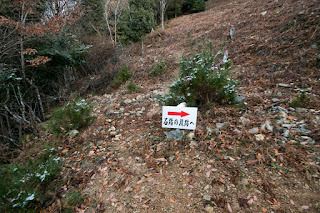 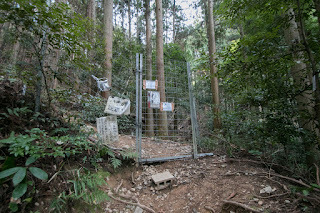 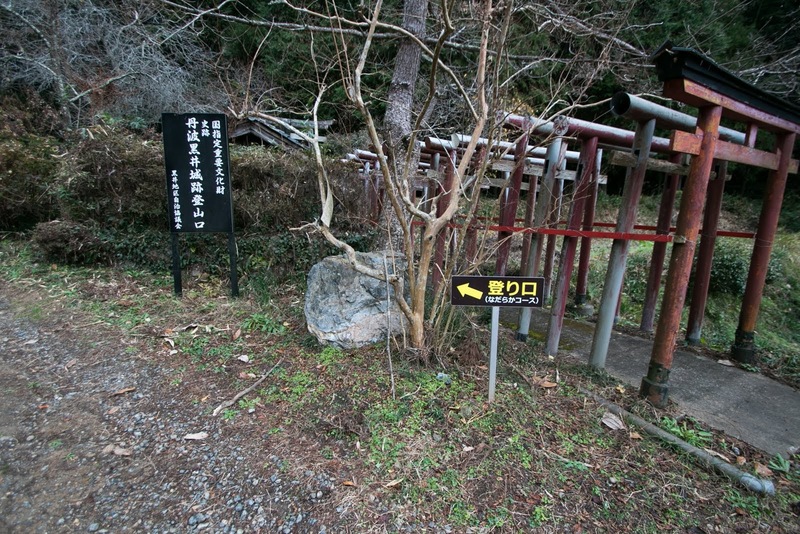 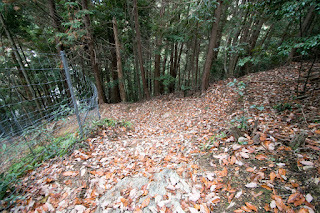 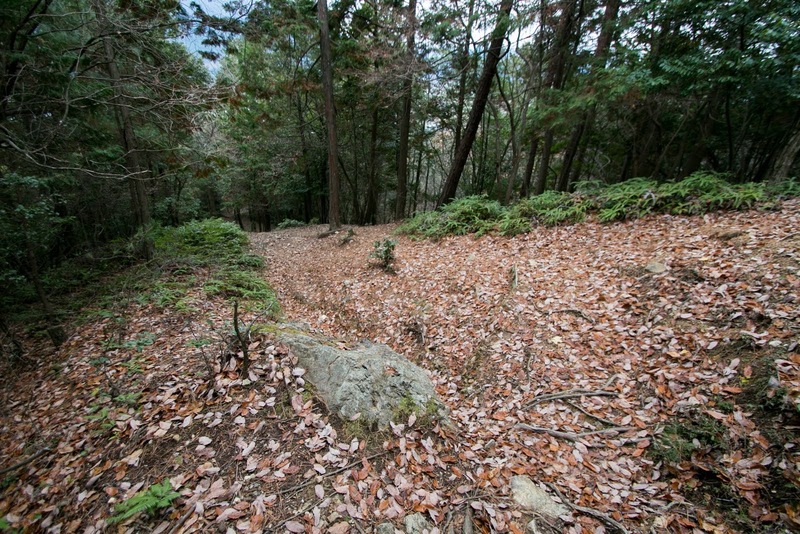 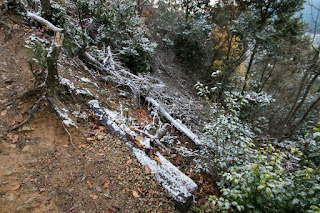 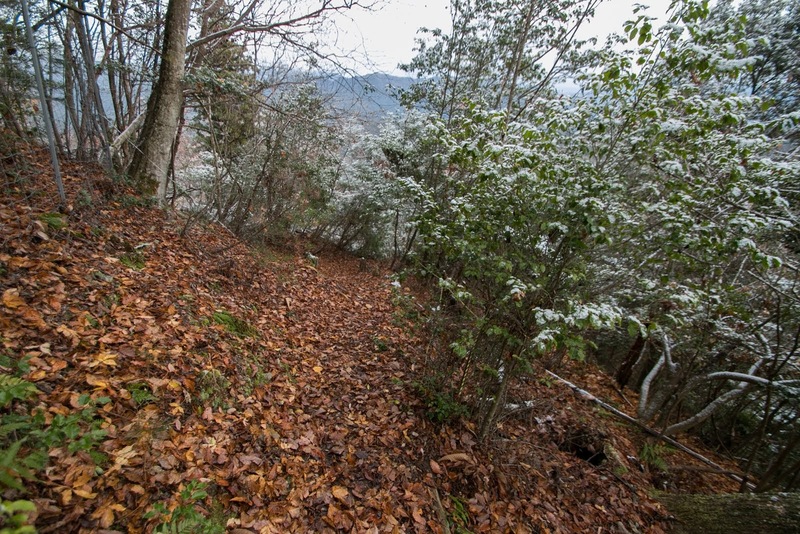 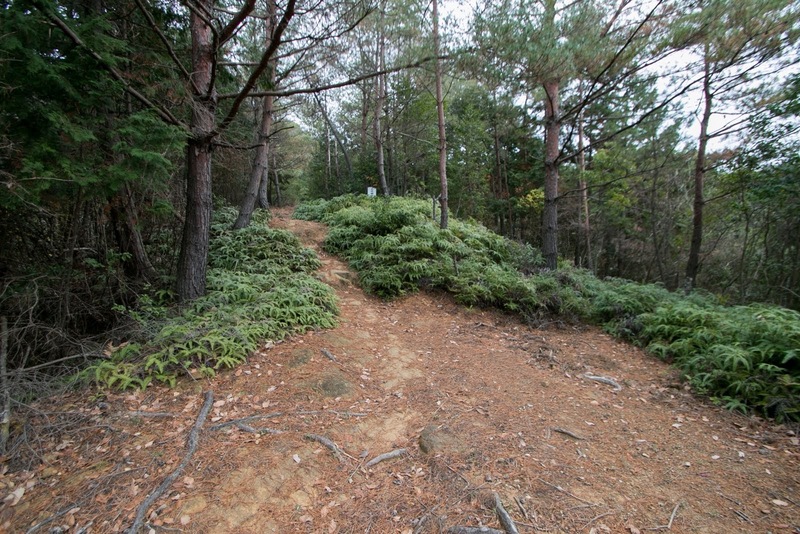 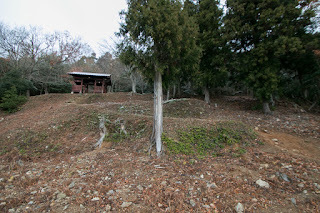 At the southeast of the mountain, current place of Kouzenji temple, hillside residence of the lord existed. But when Akai clan experienced its peak period, a large power approached from east direction. 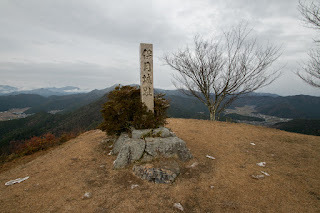 In 1568, Nobunaga Oda (1534-1582), the warlord of Owari province (western half of Aichi prefecture), marched to Kyoto city and defeated remaining Miyoshi generals then became the ruler of central area. 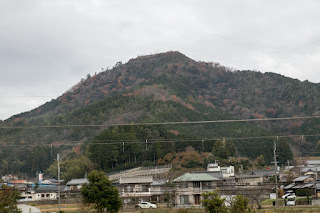 At first Nobunaga had to secure his new territory and local lords of Tanba province opposed to Miyoshi clan, former central power, local lords of Tanba province including Hatano clan and Akai clan belonged to Nobunaga. 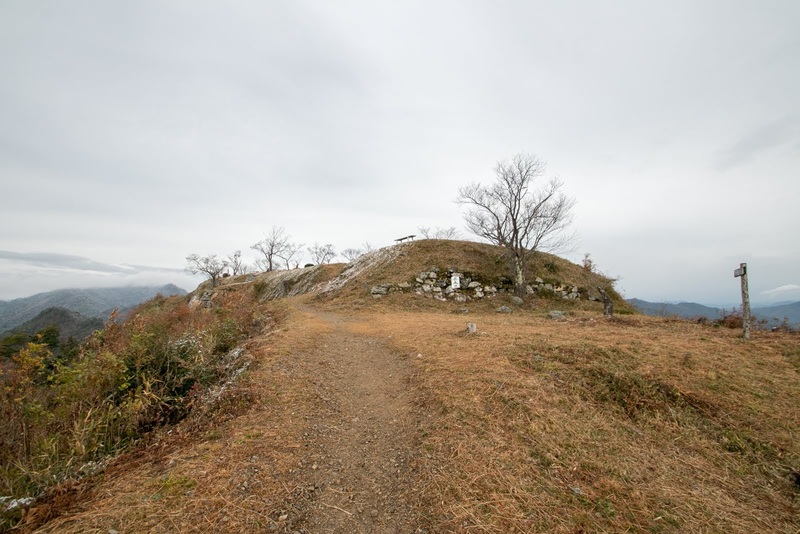 In 1570, Naomasa drove back the attack of Yamana clan which was the governor of Tajima province (north part of Hyogo prefecture), and reversely invaded into Tajima province and captured Takeda castle famous as “Castle in the sky” and Konosumiyama castle, one at Izushi city. 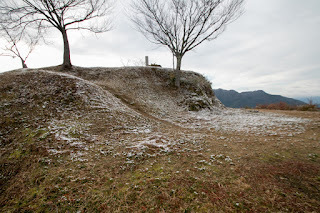 Yamana clan also belonged to Nobunaga, and Nobunaga became cautious about the expansion of Akai clan. 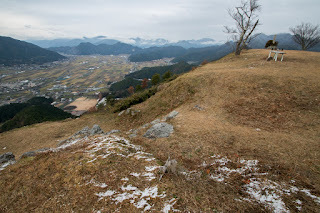 Furthermore in 1575 Nobunaga gave fatal damage to Takeda clan, the strong power at eastern front, at the battle of Nagashino, and looking at further expansion toward west. In 1575, Nobunaga ordered his confident general Mitsuhide Akechi (1528-1582) to advance into Tanba province. At first Hatano clan supported Mitsuhide, and Mitsuhide could easily approach to Kuroi castle. 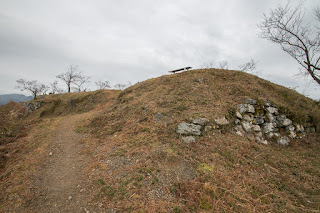 Naomasa disposed Takeda castle and Konosumiyama castle then returned to Kuroi castle and prepared the battle for Akechi clan. 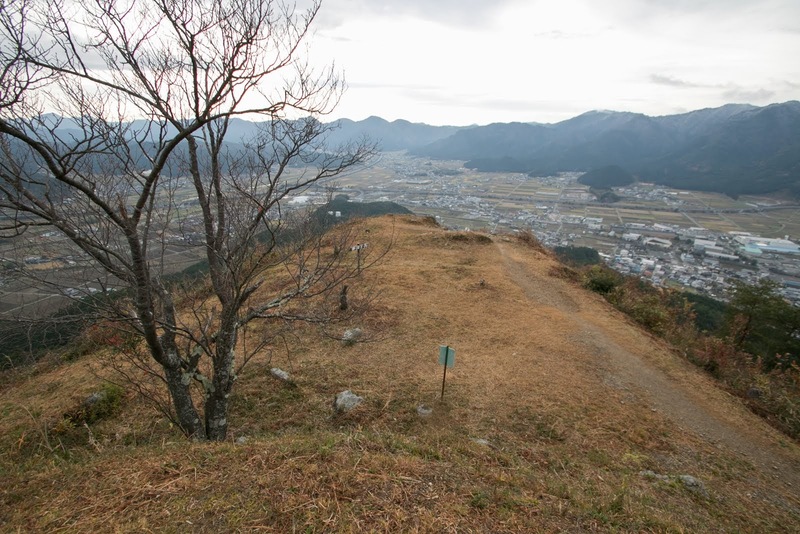 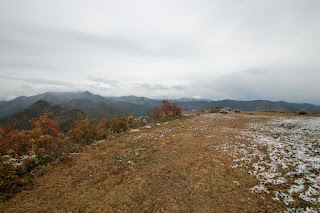 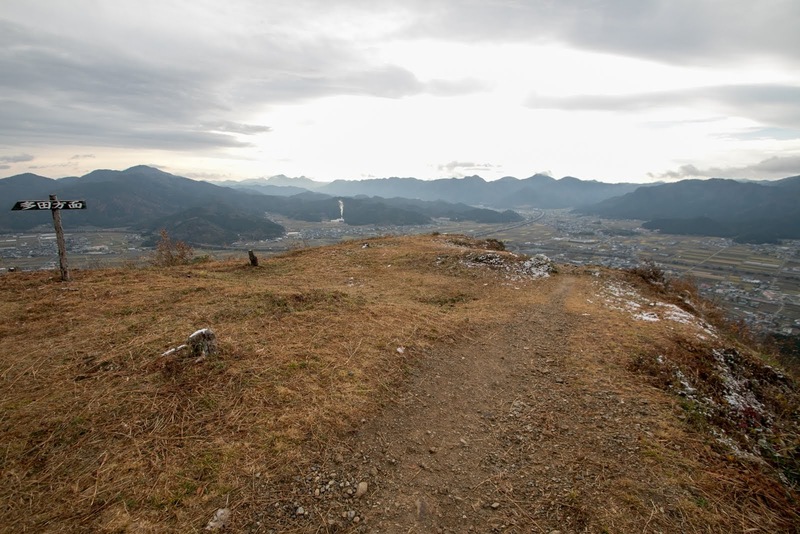 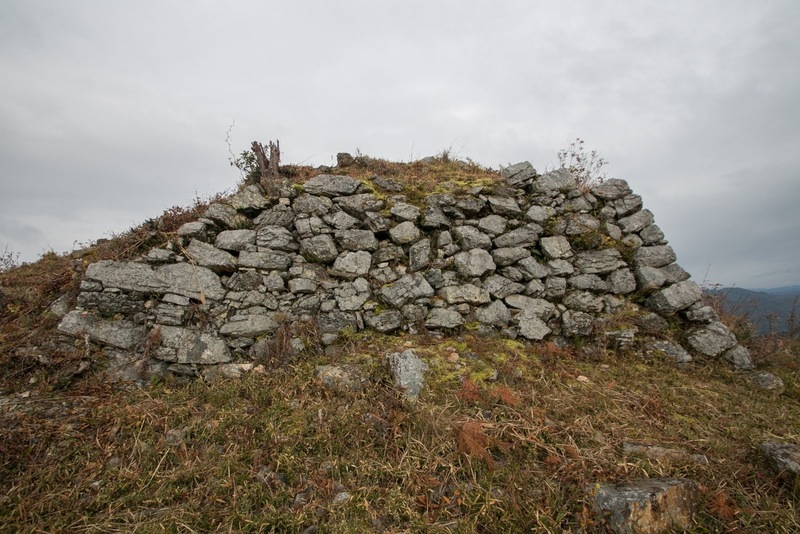 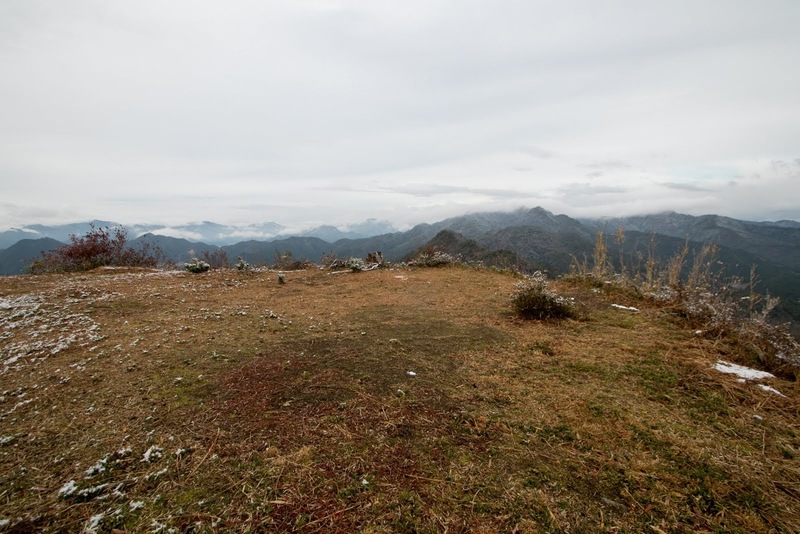 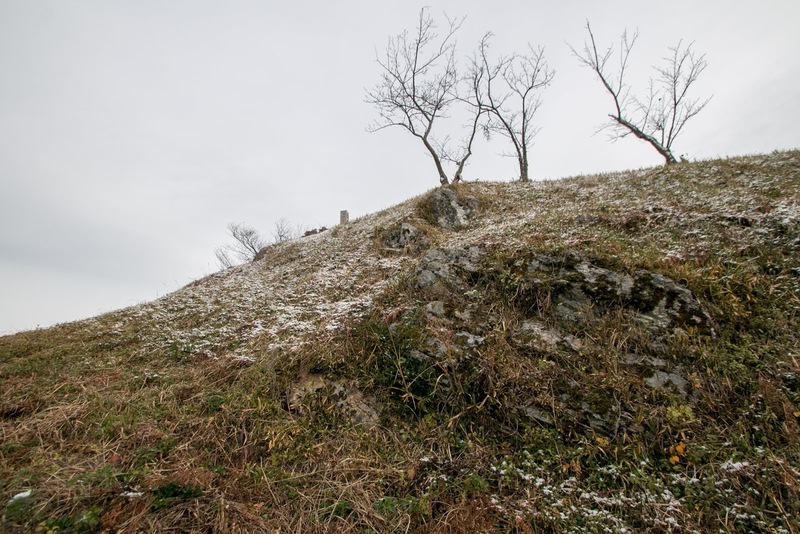 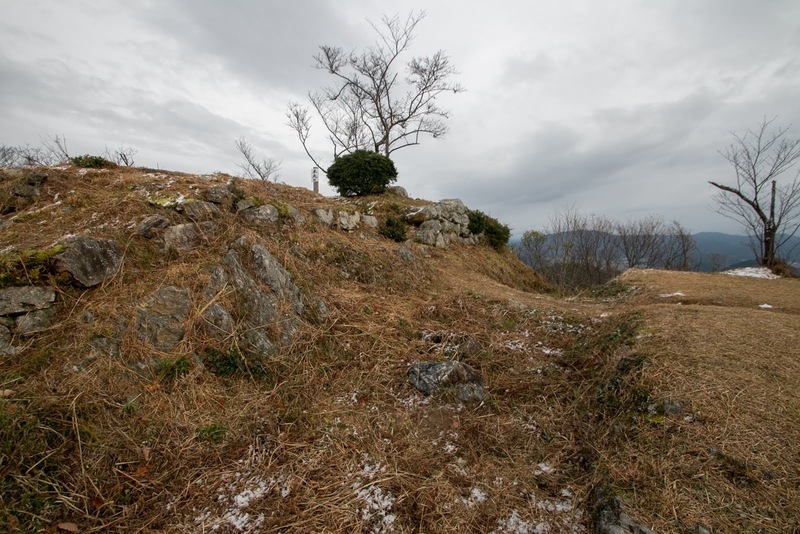 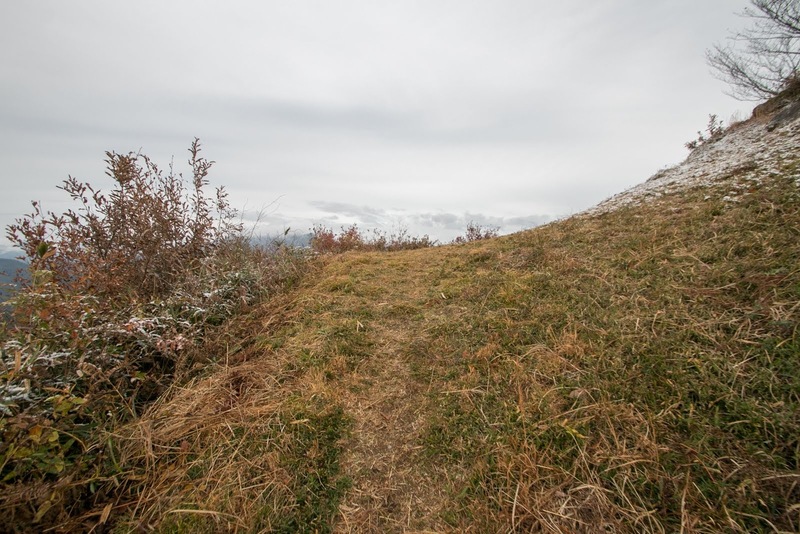 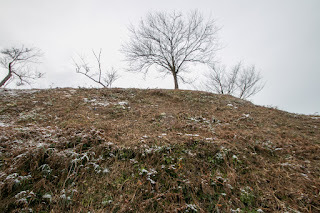 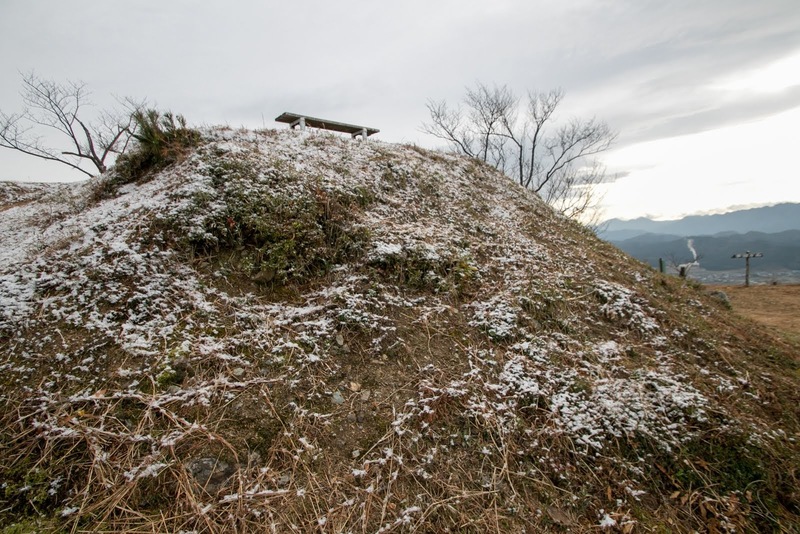 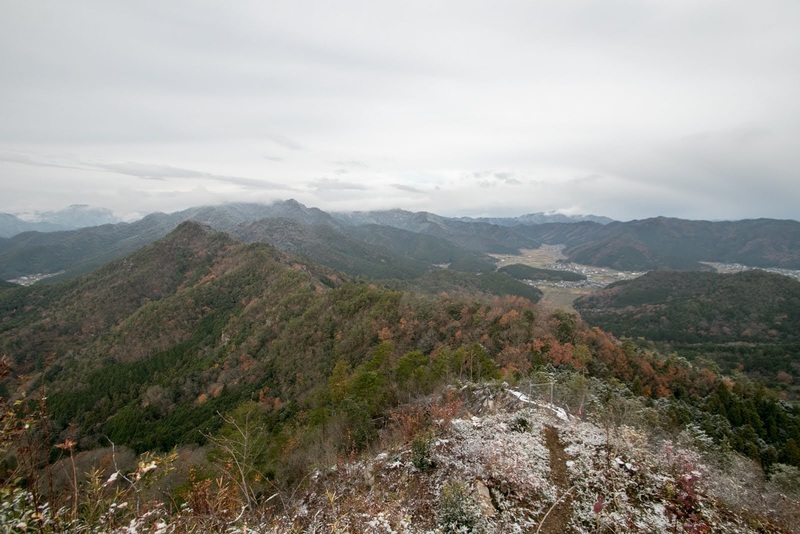 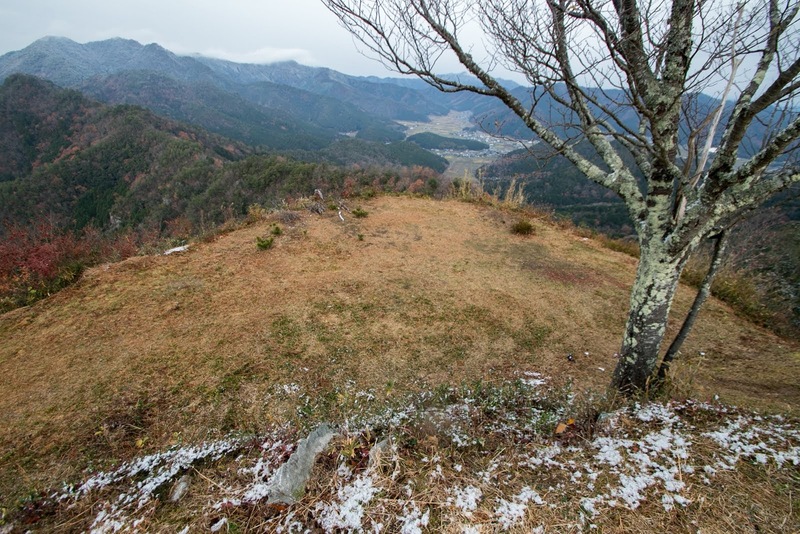 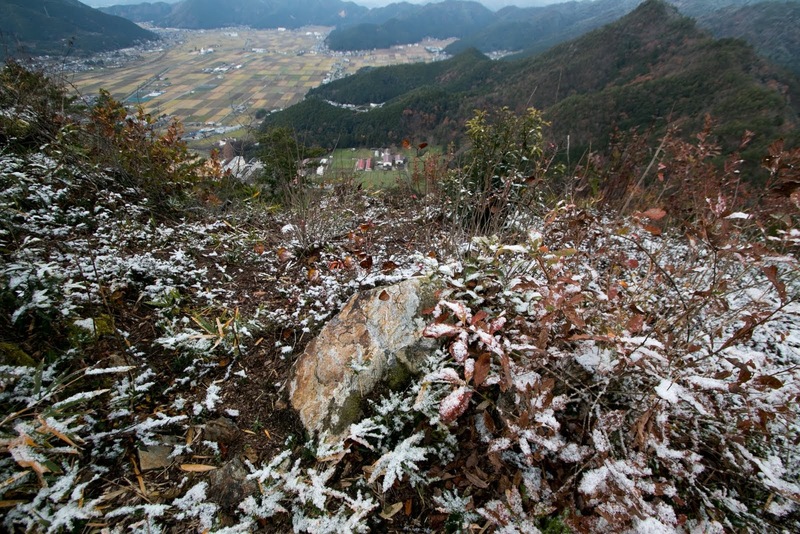 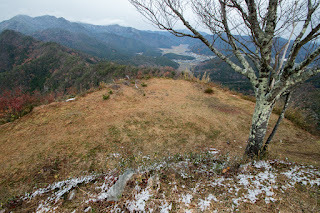 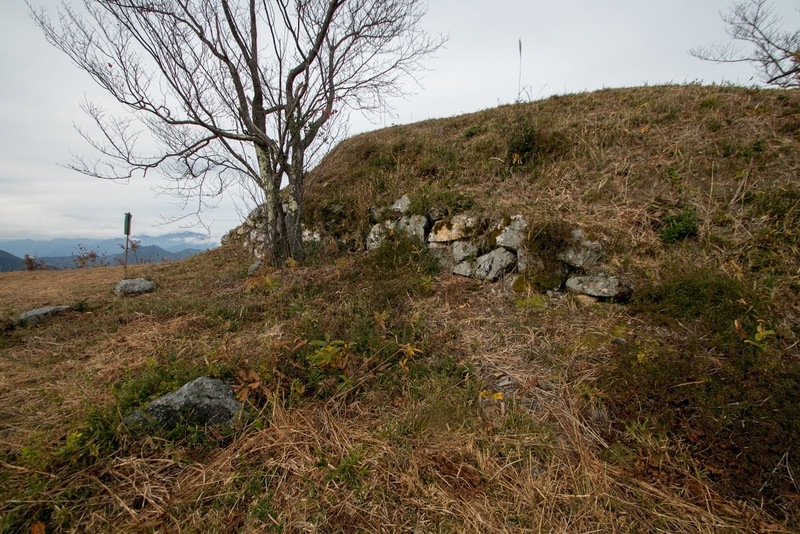 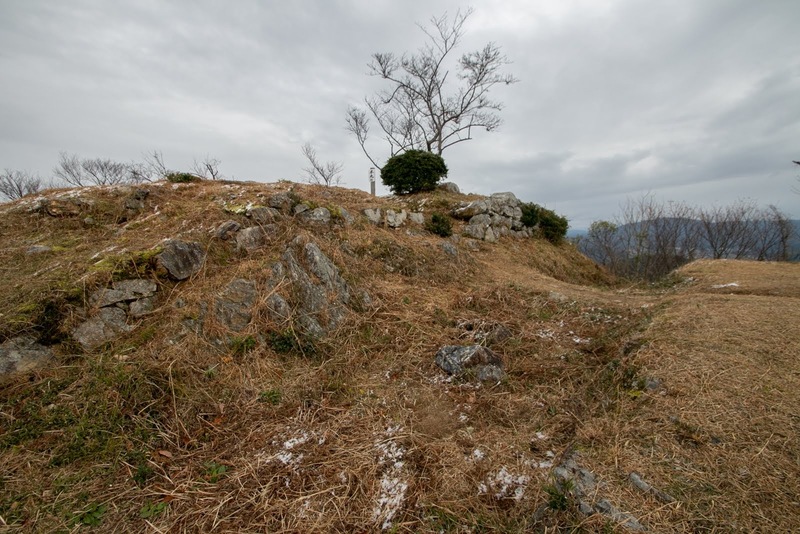 In winter Akechi clan surrounded Kuroi castle, and siege continued over two months. But in early spring of 1576, Hidehasu suddenly left Mitsuhide and attacked Akechi army surrounded Kuroi castle from backside. 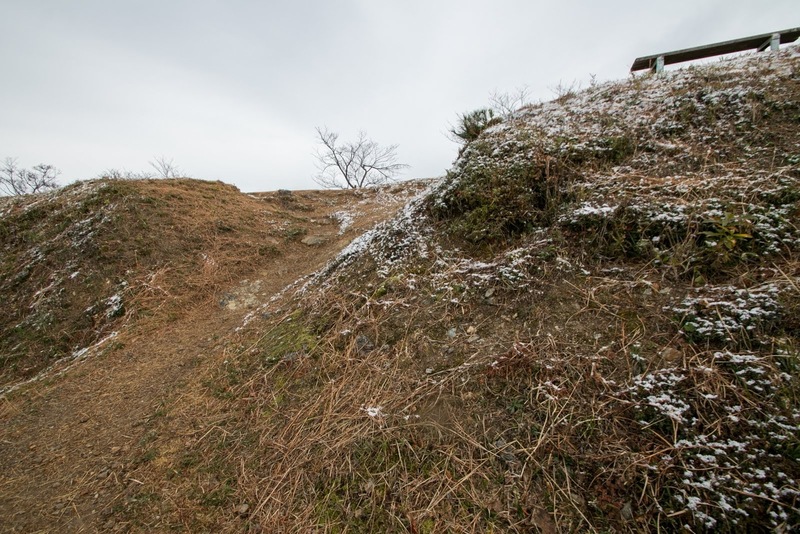 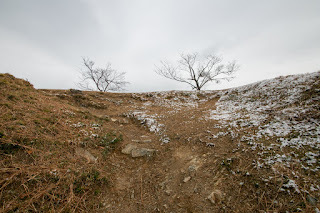 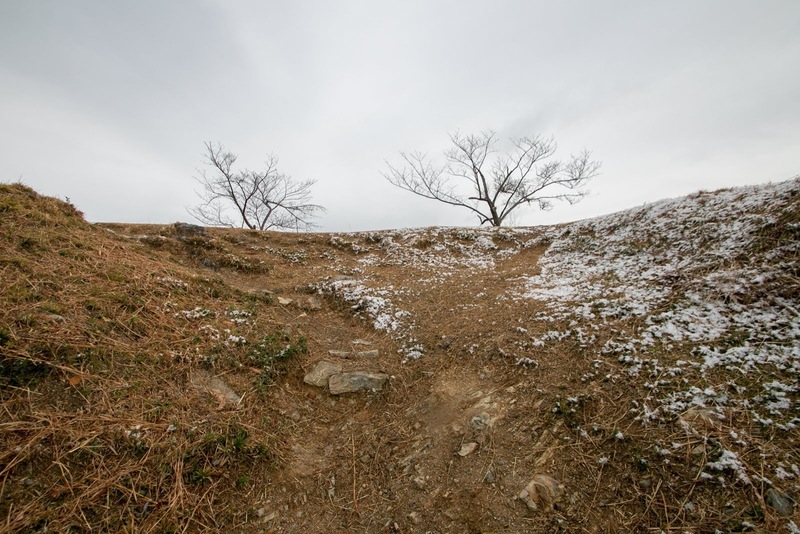 Being confined at narrow basin with deep snow and shut its supply line, Akechi army collapsed and Mitsuhide barely ran to his main base Sakamoto castle. 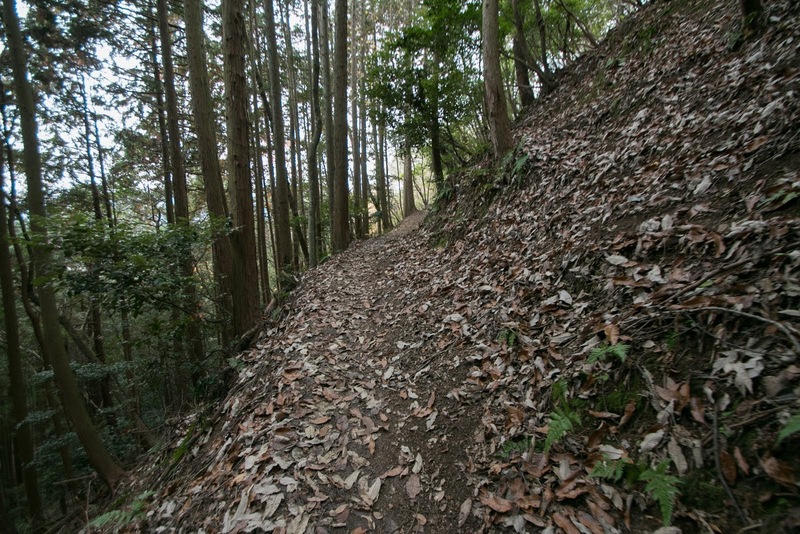 It is said that Naomasa and Hidemaru secretly agreed in advance, but it is not clear if this is true or not. 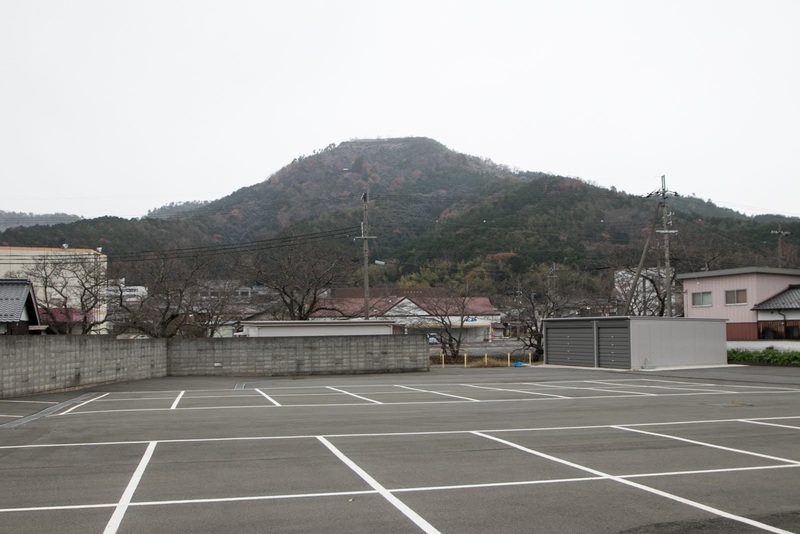 Anyway attempt of Mitsuhide ended in total failure and Naomasa’s fame further increased. 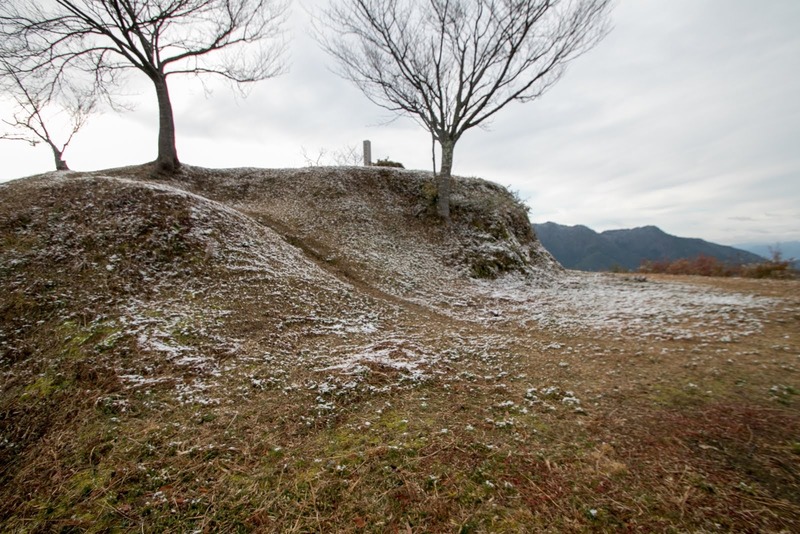 However, Mitsuhide did not give up his action toward Tanba province. Next year, after the siege of Shigisan castle (Nara prefecture), Mitsuhide restarted his invasion. 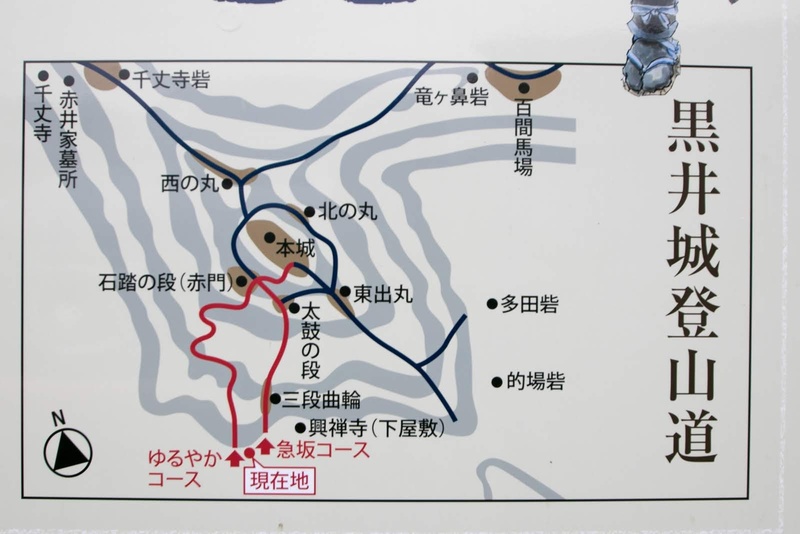 This time Mitsuhide decided to proceed gradually, captured the province from Kyoto side, and occupied Kameoka area as his base. Securing its backside, Mitsuhide siege Yagami castle from March 1578 and continued its siege over one year. 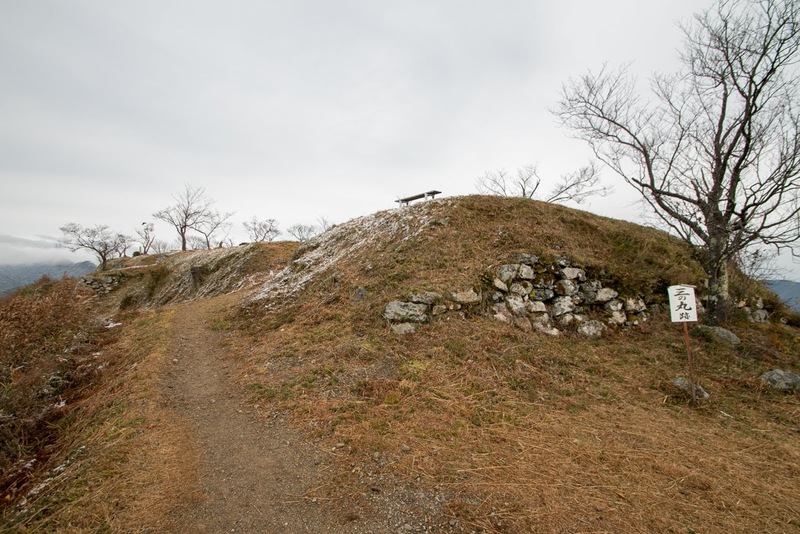 This time Mitsuhide built Kanayama castle between Yagami castle and Kuroi castle, to shut the communication between Hatano clan and Akai clan. 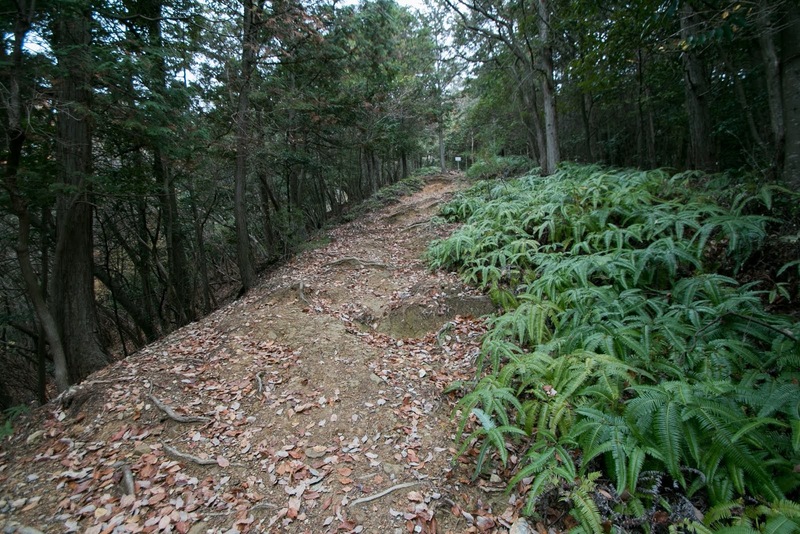 Furthermore unfortunately, Naomasa died in ill at such important time, and anti Oda alliance of local lords lost its core and collapsed. 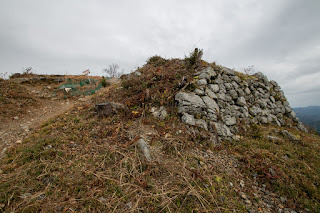 After over one year sidge losing its supply, Yagami castle finally fell in June 1579 and Hatano clan was extinguished. Akechi army next attacked Kuroi castle in August, and this time isolated Kuroi castle easily fell then Tadaie ran away from the castle.After the fall of Kuroi castle, Mitsuhide subjugated other small local lords and finally seized Tanba province within that year. 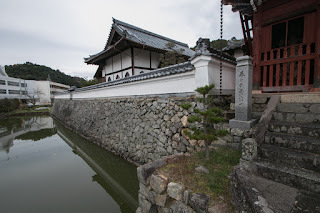 After occupation, Mitsuhide placed his trustable general Toshimitsu Saito (1534-1582). Toshimitsu is said as a descendant of Saito clan, which was the deputy governor of Mino province (later famous Dosan Saito took over the clan), and served for Ittetsu Inaba (1515-1589), a large local lord of province. 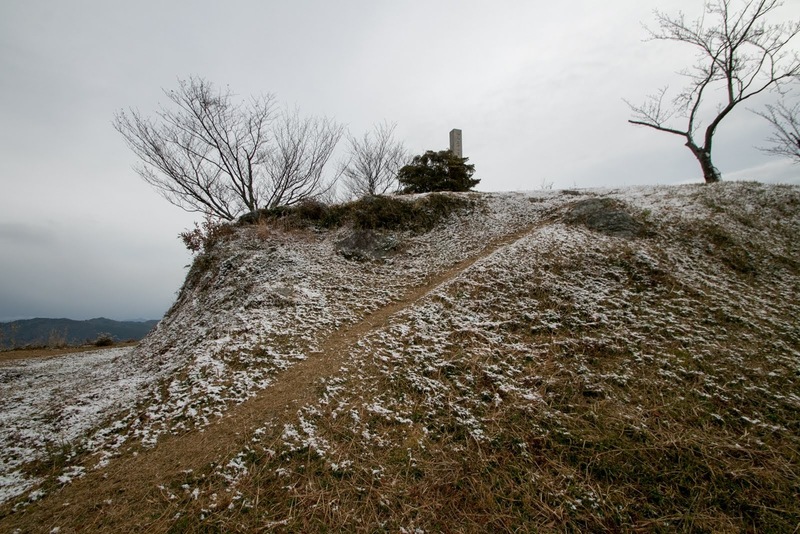 But later Toshimitsu left Inaba clan and changed to the retainer of Mitsuhide, as he was a relative by marriage of Mitsuhide. 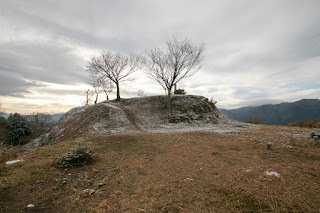 Toshimitsu participated in many battles under Mitsuhide and activated. 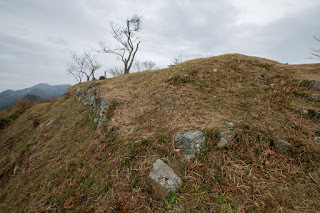 Kuroi castle was still a front against Tajima province where Yamana clan changed to Mouri clan, but in 1580 Hidenaga Hashiba (1540-1591), younger brother of Hideyoshi Hashiba (1537-1598) who was the regional commander of Sanyo region under Nobunaga, captured Tajima province expelling Yamana clan. 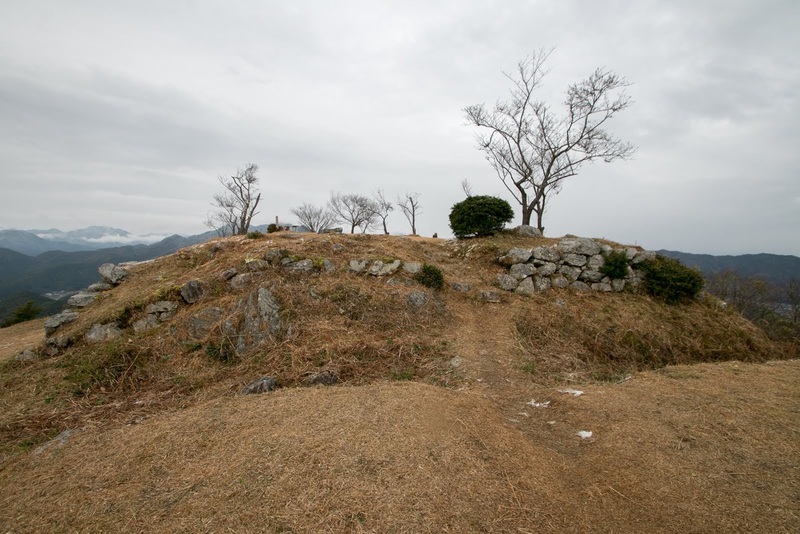 Kuroi castle was no more a front, but was kept as an important base of province. 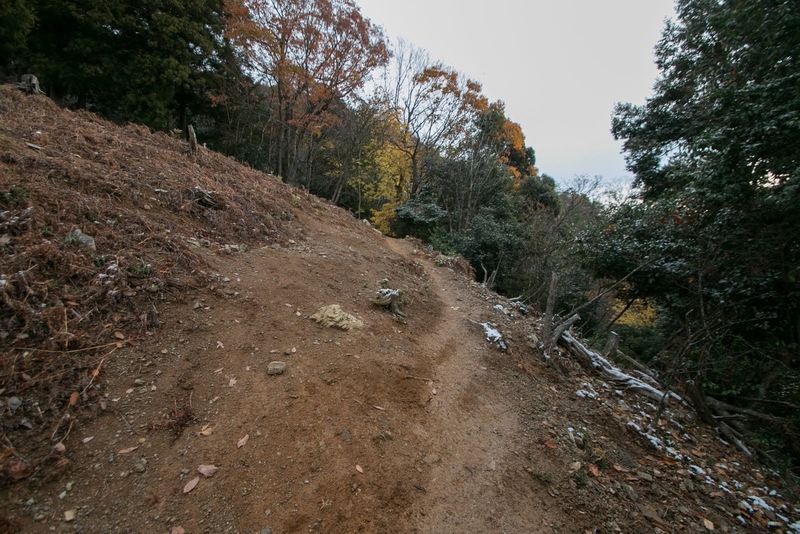 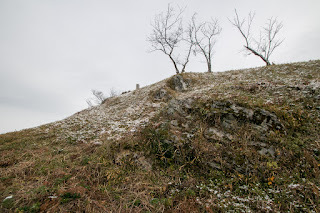 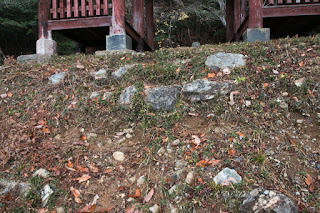 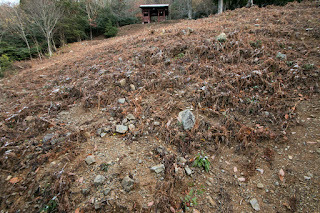 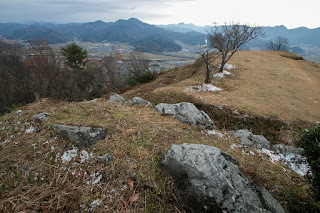 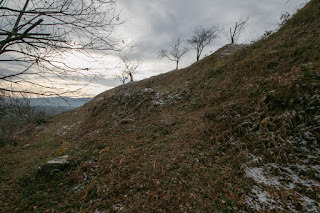 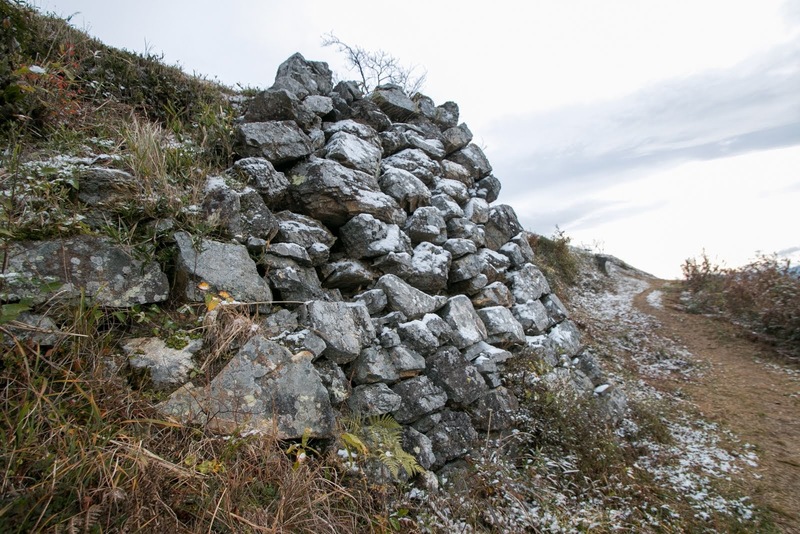 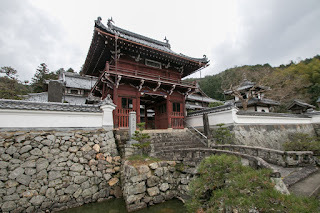 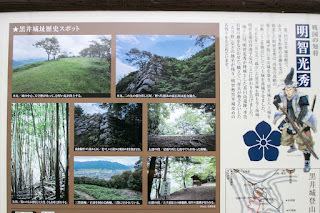 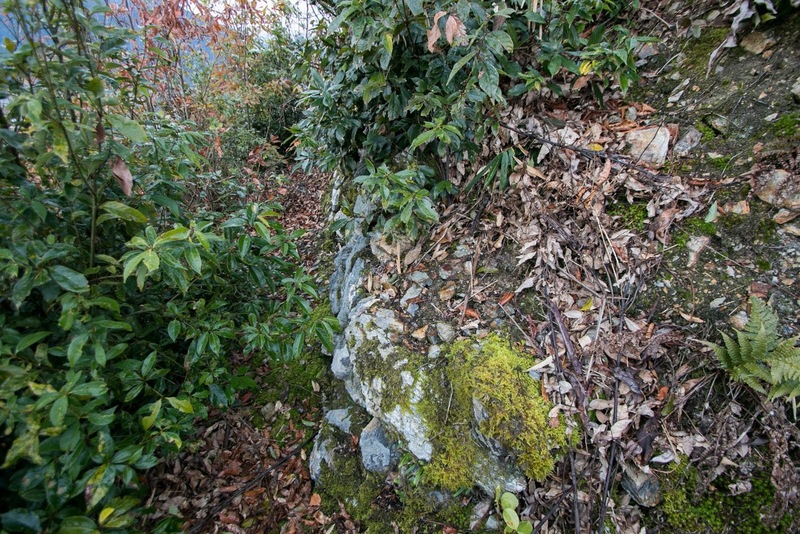 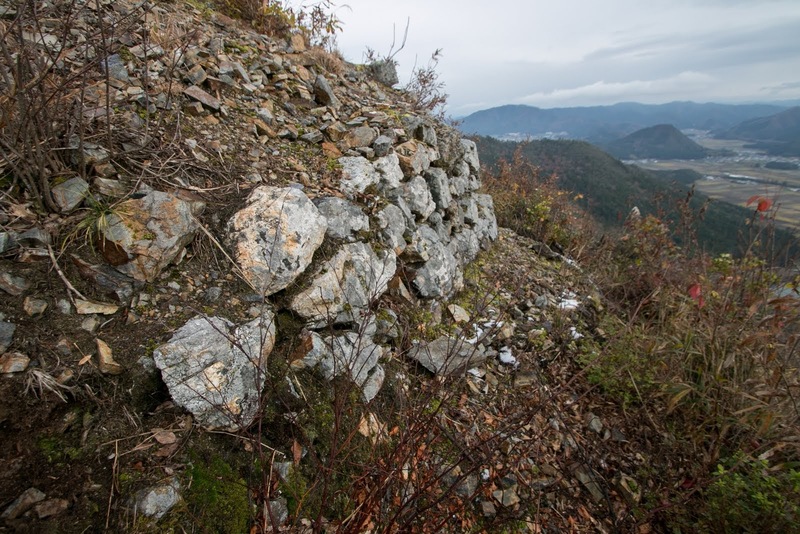 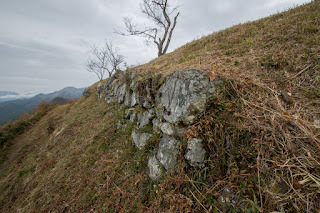 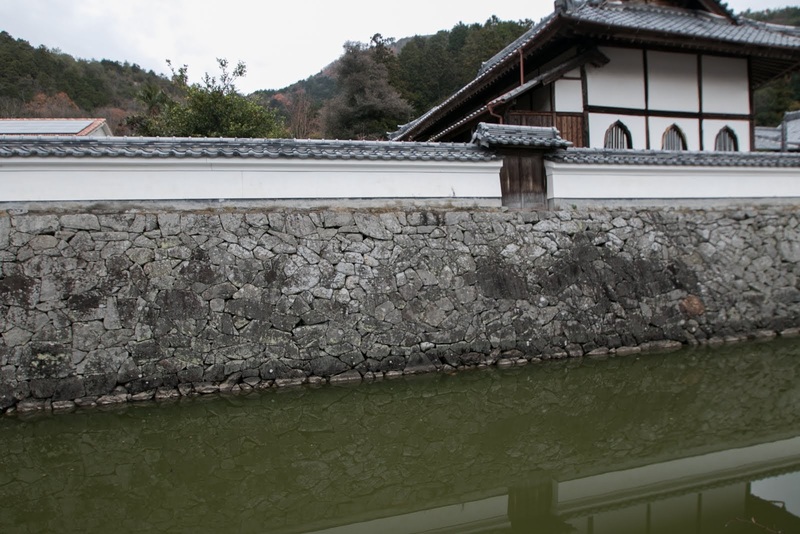 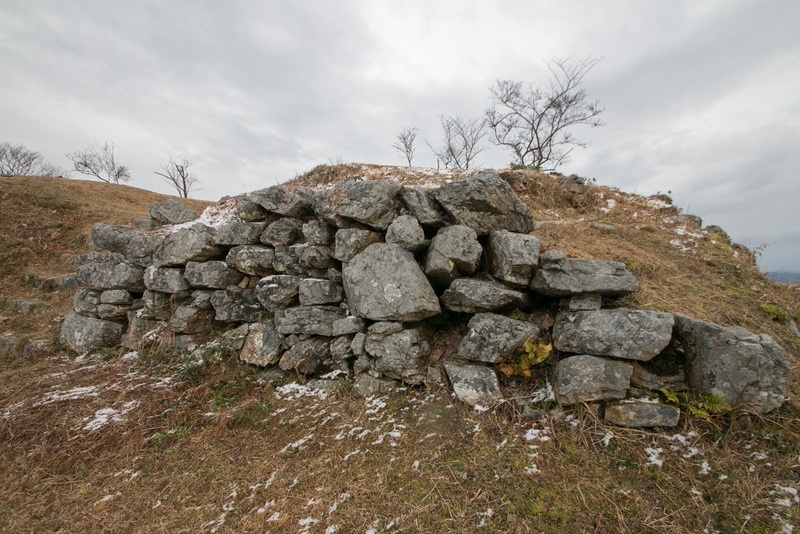 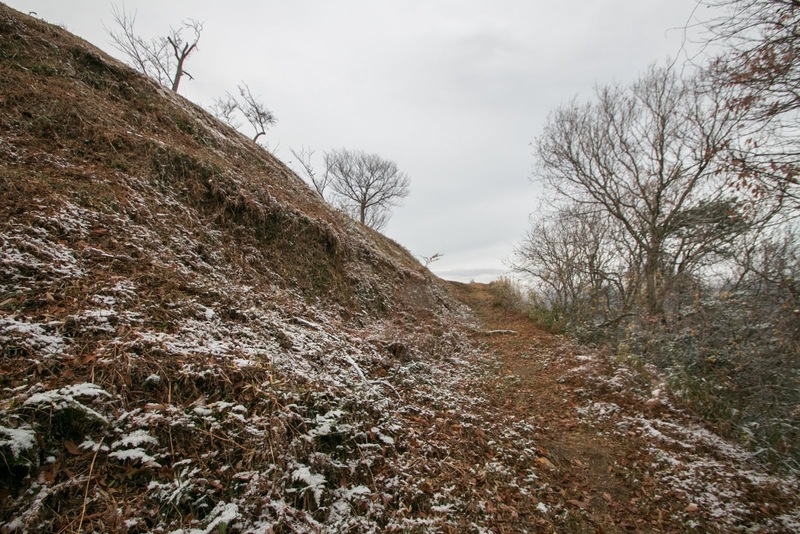 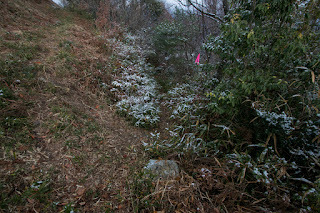 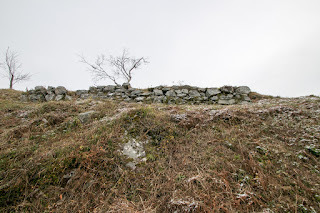 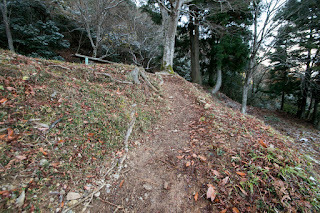 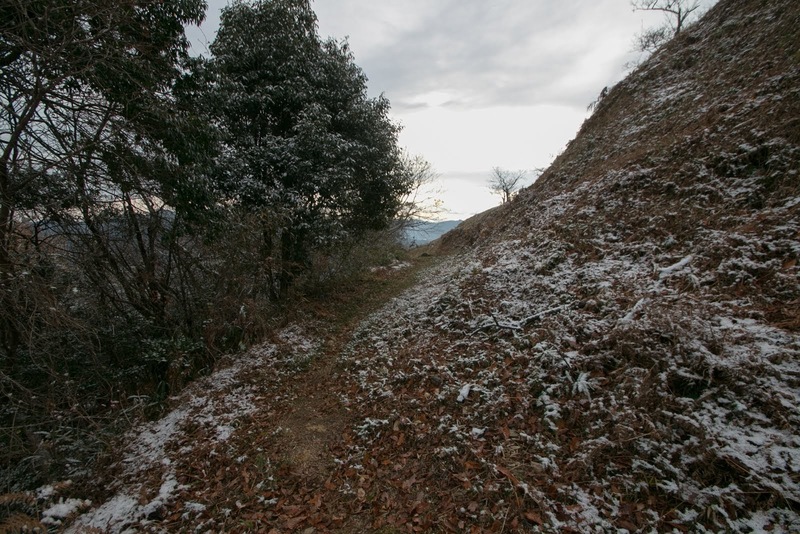 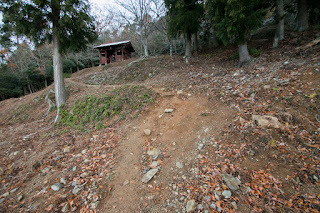 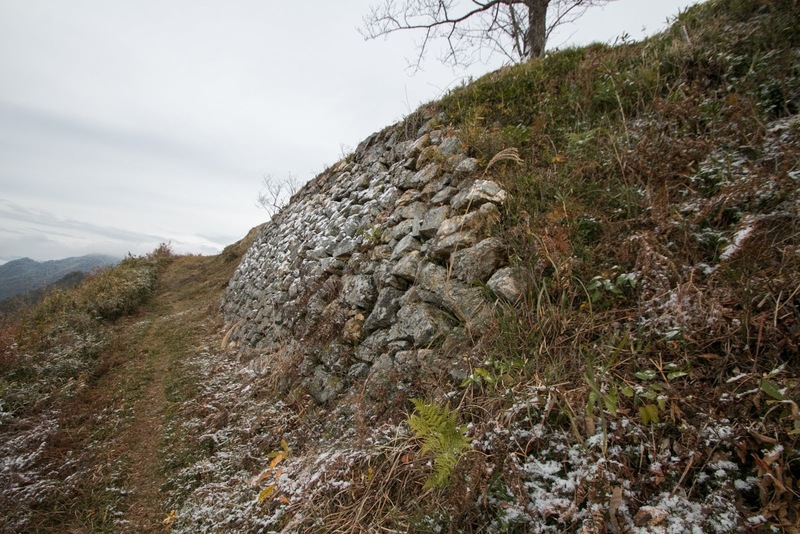 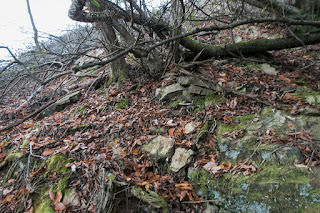 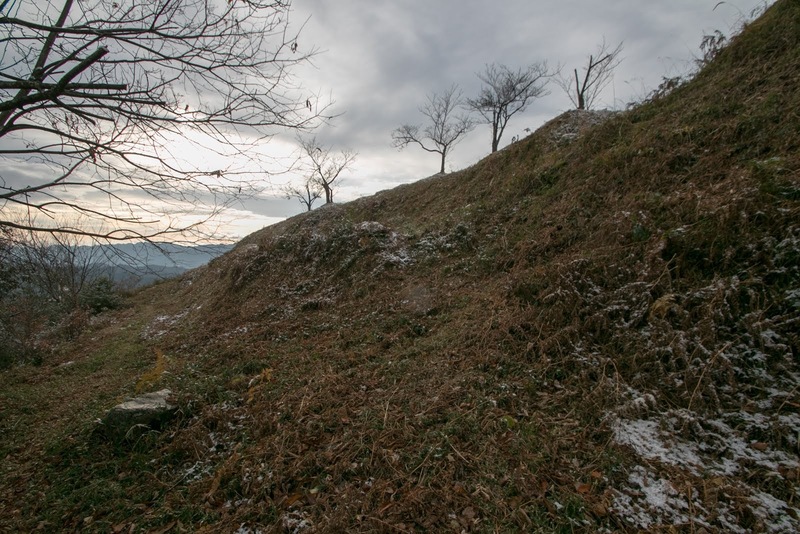 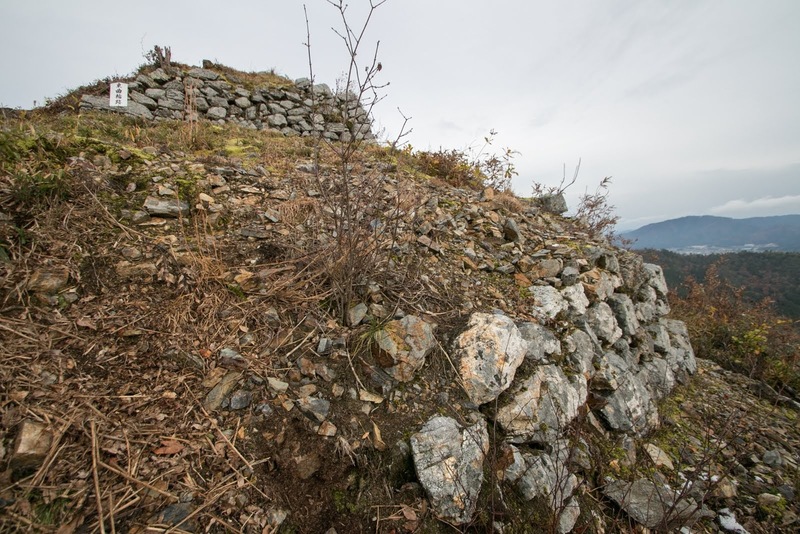 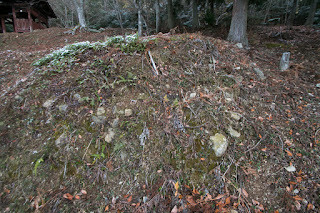 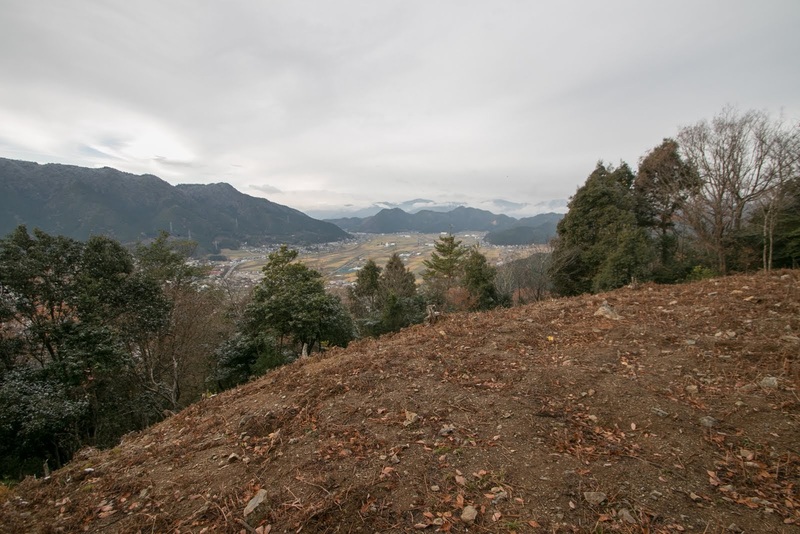 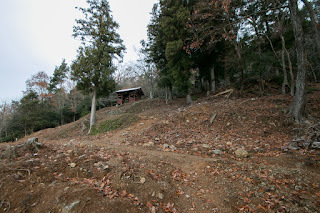 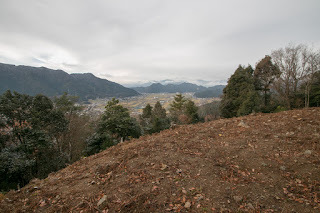 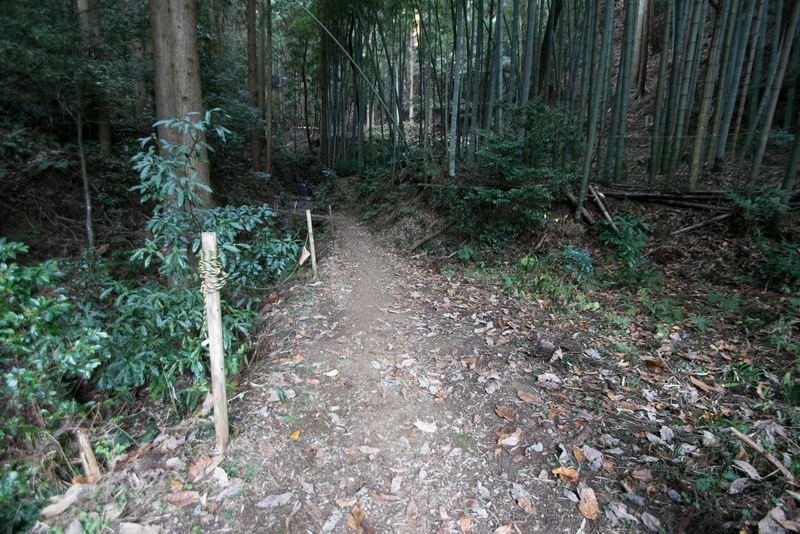 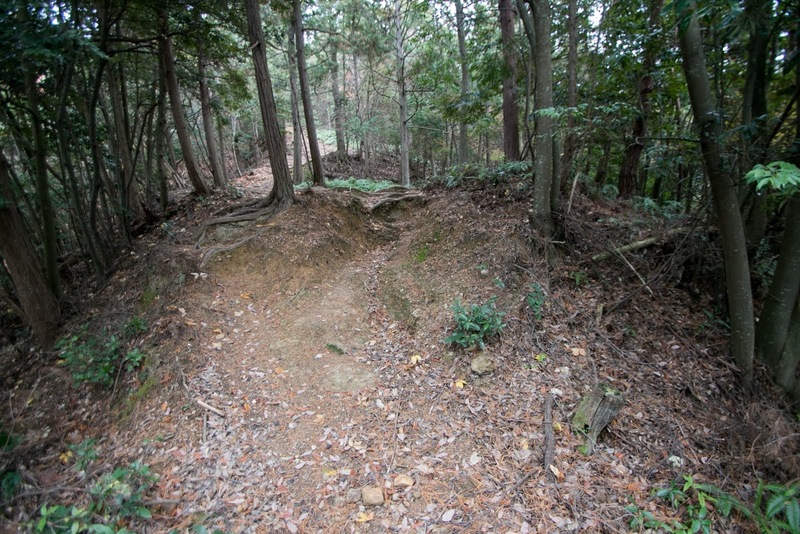 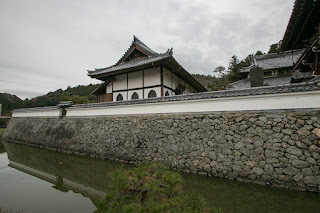 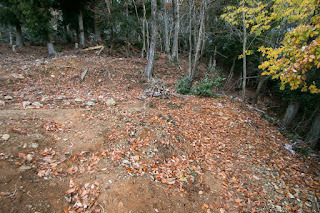 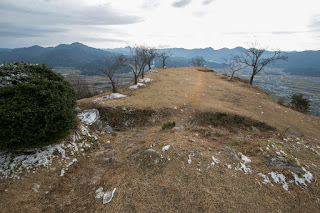 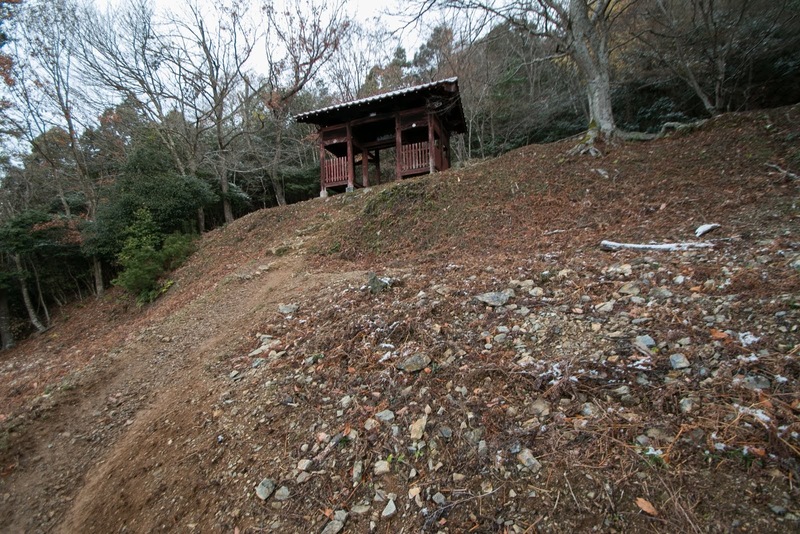 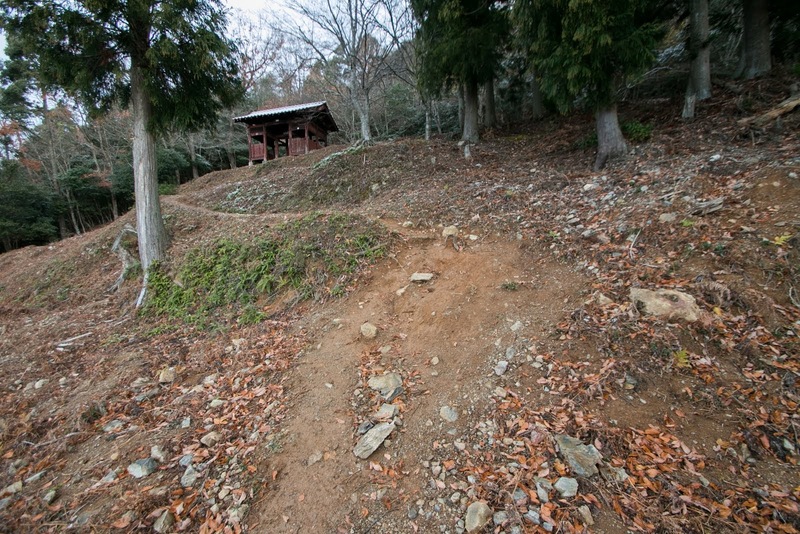 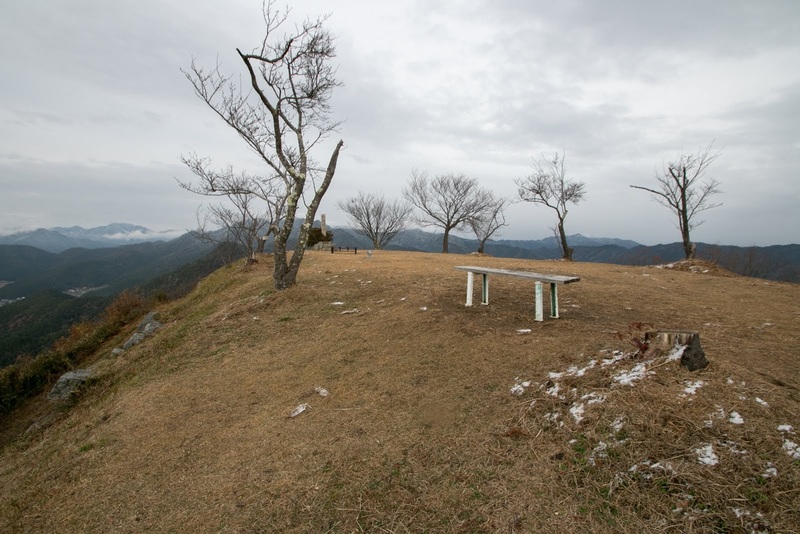 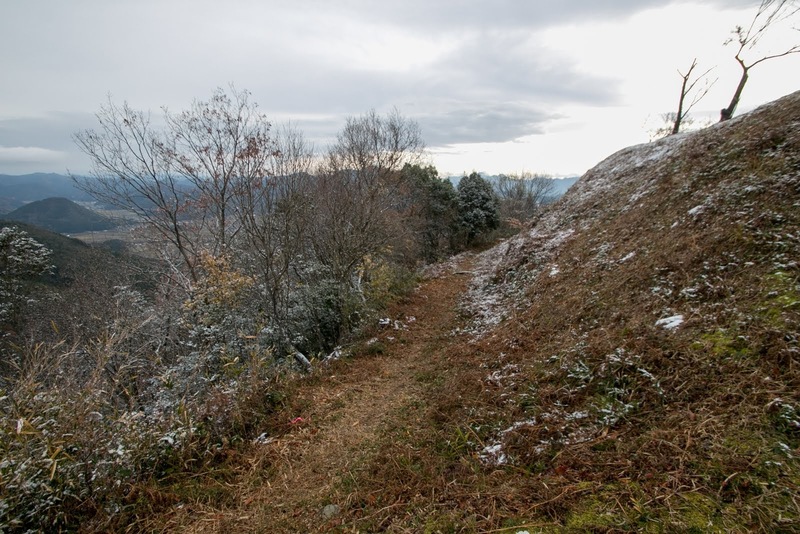 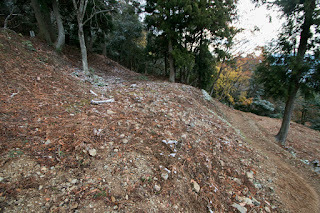 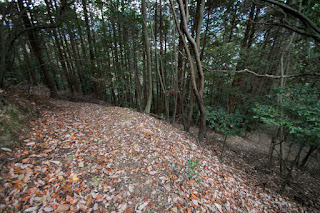 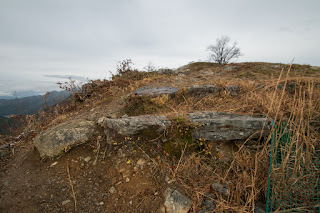 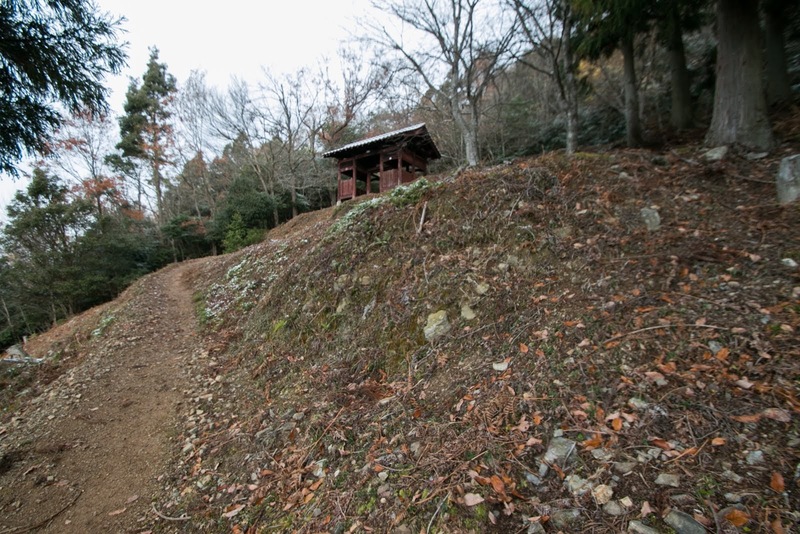 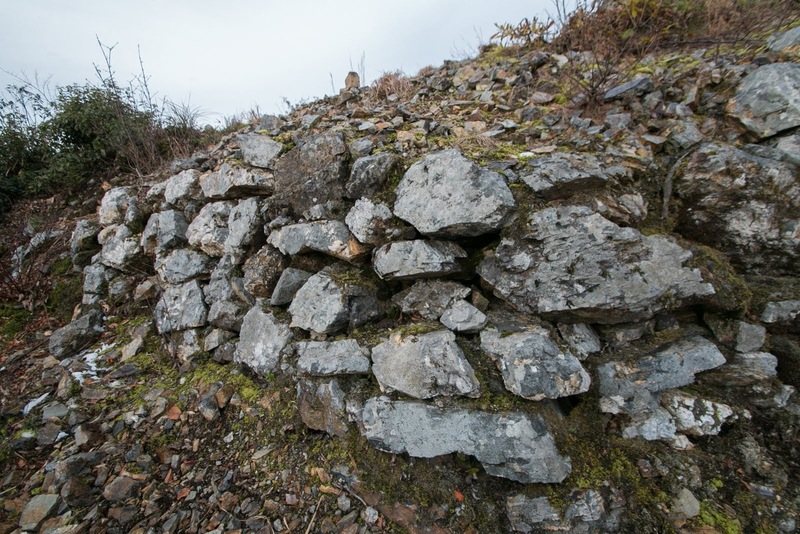 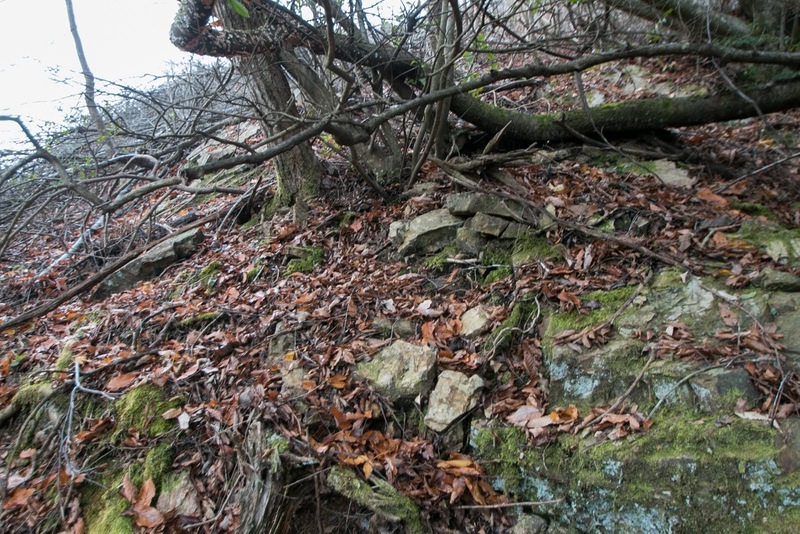 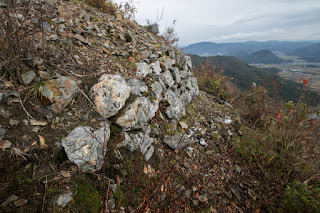 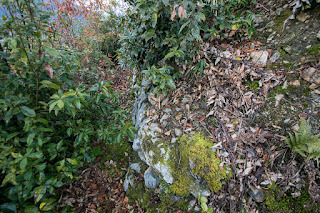 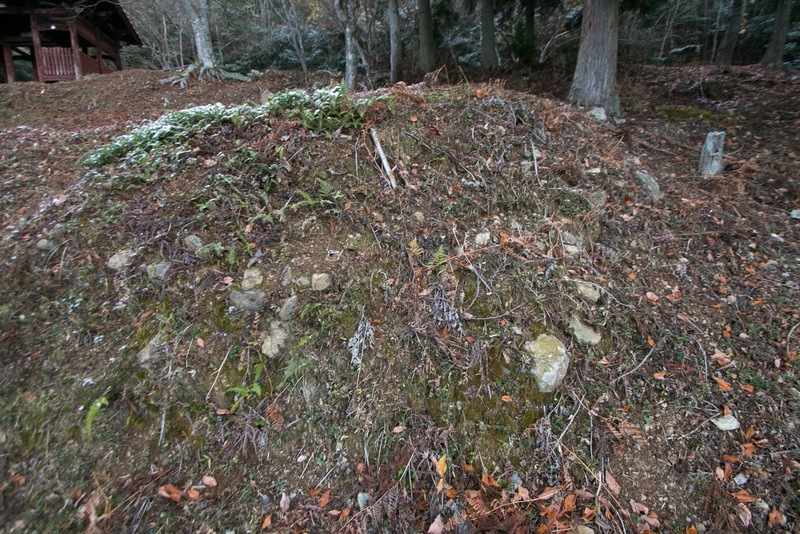 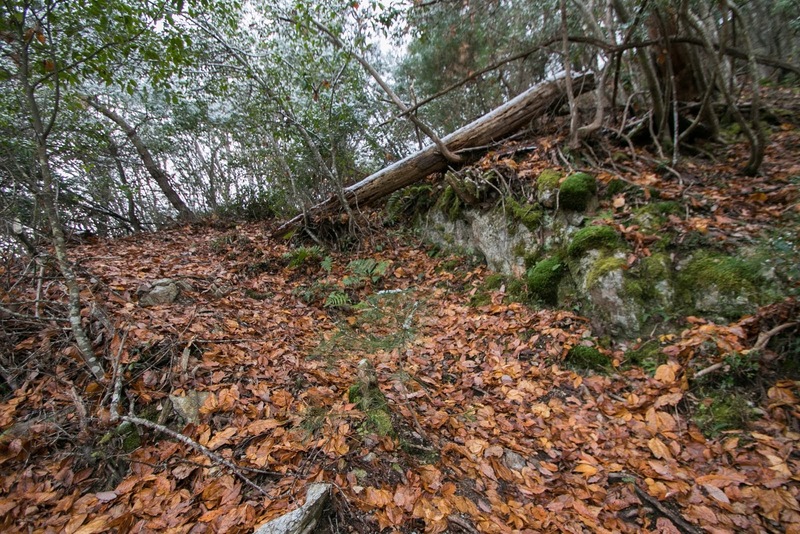 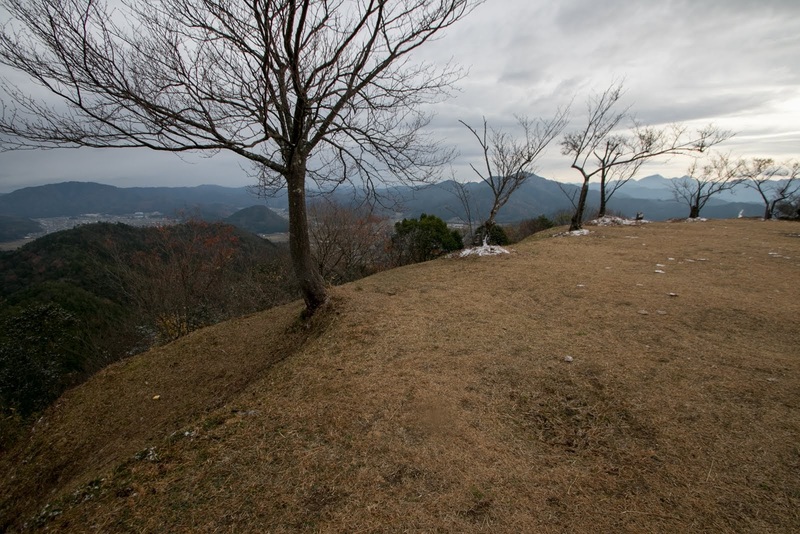 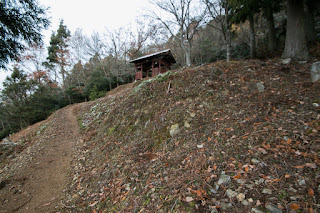 Toshimitsu might built stone walls around hilltop area. In 1582, Mitsuhide committed the incident of Honnoji, a coup d’etat against Nobunaga. 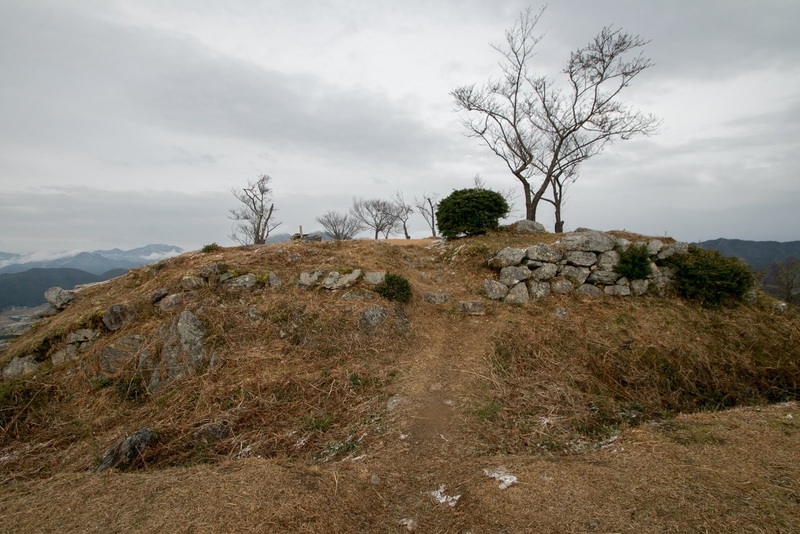 It is said that Toshimitsu opposed to this attempt because it is too risky, but Toshimitsu is also said as a principal as Toshimitsu took charge of diplomacy with Chosokabe clan, a regional ruler of Shikoku island but which was nearly attacked by Oda army. 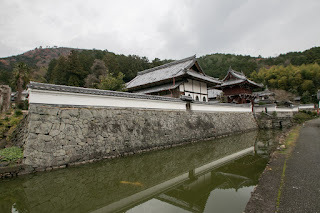 Anyway once the decision was made, in June 1582, Mitsuhide and Toshimitsu attacked Nobunaga who stayed at Honnoji temple in Kyoto city and forced him to suicide. 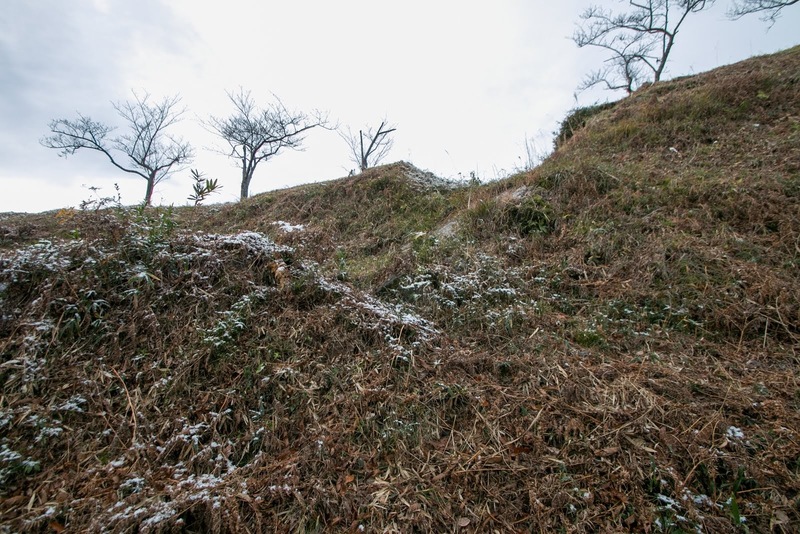 Coup d’etat itself was successful, but Mitsuhide had to fight against Hideyoshi Hashiba who quickly returned from western front with large army. Mitsuhide and Hideyoshi fought at the place of Yamazaki, where is between Kyoto city and Osaka city, and Toshimitsu bravely fought at the battle. But finally Akechi army was outnumbered and defeated against Hashiba army, and Mitsuhide was killed by local people while escaping to his residence Sakamoto castle (Shiga prefecture). 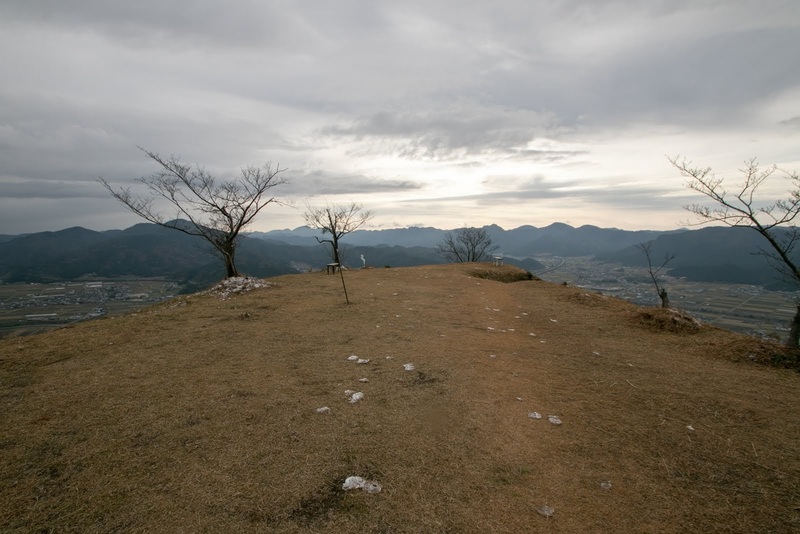 Toshimitsu also escaped, but was captured by Hashiba army and executed. Toshimitsu’s daughter named Fuku (1579-1643), who was said as be born at hillside residence of Kuroi castle, survived this difficult situation and married with Masashige Inaba (1571-1628), grandson of Ittetsu Inaba. 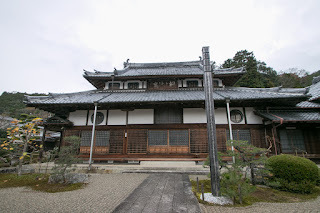 Later Fuku divorced (probably intentional and agreed) and was hired as a nunny of Iemitsu Tokugawa (1604-1651), the third Shogun of Edo Shogunate. 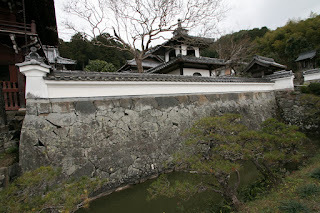 Iemitsu deeply trusted Fuku, and let her have the name of Kasuganotsubone (Lady Kasuga) using the place of her native place. Kasuganotsubone exercised her power, and let her former husband Masashige Inaba into the lord of Yodo castle (Kyoto prefecture). After the fall of Mitsuhide, Hideyoshi placed his general Yoshiharu Horio (1544-1611) in 1582, but next year Yoshiharu moved to Wakasa province and at this time Kuroi castle might be abolished. Today all buildings were lost but stone walls partially remains at hilltop area. 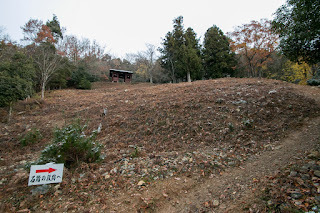 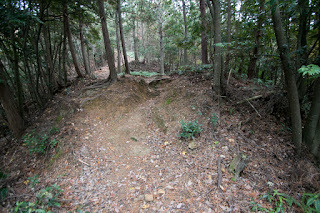 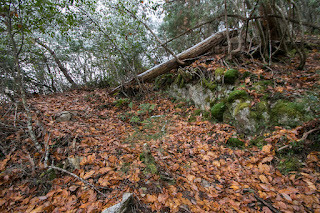 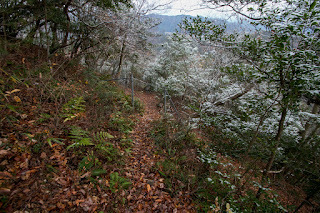 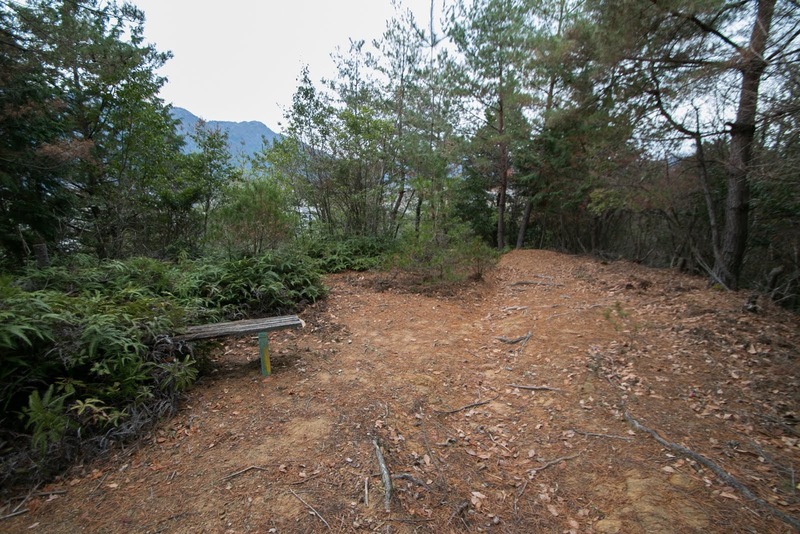 In addition to this, at the front side of Kouzenji temple just beside the mountain, which is considered as the site of former hillside residence, stone walls at that era still remains (sorry for no photo). 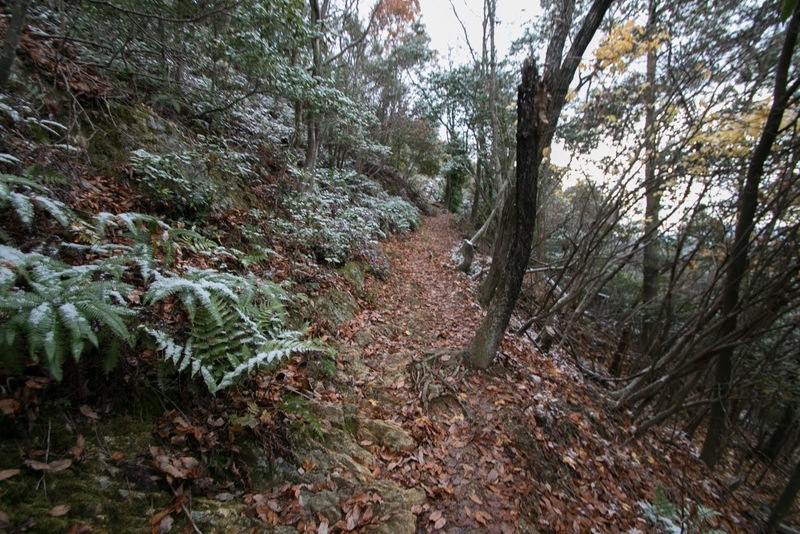 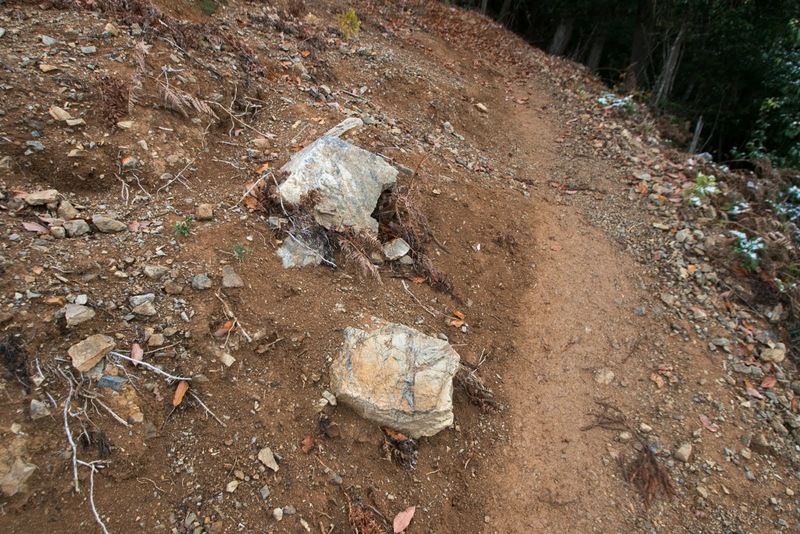 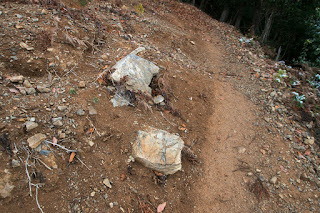 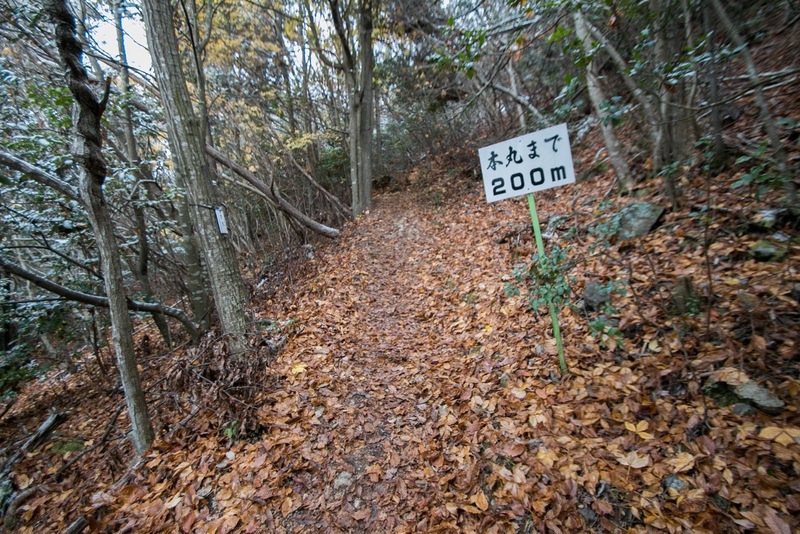 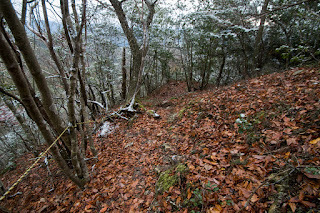 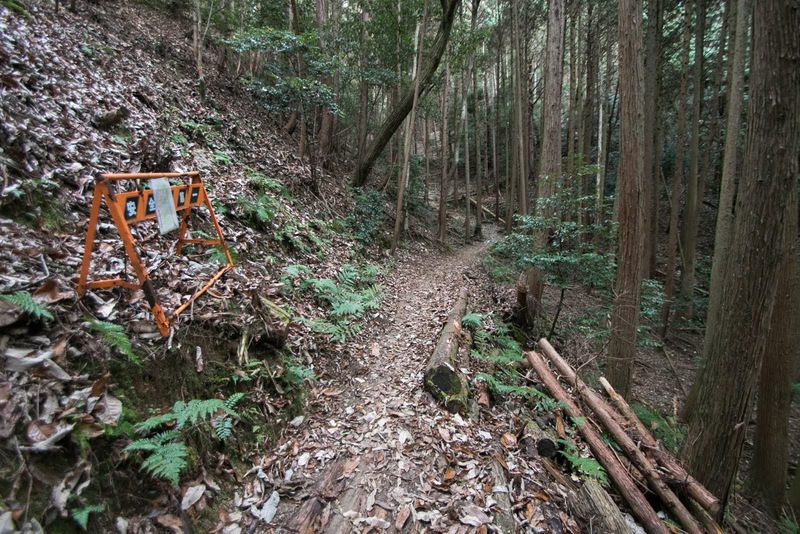 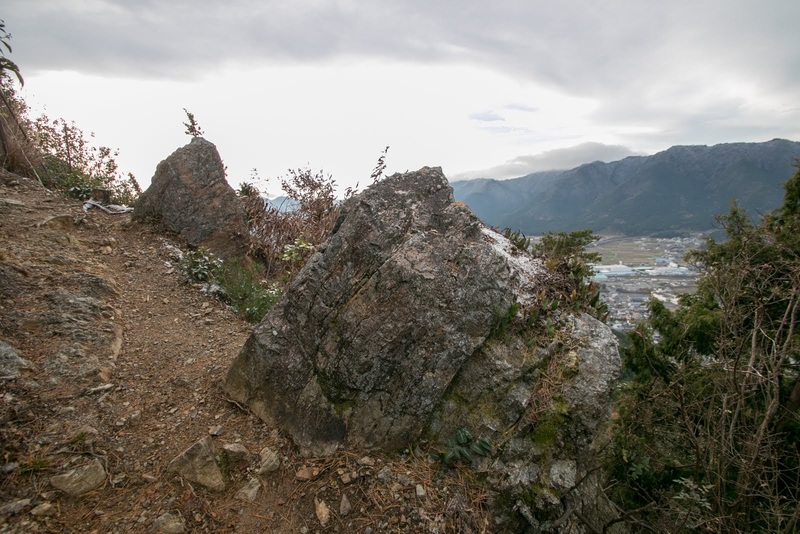 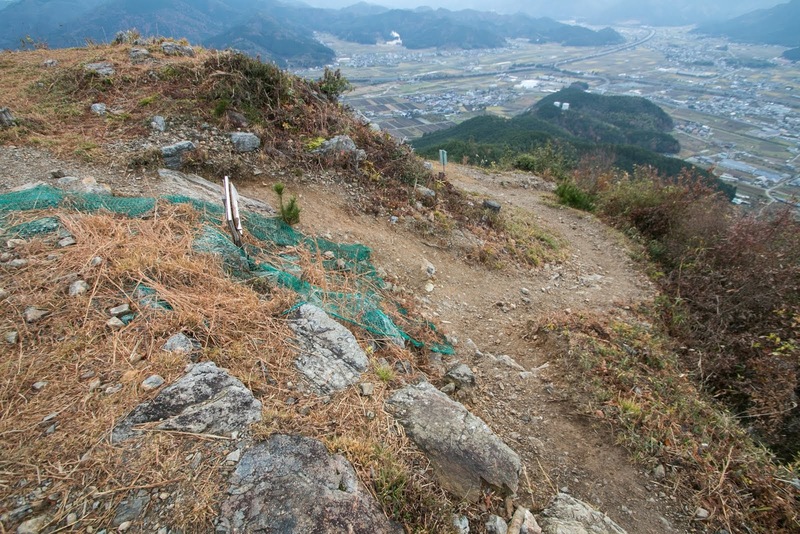 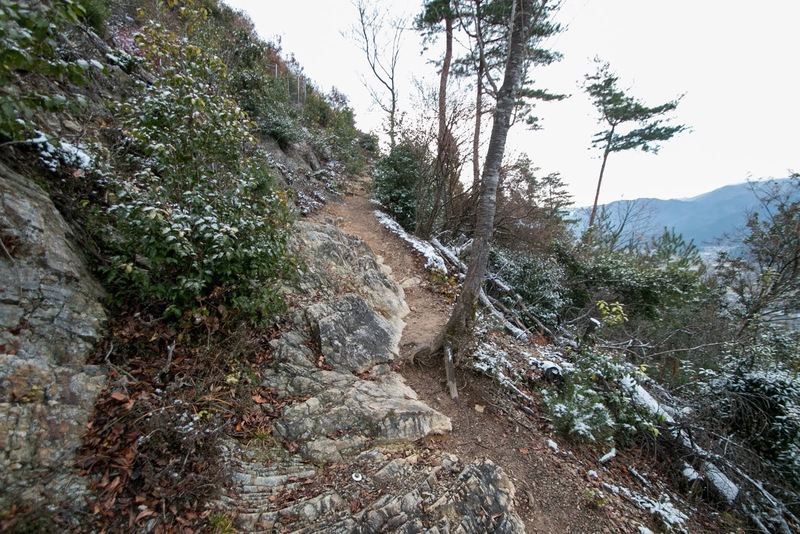 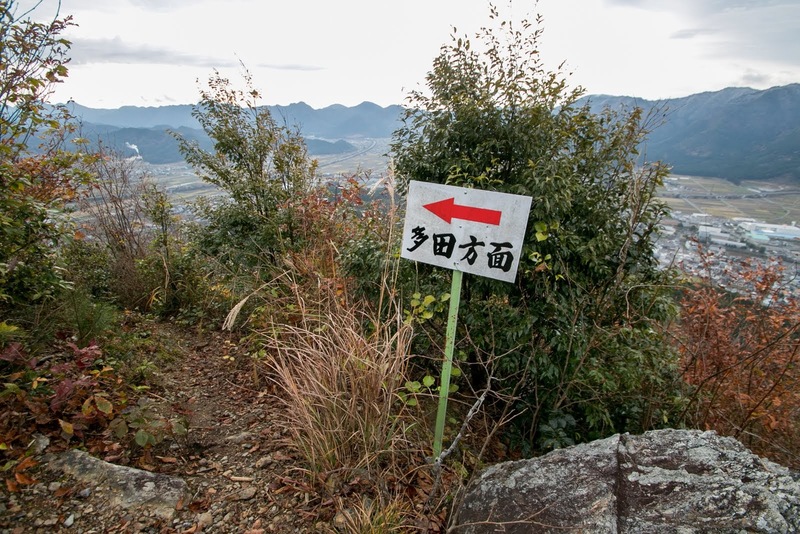 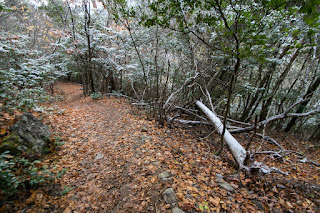 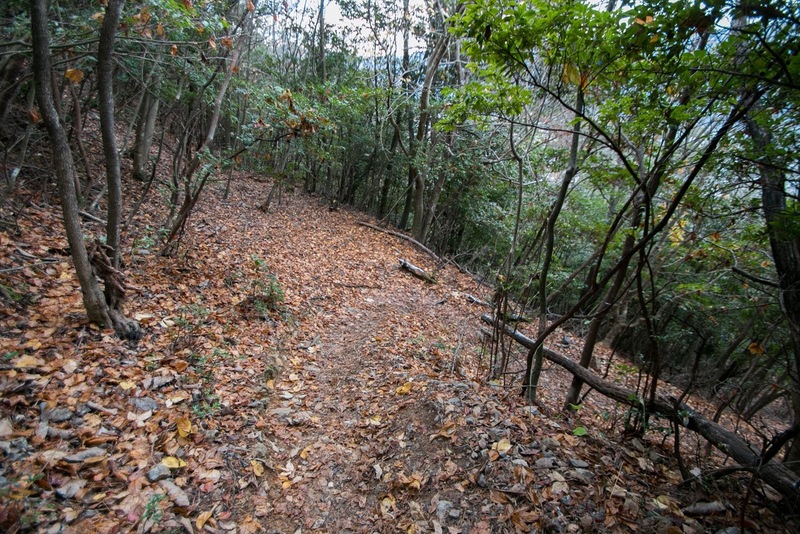 There are two climbing route and even milder route is still tough (steep course is very tough), but from hilltop area beautiful scenery of Hikami basin is seen because of steep slope. Magnificent shape of the mountain and many terraces spread whole mountain is becoming as a place of brave general praised as red devil. 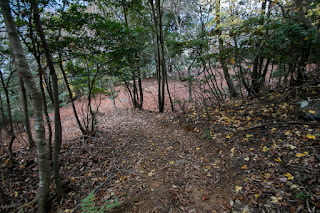 15 minutes walk from JR West Fukuchiyama-sen line Kuroi station to hillside entrance at the backward of Kuroi elementary school. 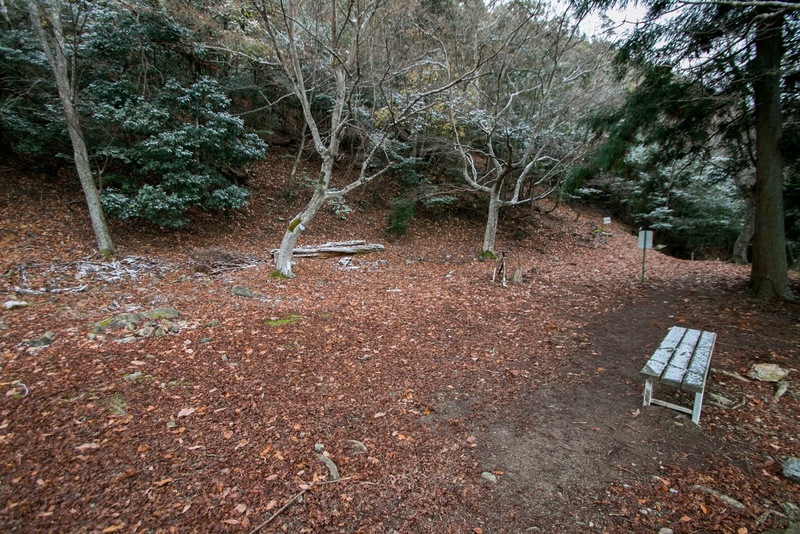 10 minutes drive from Maizuru-Wakasa Jidoshado Expressway Kasuga interchange. 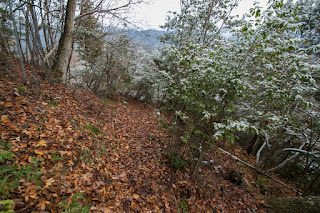 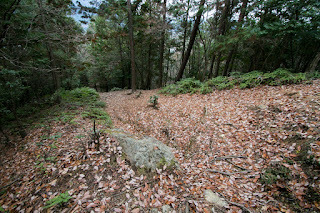 45 minutes walk from hillside entrance to hilltop castle.